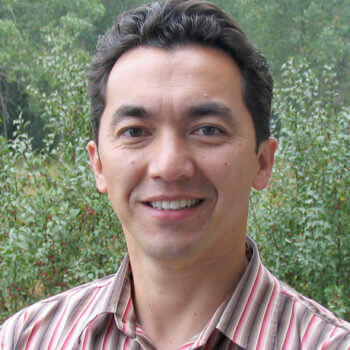 Tuesdays, 05/21/2019 6:45 - 9:15 p.m.
Nick Strauss-Klein presents a practical Feldenkrais Method exploration of the biomechanics of gait as each participant learns more awareness of their own walking habits. 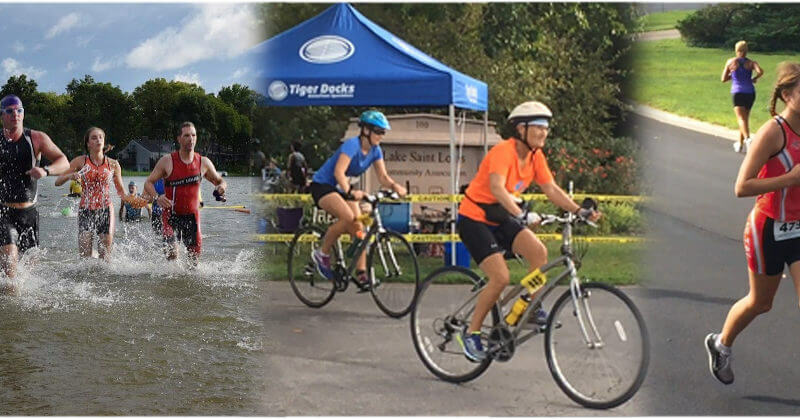 Saturday, 04/27/2019 8:00 - 9:00 a.m.
Join running coach Ryan Ford, swim coach Diane Pattridge, Exercise Specialist and avid cyclist Evan Strewler and members who have trained for an event at The Marsh for a motivating and informative session. 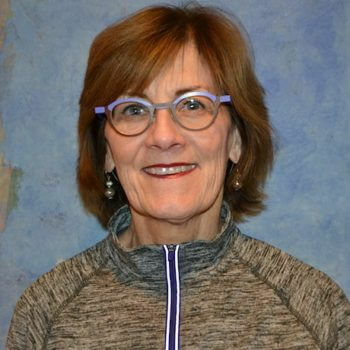 Saturdays, 04/06/2019 7:45 - 8:45 a.m.
Join Barb Scouler, our local Master Swim Coach, for this 3-session swim clinic designed for those who want to improve their skills as an intermediate lap swimmer. Thursdays, 04/11/2019 11:45 a.m. - 12:30 p.m. Feeling tight? Restricted in your movement? This series is for you! 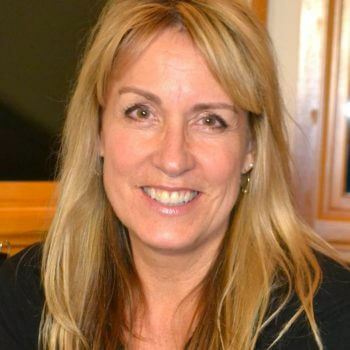 There are many stretching tools and techniques that Brenda Steger uses in her stretching workshops. 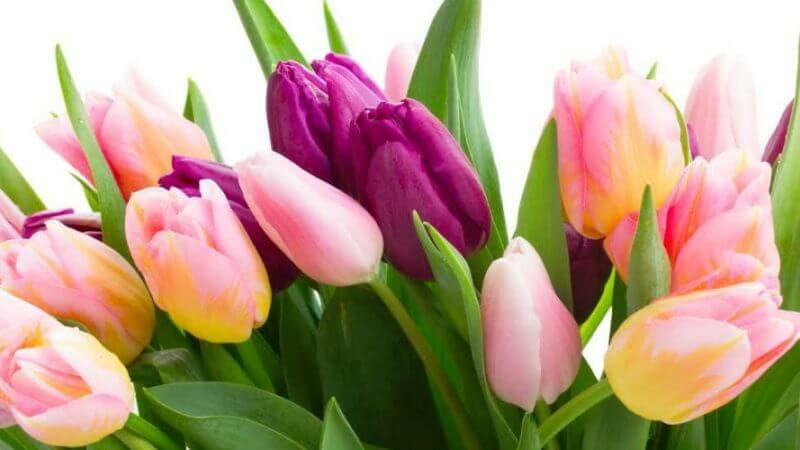 Tuesdays and Thursdays, 04/16/2019 1:00 - 2:00 p.m. This 4-week small group series focuses on strengthening the musculature for your golf game. 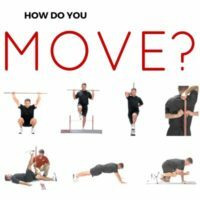 Gain mobility, flexibility and strength to improve your game. Sunday & Wednesday, 04/07/2019 1:45 p.m. 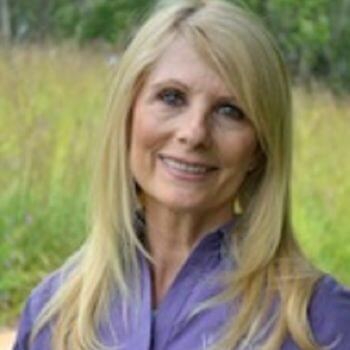 Experience the Gyrokinesis Awakening series which encompasses self-care techniques to awaken your senses and help detoxify your body. Wednesday & Saturday, 04/17/2019 10:30 a.m. & 3:00 p.m.
Golfers are dedicating time to increase their postural awareness, balance, flexibility, coordination, strength and endurance – all of which are addressed by Pilates. 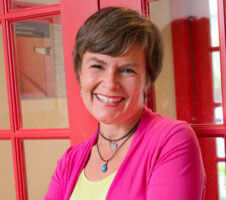 Join productivity expert Jan Lehman for this engaging and interactive presentation. Learn how you can take control of your digital distractions to help you reduce your stress, stay focused and improve relationships. 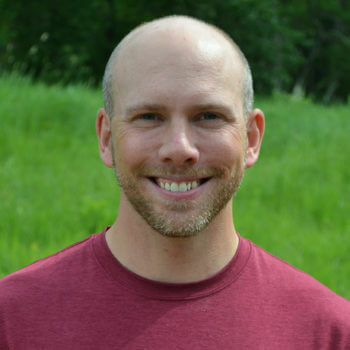 Come and learn from Physical Therapist Doug Merz how muscles become habitually tight and why tight back muscles can contribute to leg and hip joint pain. 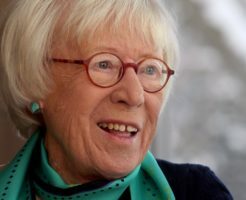 Learn what it is, who should and should not participate in this practice, why people with certain diseases, such as Alzheimer’s, cancer and autoimmune disorders, are interested in it, and the most effective way to do it. Tuesdays, 04/23/2019 6:00 - 6:45 p.m. 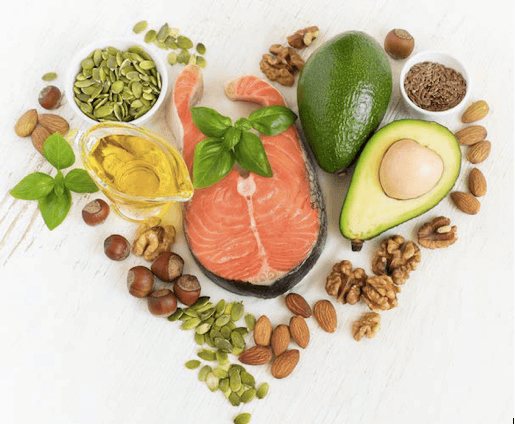 This 4-session program led by Registered Dietitian Bobbi Horner begins with a blood lipid panel test and a group nutrition workshop, laying the groundwork for eating strategies to make the change. 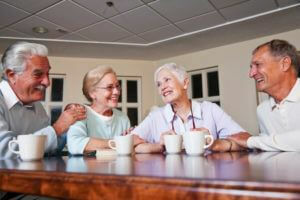 Saturday, 04/06/2019 10:00 - 11:00 a.m.
Laughter is a wonderful way to reduce stress. 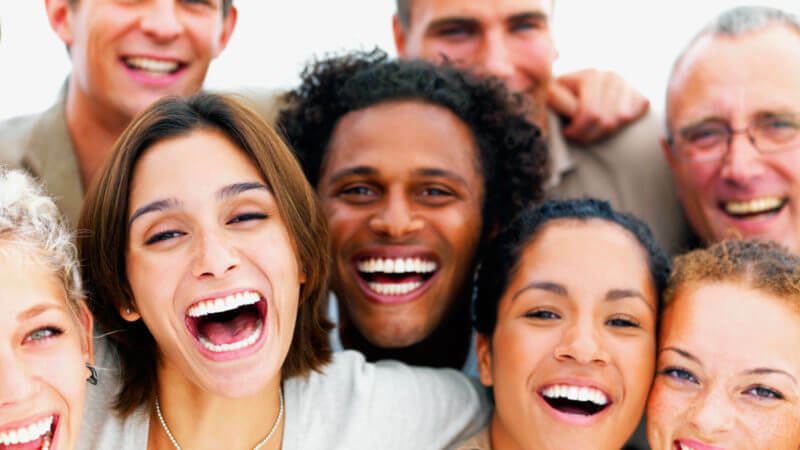 Whether your laughter is authentic or artificial, the benefits are the same: lower blood pressure, stress relief and an increased sense of joyfulness. Healthy Feet are Happy Feet! The Marsh’s Spa Pedicure begins with a relaxing foot soak, followed by nail trimming and application of an exfoliating mask to smooth and restore your feet to a healthy softness. You will also enjoy a stimulating foot and leg massage and the polish of your choice. This hands-on technique encourages fascia to relax, elongating muscles and soft tissues. 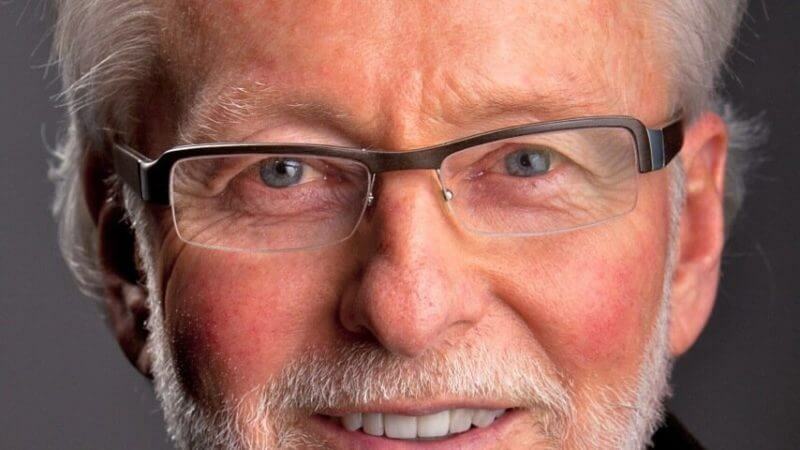 Join us for this first in-depth, practical workshop in our year-long Purpose Project with leading life coach Richard Leider. Discover your purpose through living a purpose-centered year. Please join us for this informative workshop led by long time Pilates instructor Lesley Koehnen. 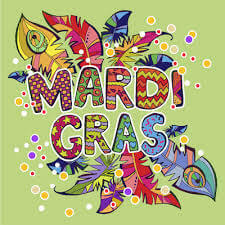 Tuesday, 03/05/2019 5:00 - 8:00 p.m.
Join us to kick off our Prevent Hunger Month food shelf fundraiser for Interfaith Outreach (IOCP) with a Mardi Gras Happy Hour! 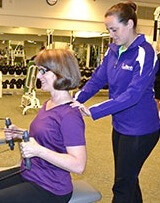 Offered by our Exercise Specialists in the Training Center, our Assisted Stretching program concentrates on the major muscle groups of the core, back, shoulders and hips. 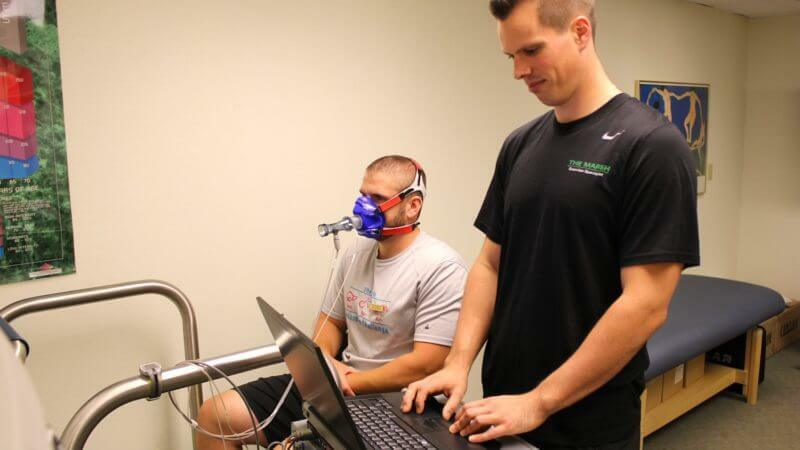 Includes a VO2 Max assessment, a Functional Movement Screening, and two 45-minute private training or nutrition sessions. Improve your stride and balance with a gait analysis. Mondays, 04/22/2019 7:00 - 9:00 p.m. 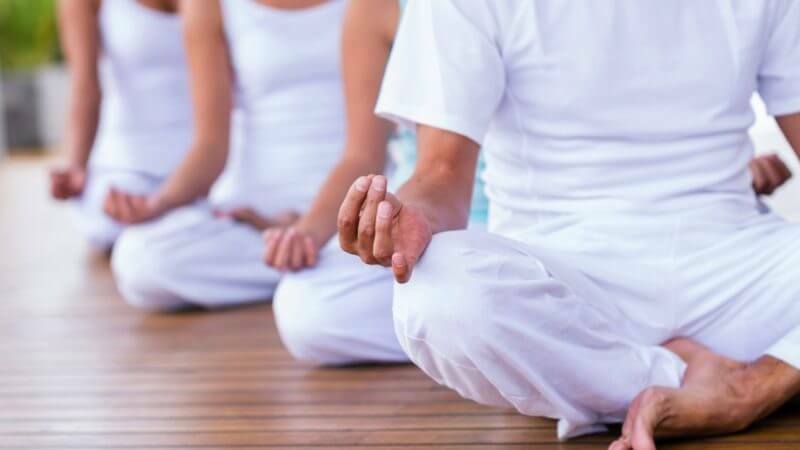 Exclusively offered at The Marsh, this signature program introduces mindfulness based living practices in a highly accessible way to address common concerns, such as managing stress, pain, feelings of anxiety and/or uncertainty. Saturday, 04/06/2019 11:45 a.m. - 12:45 p.m.
A foam roller with grooves allowing the body to be “cradled” and avoiding excessive pressure on the skeletal structure while still reaching deep into the muscle tissue for fascial (connective tissue) release. Mondays, Wednesdays and Thursdays, 04/22/2019 10:00 a.m., 11:00 a.m. & 3:00 p.m. These Walk or Run training groups are perfect for anyone who may be considering participating in a 5k this upcoming spring or summer. 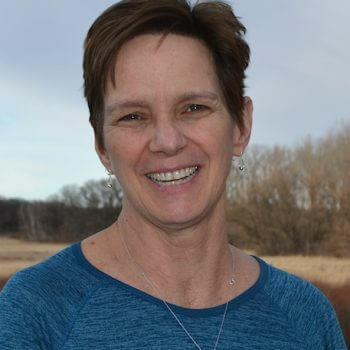 Wednesdays, 03/20/2019 10:15 - 10:45 a.m.
Join instructor Stephanie Olson for this fun fitness workshop in the Lap Pool where jogging, skiing and kicking are performed in upright, seated and flowing combinations using the Nekdoodle swim collar. Tuesday, 03/26/2019 1:00 - 2:00 p.m. 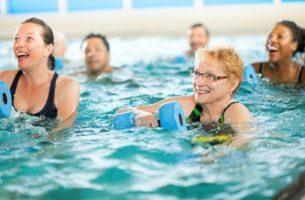 Whether you are managing a frozen shoulder condition, a rotator cuff tear, preparing for surgery or recovering from surgery, come join Aquatic Specialist Mary LeSourd in the therapy pool and learn exercises and acupressure techniques that can help. 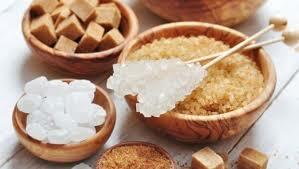 Join Registered Dietitian Bobbi Horner to learn the hidden sources of sugar, the difference between natural and added sugar and how to lower your sugar intake. Saturday, 03/09/2019 11:45 a.m. - 12:15 p.m. Sit back, relax and be guided through a mind and body relaxation and visualization. 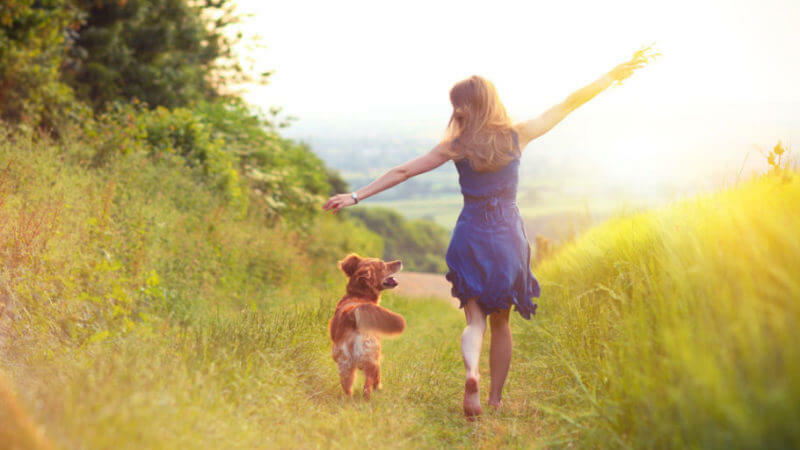 Leave with an increased sense of well-being, with a positive and peaceful state of mind. If you experience neck or shoulder pain, headaches, limited range of motion or numbness in the arms, we invite you to attend this talk with Physical Therapist Doug Merz. Tuesday, 04/02/2019 6:45 - 8:45 p.m. 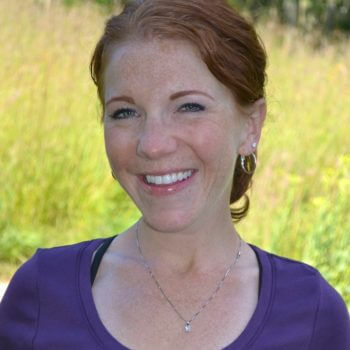 In this workshop, licensed Physical Therapist and certified yoga instructor Katie Choe, will discuss the anatomy of the areas around the sciatic nerve, lumbar spine, and hip to explain what can cause the nerve to become compressed. 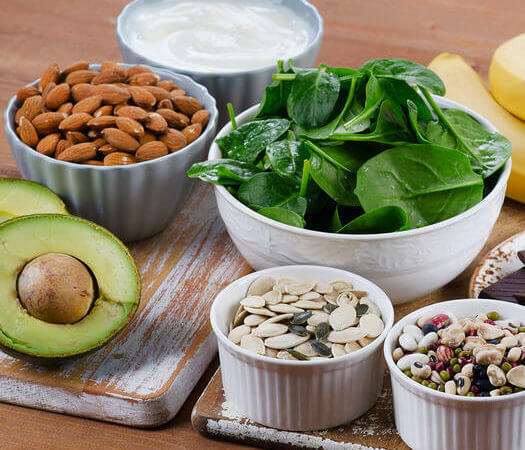 Whether your goals are weight management, mitigating osteoporosis, or managing food allergies, Bobbi can guide you to a feel-good Spring. Wednesday & Sunday, 03/13/2019 1:45 - 3:15 p.m. This workshop helps alleviate your body from pain and discomfort by releasing the psoas muscle, a major player in our bodies. 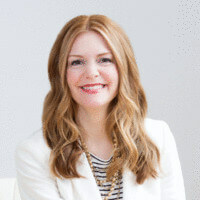 Michele Vig inspires by helping you connect to why you want to declutter – your stuff, your space, your mind – then provides tangible tools to help you get there. Monday, 04/15/2019 7:00 - 9:00 p.m. This workshop is designed for anyone who experiences aches or stiffness in their feet, knees, hips, or lower back. Sunday, 04/14/2019 1:00 - 4:00 p.m. 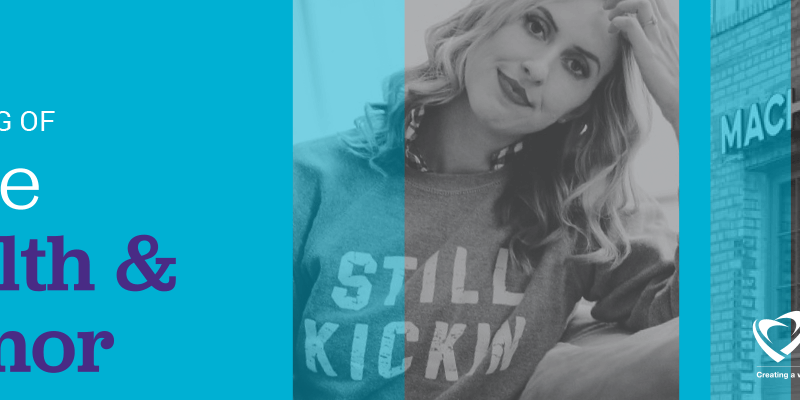 If you have ever struggled with certain Pilates movements, plateaued in your yoga class, or find movement so challenging that you have lost hope that you will ever move with ease as you did years ago, then this workshop is for you! Tuesday, 03/05/2019 6:45 - 8:15 p.m. 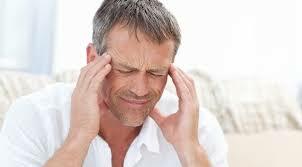 This workshop will focus on easing headaches by relieving muscle tension, reducing stress, and practicing breath control. Join us as our speakers share the impact that loneliness, depression and stress has on our hearts and provide insights on what we can do about it! 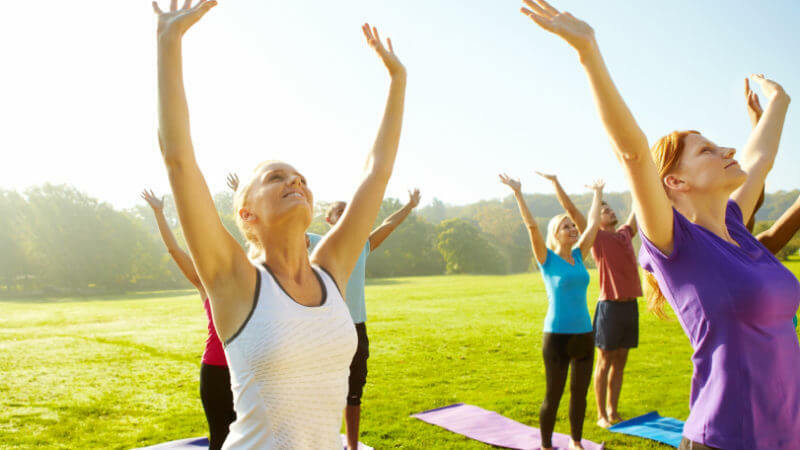 Gather your friends and join yoga instructor Stephanie Olson for this fun yoga class! 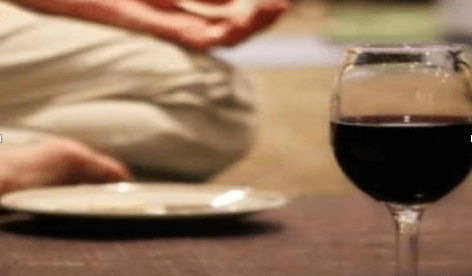 We are pairing some of our favorite yoga poses with wine. Tuesday , 02/26/2019 6:45 - 8:00 p.m. Employing fewer poses that are held longer and supported by props or blankets allow us to completely relax and restore – and can be very effective in ensuring a good night’s sleep. Saturdays, 02/23/2019 11:45 a.m. - 1:15 p.m. 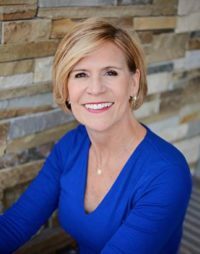 This 3-session series focuses on practical ways to integrate mindfulness into your day-to-day life so daily stress does not become anxiety and you can live a less reactive life. 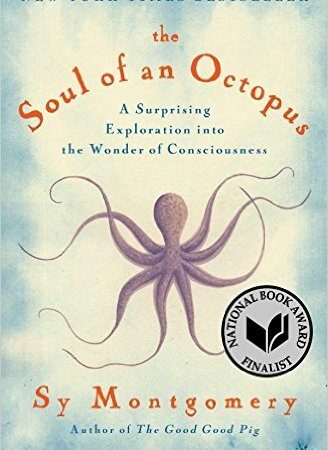 Sunday, 03/10/2019 1:00 - 3:00 p.m.
Join us as we explore the science of optimal functioning, which focuses on what works rather than what is wrong, in order to create a life of greater health, happiness, meaning and overall well-being. 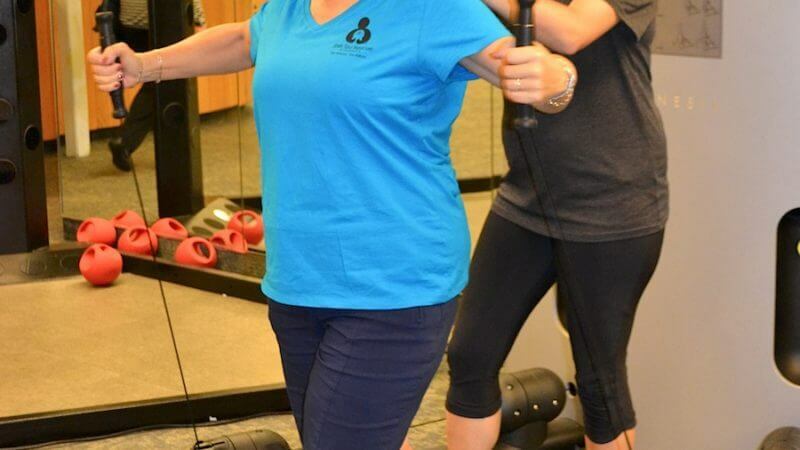 Saturdays and Wednesdays, 03/19/2019 3:00 p.m.
Dedicate time to increasing your postural awareness, balance, flexibility, coordination, strength and endurance – all of which are addressed with Pilates. Saturday, 02/23/2019 10:15 - 11:15 a.m.
Increase your postural awareness, balance, flexibility, coordination, strength and endurance – all of which are addressed with Pilates. Swim & Tone provides a wonderful cardio workout in a fun atmosphere, along with excellent swimming instruction. 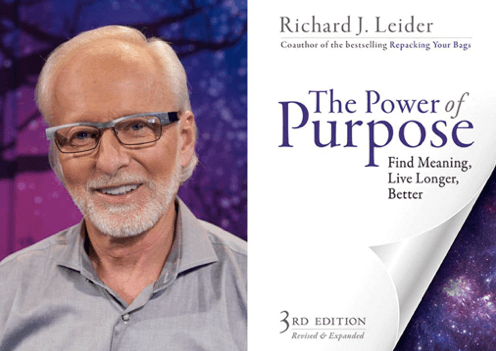 We are excited to announce we will be hosting Richard Ledier’s The Purpose Project, a year-long purpose laboratory where we can gain new information, new maps and new mindsets as we transcend every stage of life. 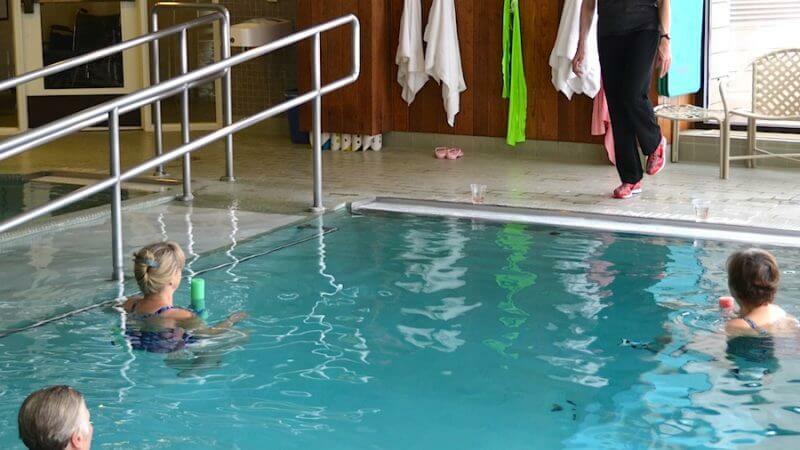 The Marsh’s popular swim program offers a calm, comfortable atmosphere, warm water pools, highly experienced instructors and individualized attention. 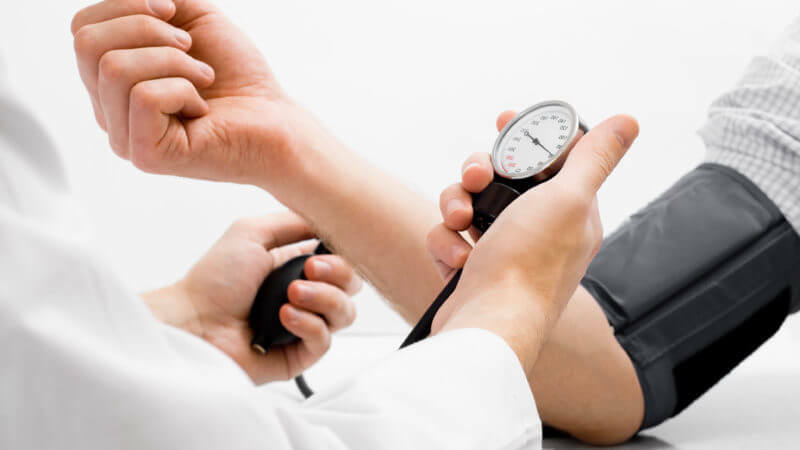 Stop in the Training Center anytime or stay after the Lunch and Learn for a complimentary blood pressure check and to discuss helpful lifestyle. The Functional Movement Screen (“FMS”) is a trouble-detection system used by Marsh exercise specialists and Merz physical therapists to prevent injuries before they happen. 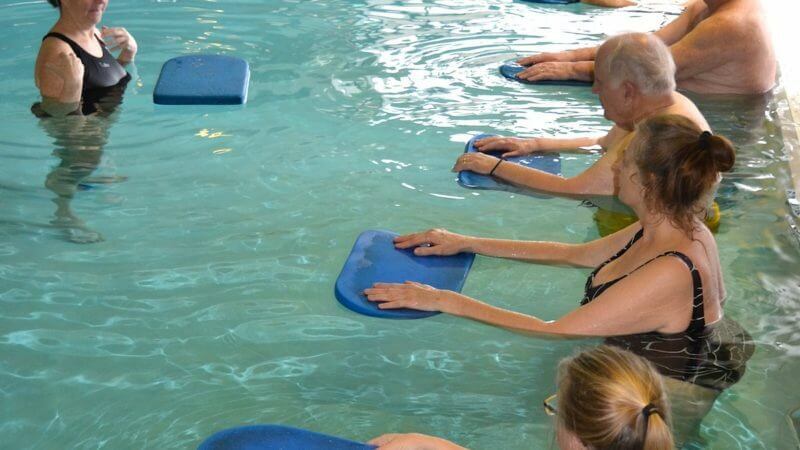 Friday, 02/15/2019 1:00 - 2:00 p.m.
Join Physical Therapist Doug Merz and Aquatic Specialist Stephanie Olson for this one-of-a-kind Therapy Pool workshop. Learn exercises that will help alleviate the effects of asymmetry and muscular imbalances common to all of us. 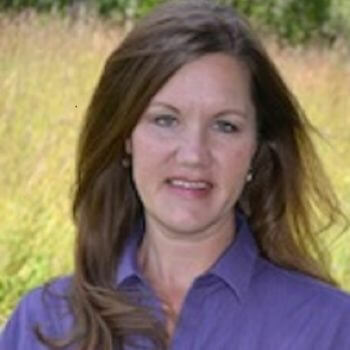 Join Registered Dietitian Bobbi Horner to learn about the most beneficial heart healthy foods. 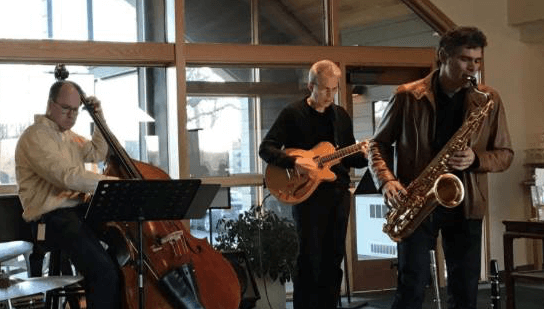 We invite you to join us for a Chinese New Year celebration following our Tai Chi for All class with Stephanie Olson at 10:30 a.m.
Gourmet Jazz is a group of local experienced musicians playing jazz standards with a relaxed, mainstream style. 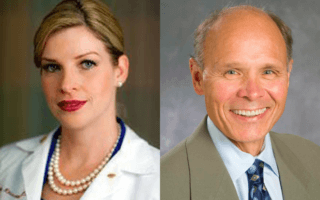 Wednesday, 03/20/2019 5:30 - 7:30 p.m.
Join us for this important presentation Unlocking the Mystery of a Good Night’s Sleep with Drs. Parker and Howell. Learn some useful tips for improving your sleep and consequently your overall health and wellbeing. The Marsh’s Ultimate Hydrating Facial, with moisturizing serums, ultra-nourishing massage cream and concentrated mask quenches thirsty skin and combats dryness, restoring our skin’s natural softness and suppleness, revealing a more youthful complexion. Our Signature Lotus Foot Treatment takes you on a wellness journey that is both relaxing and rejuvenating for the mind and body. Wednesday, 01/30/2019 11:00 a.m. - 4:30 p.m. 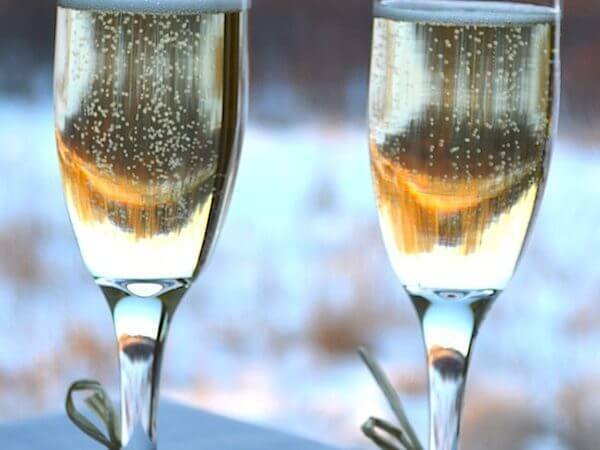 Gather a few friends and join Evan Strewler for a great afternoon ski at Buck Hill and our Ski After Party at The Marsh. 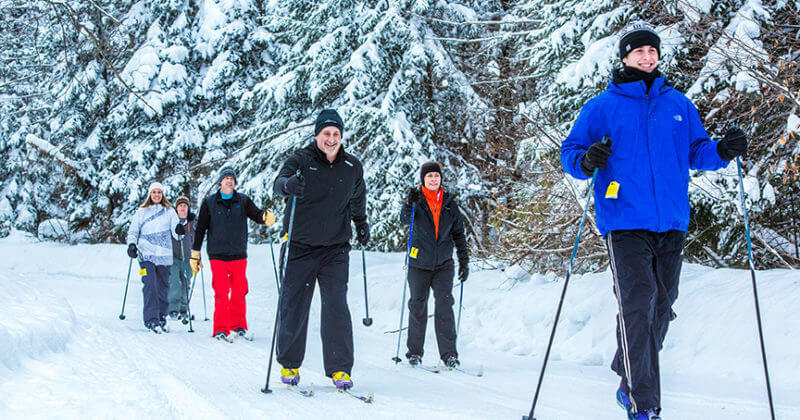 Join our resident cross country skiing expert Diane Pattridge for a fun midday cross country ski excursion. Friday, 01/18/2019 1:00 - 2:00 p.m. 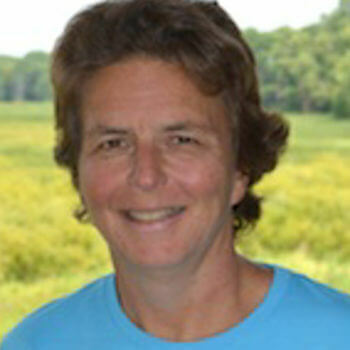 Aquatic specialist Mary LeSourd has over 20 years of experience helping people get relief from their chronic pain. 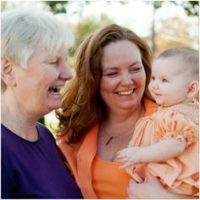 Join her for this special workshop where she will share simple techniques to ease pain. 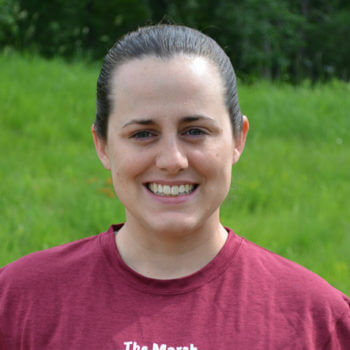 Thursday, 01/17/2019 12:30 - 1:30 p.m.
Join Aquatic Specialist Mary LeSourd for this special workshop on how to keep your hips and knees strong, safe, and flexible. 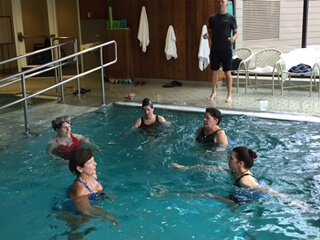 Certified Arthritis Foundation Aquatic Program instructor Jill Mask along with Aquatic Specialist Stephanie Olson lead this special workshop for those with arthritis and other chronic conditions. Sunday or Wednesday, 01/20/2019 1:45 p.m.
Gyrokenisis is an exercise practice based on spinal movement that can increase your energy, flatten your belly, strengthen your back and improve your flexibility. Tuesday, 01/29/2019 6:45 - 8:45 p.m. In this workshop, licensed Physical Therapist and certified yoga instructor Katie Choe, will discuss the anatomy of the areas around the sciatic nerve, lumbar spine, and hip to gain an understanding of the biomechanics and what can cause the nerve to become compressed. Friday, 01/11/2019 1:00 - 2:00 p.m.
Few conditions can make a person feel as lonely as the challenges of chronic pain. Join Mary LeSourd, Exercise Specialist and pain management expert, for this rare opportunity to chat about your experience. This non-competitive, informal workshop invites you to do a few basic moves that can improve your fitness level. 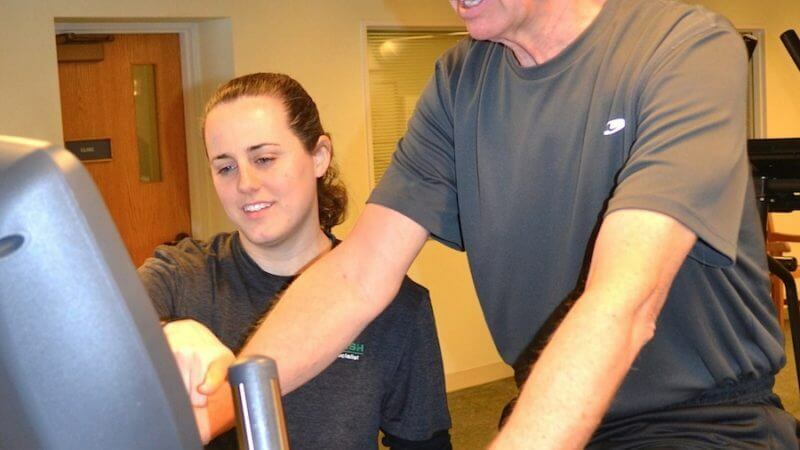 Our Exercise Specialists will be guiding, evaluating and supporting you every step of the way. 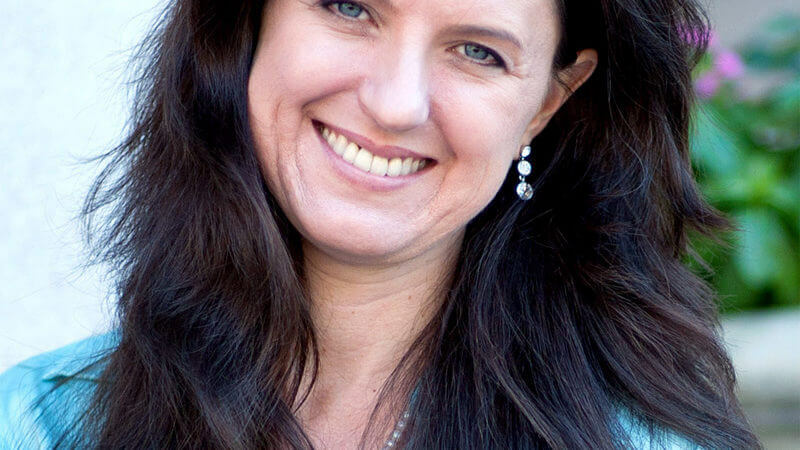 Come join Liz Anema as she introduces you to these types of meditation and find the one that resonates with you! 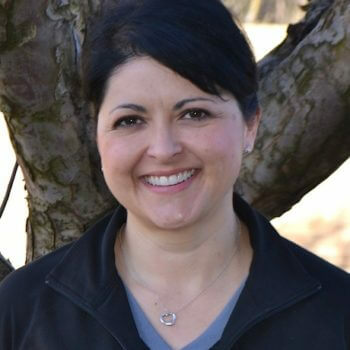 Whether you aim to feel better, have more energy, or lose weight, Registered Dietitian and Exercise Specialist Bobbi Horner can get you started in the right direction! Wednesday, 01/02/2019 5:30 - 7:30 p.m. 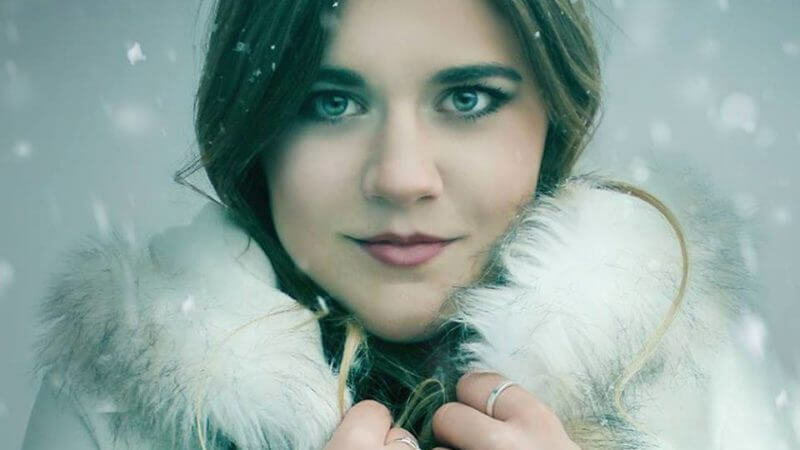 Enjoy accomplished local pianist and vocalist Elsa Lee as she performs pop songs through the decades. 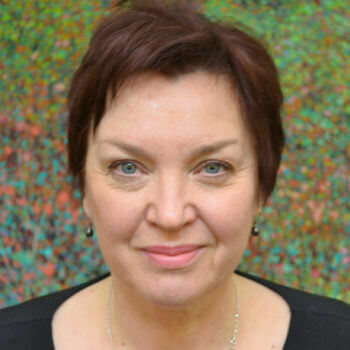 Yoga + Feldenkrais®: Easy Does It! Tuesday, 01/22/2019 7:00 - 9:00 p.m. 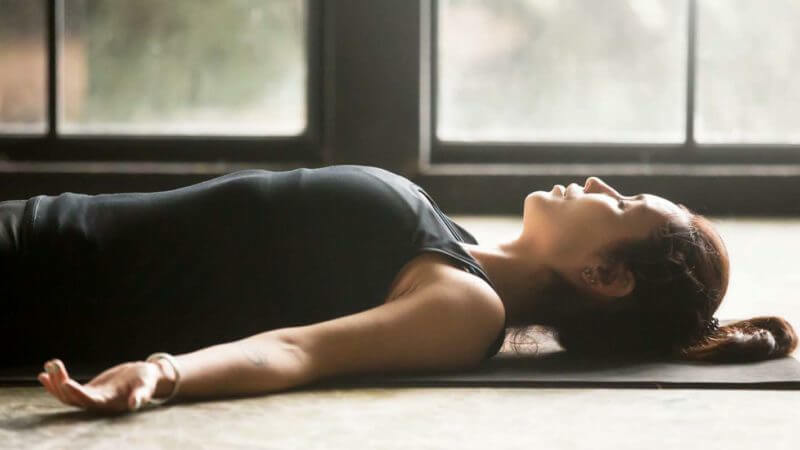 Applying the methods developed by Moshe Feldenkrais, we can begin to experience yoga postures as dynamic and rejuvenating and our experience transforms into one of flow, fluidity, and flexibility. Monday, 12/17/2018 11:00 - 1:00 p.m. 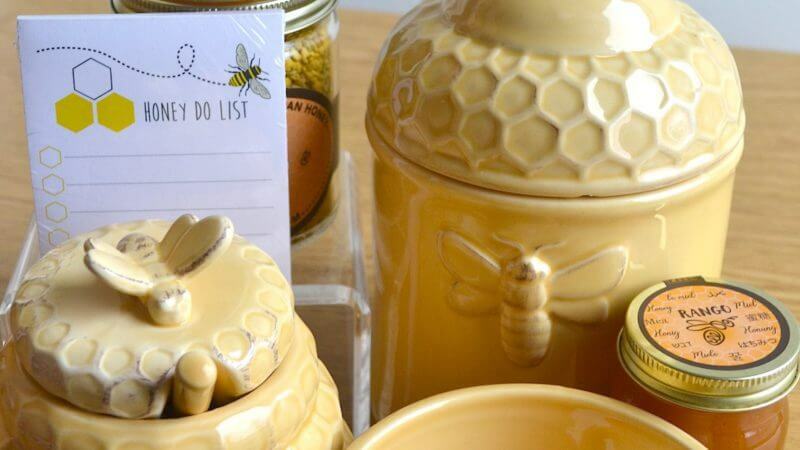 Calling all bee lovers and their friends… Join us in the Shop for a special event, featuring all things bees! 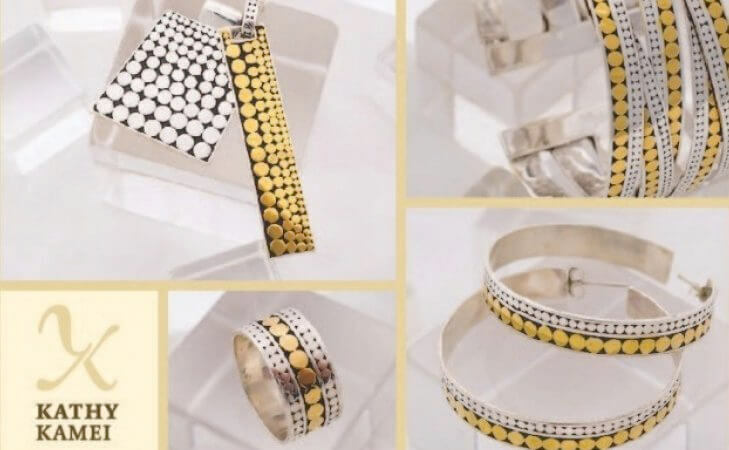 San Francisco artist Kathy Kamei is bringing her line of jewelry exclusively to The Marsh. Monday, Wednesday & Friday, 12/10/2018 11:00 a.m., 11:30 a.m. and 5:00 p.m. 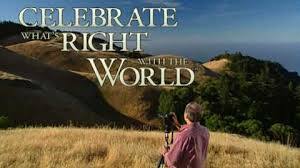 Celebrate What’s Right with the World is an inspirational video, full of good news to help folks approach life with confidence, grace and celebration. 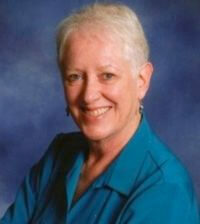 Marsh member and author, Bette Hammel is excited to introduce us to her new book, A Lifetime of Luck and Pluck. 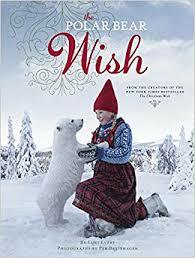 Join us as we welcome back local husband-and-wife team, author Lori Evert, photographer Per Breiehagen and their daughter Anja for an entertaining evening of music, book readings, photos and of course, the introduction of their newest book, Polar Bear Wish. 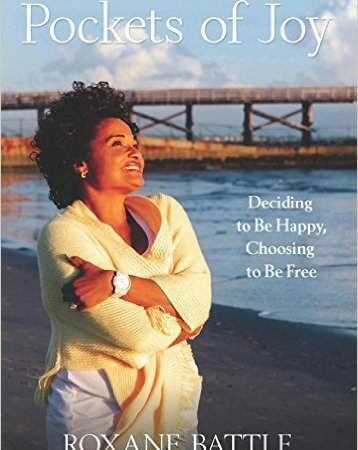 Award-winning author and TV personality, Roxane Battle returns to The Marsh with her best-selling memoir, Pockets of Joy: Deciding to Be Happy, Choosing to be Free. Thursday, 12/13/2018 12:30 - 1:15 p.m. This workshop focuses on maintaining and improving our free-flowing movement by introducing us to new skills, progressive exercises, and information/tools to keep us flexible and healthy. Tuesday, 12/11/2018 5:30 - 6:30 p.m.
Our Annual Kids Club Holiday Party is filled with fun, games and merriment! 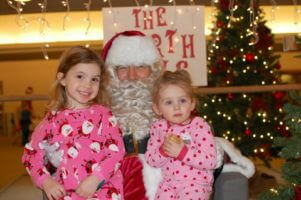 Kids 2-12 years of age will enjoy cookies and milk, holiday crafts, merry stories, and a photo with Santa. 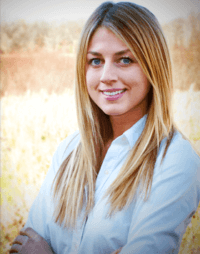 Lunch and Learn: Spice up Your Holidays! 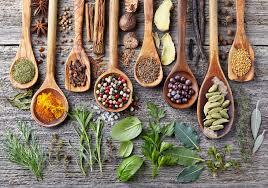 Herbs and spices have many health benefits. Come learn which ones are best to use, the advantage of each, and how to use them in cooking. Thursday, 12/20/2018 6:45 - 8:15 p.m.
Rest, Relax & Renew… Take a moment to pause and celebrate the Winter Solstice with this special candlelit yoga class. Fridays, 01/11/2019 10:30 a.m. - 12:30 p.m.
Join us for our popular six-week series, which incorporates both the research and experiential practice of what works to develop positive psychology. Mondays, Tuesdays, Wednesdays, Thursdays & Fridays, 01/21/2019 6:15 a.m., 7:30 a.m., 11:00 a.m. and 5:30 p.m.
Stay motivated through the busy holiday season by training with your friends and one of our Exercise Specialists! While the group brings out the fun, our Marsh exercise specialists ensure that you will have a quality training session that helps you reach your individual goals. Thursday, 12/27/2018 9:00 a.m. - 3:00 p.m. 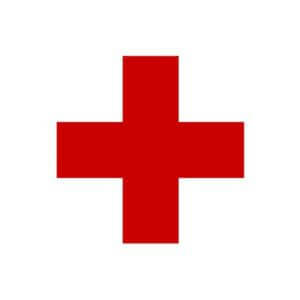 The need for blood donations never diminishes. Yet the number of donors drops during the holidays, so your donations are more important than ever. Thursday, 12/13/2018 5:30 & 6:00 p.m.
Thursdays, 11/01/2018 11:45 a.m. - 12:30 p.m. If you are feeling tight in a specific area or have all-over stiffness, this four-week small group training is for you! 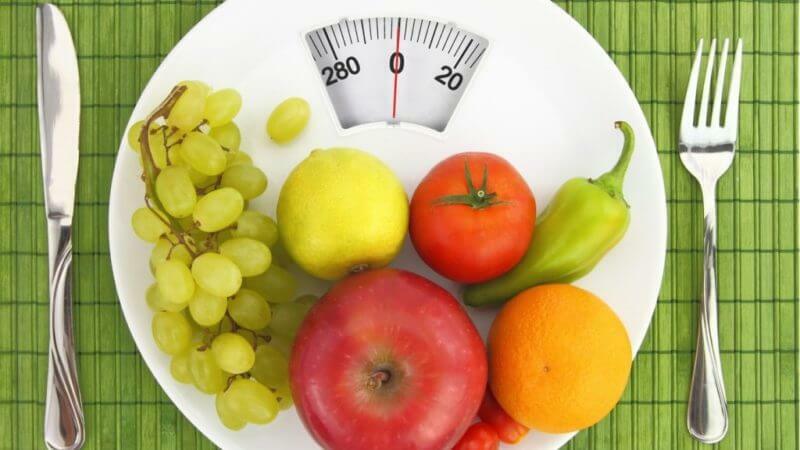 Monday, 11/12/2018 Noon & 5:00 p.m.
Join Registered Dietitian Bobbi Horner and Exercise Physiologist Evan Strewler for an enlightening discussion on the role of metabolism and exercise in long-term weight loss. Friday, 11/30/2018 1:00 - 3:00 p.m. In this workshop led by Studio Director Liz Anema you will enjoy meditating, stretching, and breathing, while learning practical and nurturing tips for creating a personal plan for the holiday that you envision. This comprehensive 7-week program is for busy people who want to not only lose weight, but also feel more energetic, stronger, and healthier. 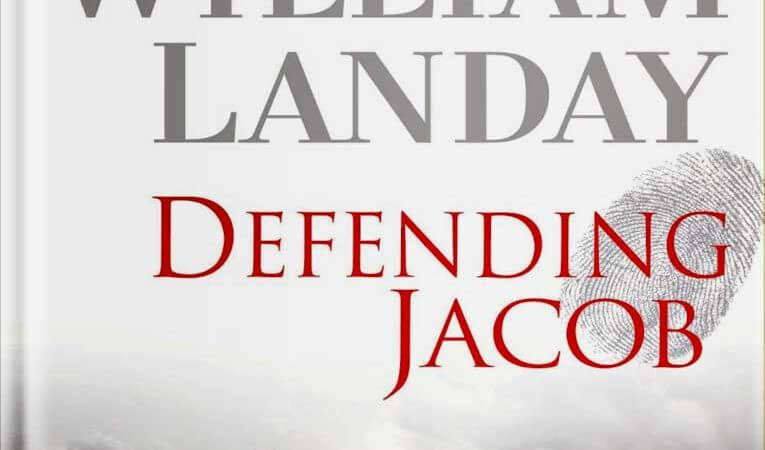 Because of its popularity and page-turning drama, Award-winning author William Landay’s Defending Jacob is soon to be made into a TV series. 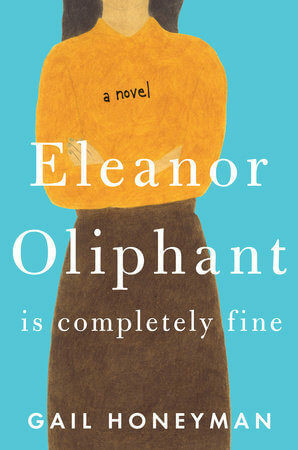 Join our book group to discuss the engrossing story of an embattled family in crisis. 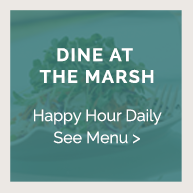 Bring your friends and family to The Marsh this holiday season. We have fun activities planned to keep everyone entertained plus plenty of classes to keep those extra holiday calories at bay. Thursday, 11/01/2018 1:00 - 2:00 p.m.
Join Physical Therapist Doug Merz and Aquatic Specialist Stephanie Olson for this unique Therapy Pool workshop. 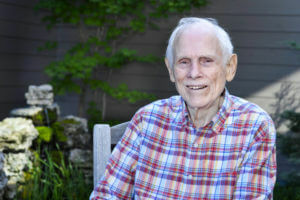 A Photographic Exhibit by Martin Bovey, Jr.
With over 24-years providing safe, effective therapeutic exercise protocols to help patients manage their conditions independently, Physical Therapist Doug Merz will offer clarity to this complicated topic. Wednesday, 10/17/2018 11:30 a.m. - 12:30 p.m.
Join Acupuncturists and Massage Therapists Ellen Hem-Ryan, La.C, CRMT and Ray Himmelman, La.C, CRMT for this informal presentation and Q&A session to learn more about these time-tested treatments. 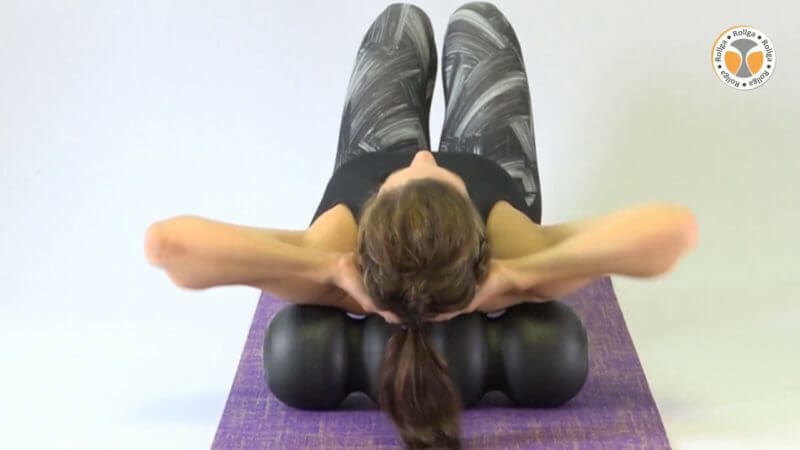 This gentle, restorative regimen perfectly designed for survivors can improve your shoulder girdle mechanics, as well as range of motion, flexibility, strength, balance and endurance. Without putting excessive pressure on the skeletal structure, this Rollga reaches deeper into the muscle tissue or ‘trigger points’ where a contraction of muscle fibers has occurred. 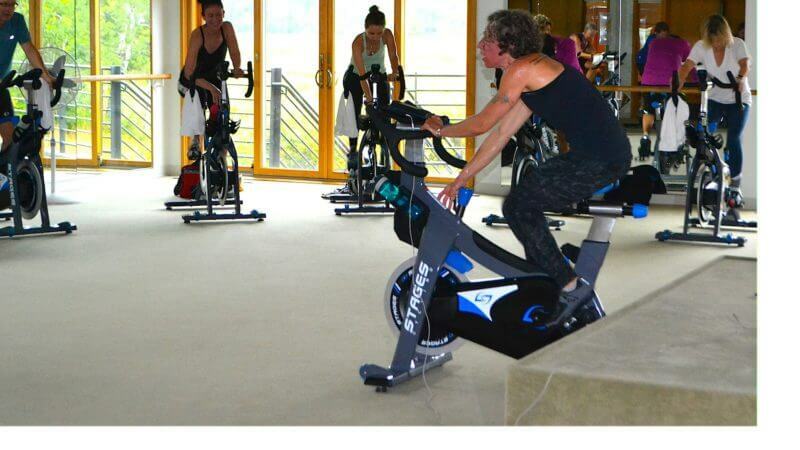 Join our cycling instructors for a Functional Threshold Power (FTP) ride on our new state-of-the-art indoor bikes. These bikes have gauges that measure watts (power) and RPMs (revolutions per minute) to ensure efficient and optimal cardiovascular results. 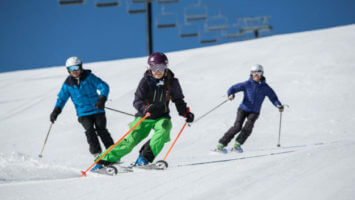 Tuesdays and Thursdays, 11/27/2018 11:00 a.m. , 12:00 p.m., 2:00 p.m. & 3:00 p.m.
Join this small-group training that focuses on building core, lower-back, and leg strength before you hit the slopes. No more succumbing to shaky ski legs and frequent out-of-breath breaks! 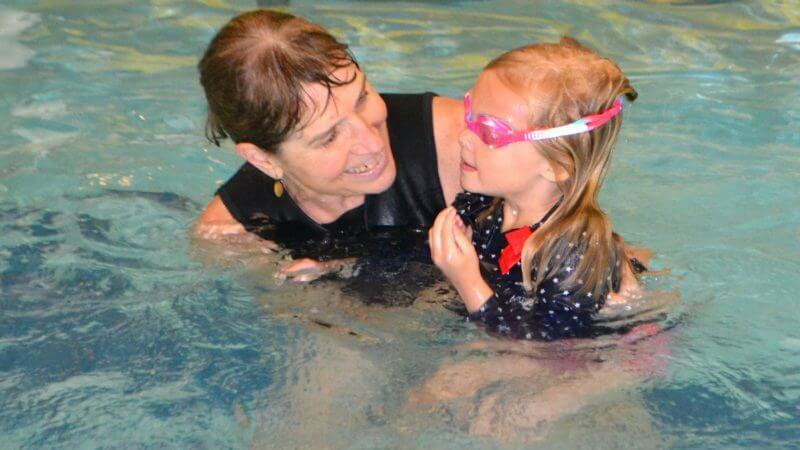 Join Aquatic Director Stephanie Olson for this information discussion and tour – she guarantees you will have fun and be ready to begin the pool experience of your choice (lap swimming, classes/workshops, therapy pool). 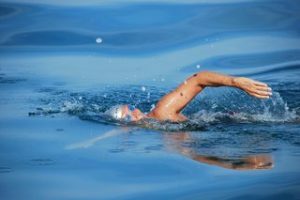 Fridays, 10/12/2018 8:30 - 9:15 a.m.
Offseason is the perfect time to work with Master Swim Coach Diane Pattridge to improve your swimming techniques. 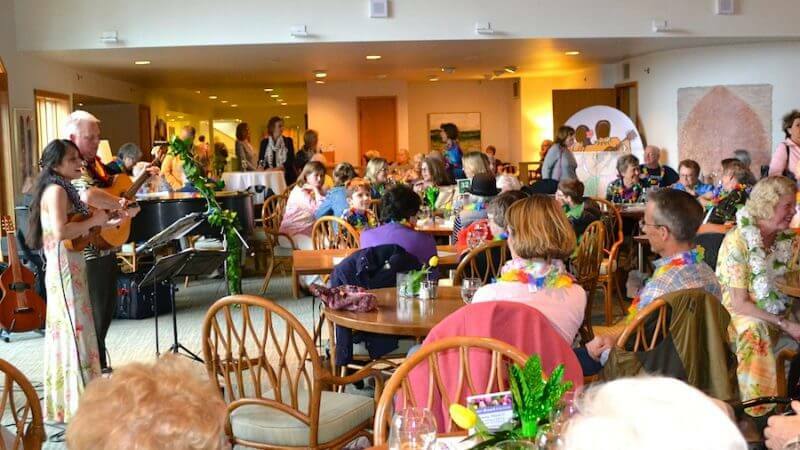 Celebrate the people in your life who have been touched by breast cancer while raising money for our local Gilda’s Club, a non-profit dedicated to providing support, education and hope to people affected by cancer. Mondays, Wednesdays & Fridays, 09/27/2018 10:30 a.m., 11:30 a.m. & 5:00 p.m. Experience this time-honored exercise that improves your muscle tone and overall sense of equilibrium. Even though the movements are gentle, the results are impactful. 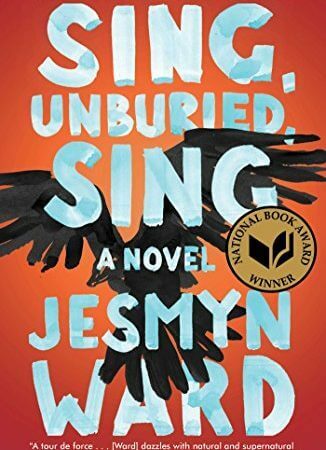 Thursday, 11/08/2018 5:00 - 7:00 p.m.
Bring your loved ones for this special evening. 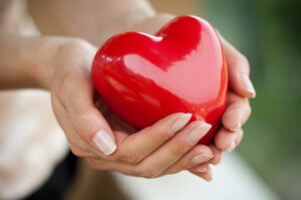 Cardiologists from the Minneapolis Heart Institute will have a lively dialog on the latest insights about heart disease in women – for both arrhythmia and blockage issues – and provide critical guidance that could save someone’s life. 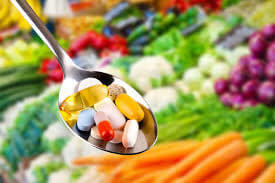 Before you start adding vitamins and other supplements to your daily routine, you want to understand how your medications may be contraindications for specific supplements and what the plethora of research studies really means. 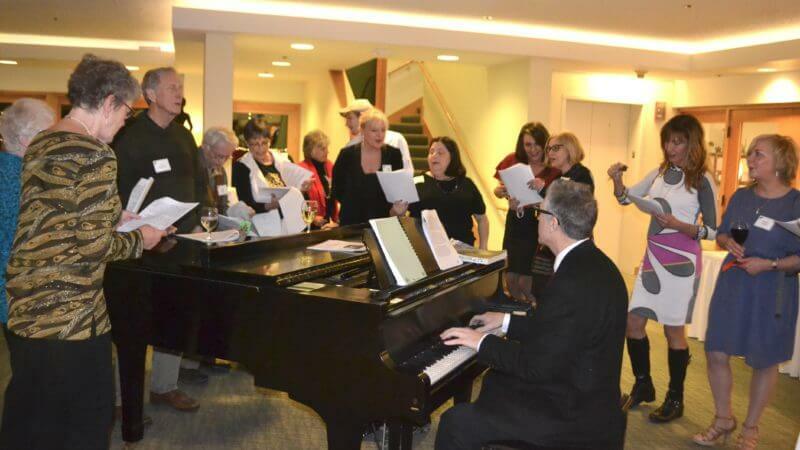 This fun, social event captures the essence of our “lifestyle” approach to weight management, disease prevention and increased vitality. 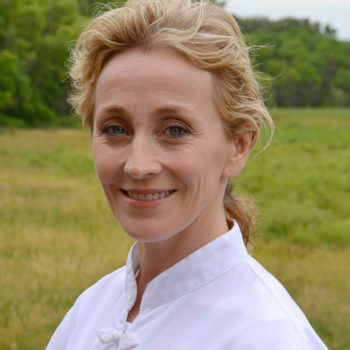 Registered Dietitian Bobbi Horner will share information about our science-based program, while sampling delicious foods and enjoying a glass of wine. Everyone struggling from a persistent sports injury, working with a new joint, or trying to minimize chronic pain from an accident wants to get back to an active life. In our RECOVER NOW! Program, our Exercise Specialists design an individualized, comprehensive plan for your recovery. Living with chronic pain is an unrewarding series of doctor’s visits and internet searches. As part of the Physicians’ Lecture Series, these medical professionals really understand the frustration. They will offer new insights and practical ideas on how to not only make peace with your pain or illness but thrive! Monday, 09/17/2018 5:00 - 7:00 p.m. Please join us for a special reception celebrating the photography of Marsh member Martin Bovey, Jr.
Saturday, October 20, 7:30 p.m. 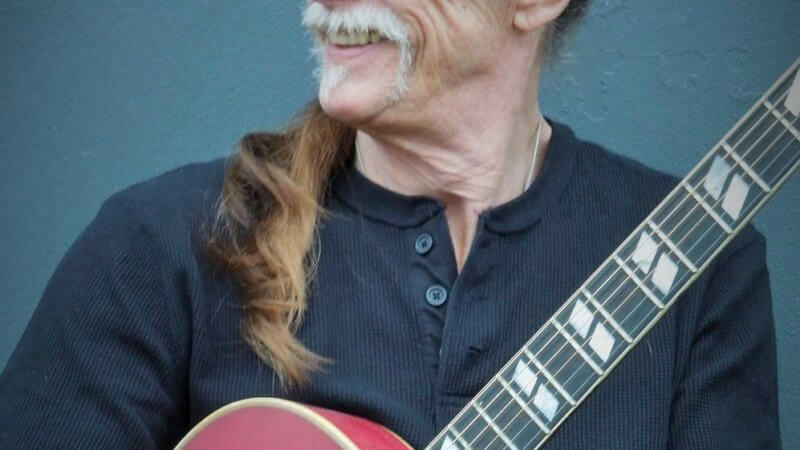 Many of you will remember Shawn Phillips, one of the most fascinating singer/songwriter/musicians of the 1970s. 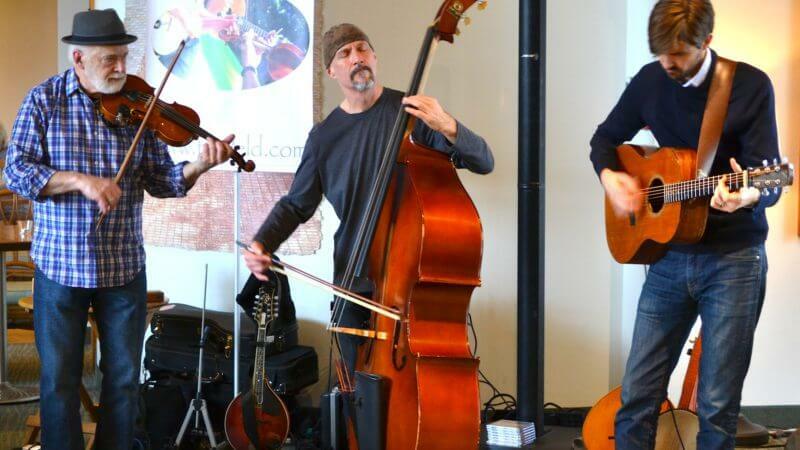 Shawn is on his final concert tour and The Marsh has an exclusive opportunity to host an MN concert. Space is limited. Cash bar. $34/$40 (not including tax) Purchase tickets online or call 952-935-2202. Tuesday, 09/25/2018 11:30 a.m. - 12:30 p.m.
Join Liz Anema and Certified Master Pedicurist, Jacquelyn (JJ) Davis, RN for this complimentary workshop where we will learn helpful foot exercises and massage techniques for healthy feet and improved balance. Thursday, 09/20/2018 11:30 a.m. - 1:00 p.m. 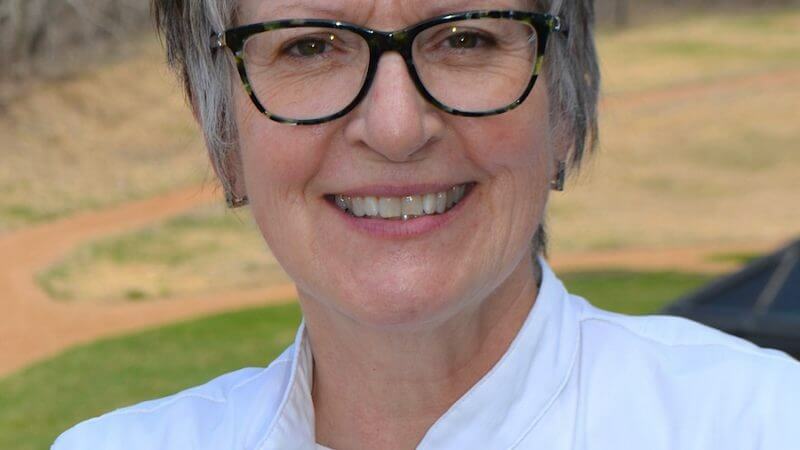 Registered Dietitian Bobbi Horner will discuss the best anti-inflammatory foods – and those we should avoid, and Studio Director Liz Anema will lead the movement portion of the class. This welcoming, non-competitive 4-week series is designed to introduce men to a total-body, energizing yoga/stretch practice. Saturdays, 09/22/2018 10:00 - 11:00 a.m.
Join instructor Jennifer Woods for this 4-week Pilates Group Reformer series. Tuesday, 09/18/2018 11:30 a.m. - 12:30 p.m. Learn if acupuncture and/or cupping can help alleviate your pain. 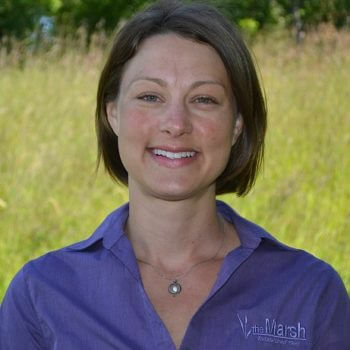 Join Marsh Acupuncturist and Massage Therapist, Ellen Hem-Ryan, L.Ac., for this complimentary discussion. Tuesdays & Thursdays, 01/08/2019 10:45 a.m. & 1:00 p.m. This series meets three times a week for 45-minutes. Each session consists of warm-ups, dynamic balance and strength moves. 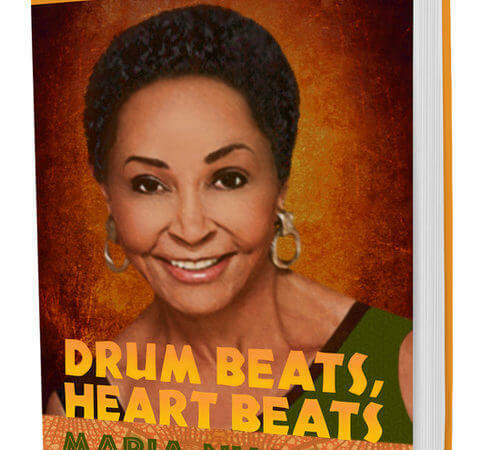 Thursday, 10/04/2018 7:00 - 8:00 p.m.
We are excited that Nhambu’s Dancing Soul Trilogy is complete with the release of Drum Beats, Heart Beat. An insightful and passionate storyteller, Nahmbu shares a brief synopsis of the entire trilogy. Thursday, 09/27/2018 1:00 - 2:00 p.m. Learn the basics of biomechanical alignment, common deviations from the norm and exercises/movements designed to minimize the effects of incorrect alignment and muscular imbalances common to all of us. Tuesday, 10/02/2018 12:30 - 1:30 p.m. 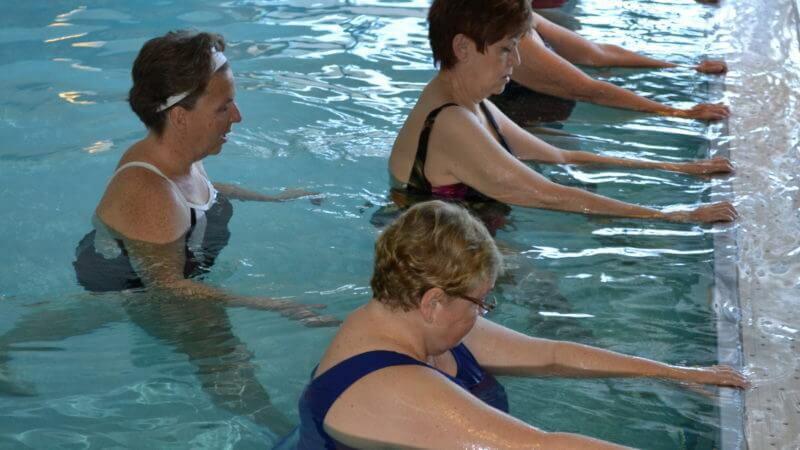 Taught by Aquatic Specialist Mary LeSourd, this program focuses on the principles of correct posture, improving structural alignment, identifying/strengthening core muscles, and securing stability and mobility within the body’s natural movement. Attend this important discussion… perhaps it is your first step in improving your balance and building your confidence. Lunch and Learn: Why Am I Not Losing Weight? 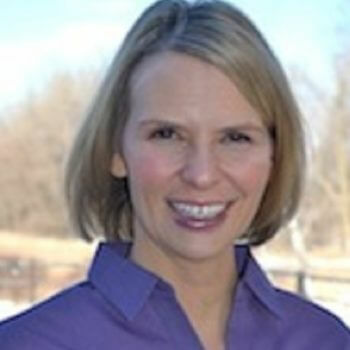 Join Registered Dietitian Bobbi Horner and learn what you can do to switch your metabolism into a fat burning mode. Wednesday, 10/03/2018 5:00 - 8:00 p.m. 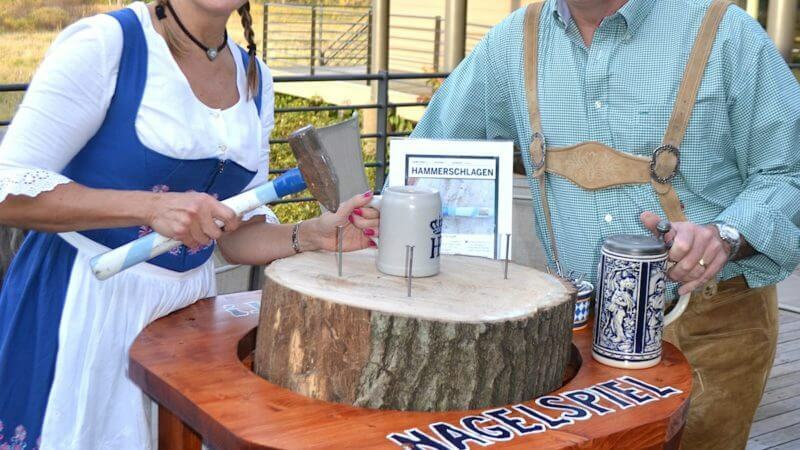 Enjoy a delicious Oktoberfest Buffet, including favorites such as Weiner schnitzel, sauerbraten and braised sausages, along with traditional sides and desserts. Back to the 80s Trivia Night! 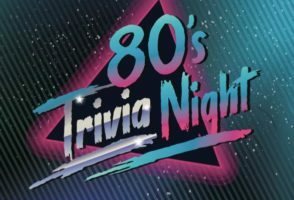 Thursday, 09/20/2018 5:00 - 7:00 p.m.
Join Stephanie Olson for this fun evening of 80s trivia in the Restaurant. 80s attire encouraged. 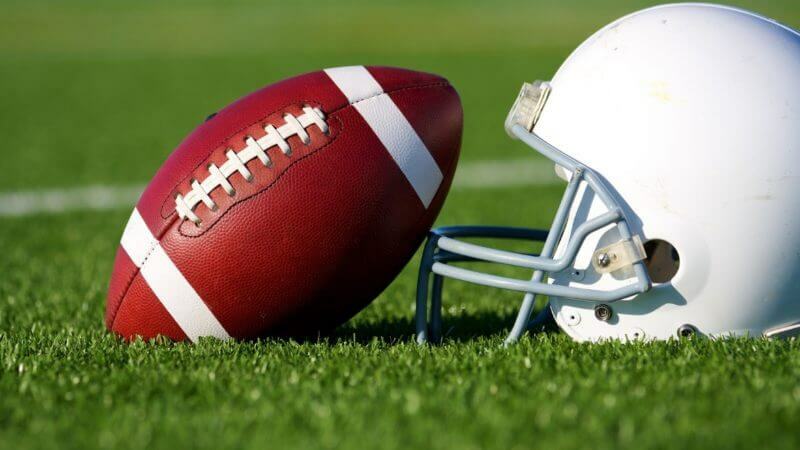 Thursday, 09/06/2018 5:30 - 8:00 p.m.
Let’s kick-off the football tailgating season in The Marsh Restaurant with some of Chef Dave’s delicious Buffalo Chicken Wings, Burger and Brat Sliders, Chips, Salsa and Queso Dip and Brownies. Tuesday, 09/18/2018 9:30 a.m. - 5:00 p.m.
Helen Wang, one of our favorite jewelry designers, will be on hand with her new one-of-a-kind or limited edition fall collection. Friday, 09/14/2018 9:00 - 11:00 a.m. 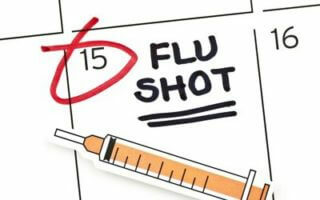 Flu season is right around the corner. 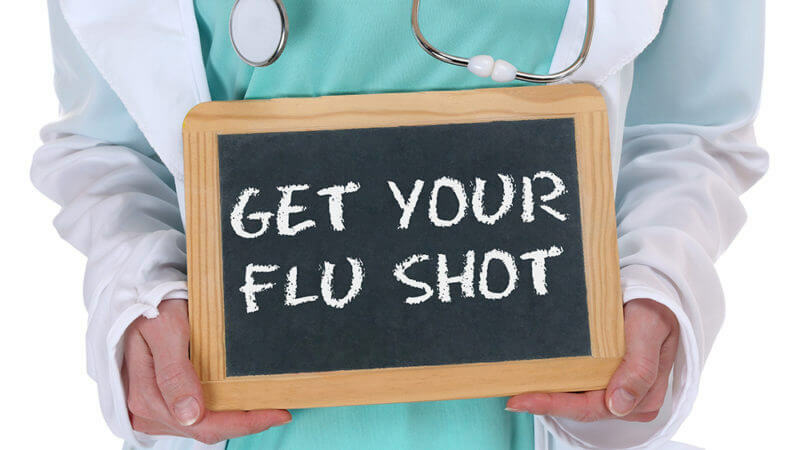 Join us for our annual Flu Shot Clinic hosted by the Minnesota Visiting Nurses Association (MVNA). Saturdays, 09/22/2018 8:00 - 9:00 a.m.
Join us for this new Intro to Pilates Small Group Reformer series for men. 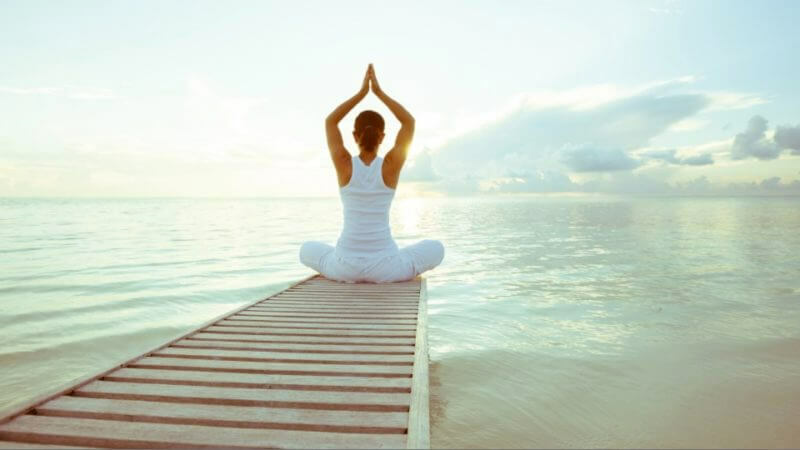 Saturdays, 10/13/2018 11:45 a.m. - 1:15 p.m.
Yoga from the Very Beginning introduces you to the fundamentals of yoga, emphasizing breathing, relaxation techniques, gentle stretches/poses, as well as modifications to the poses, and the types of yoga taught at The Marsh. 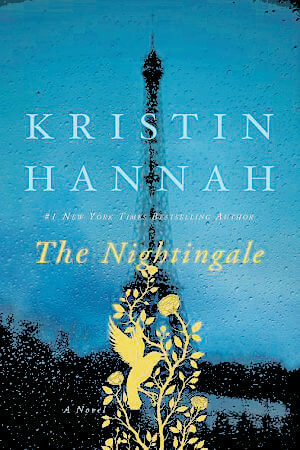 Join facilitator Amy Rosenberg for this unforgettable book discussion about courage, love and survival. Mondays, 01/28/2019 6:30 - 9:00 p.m. Whether you are seeking to feel less overwhelmed, more purposeful, less angry or more joyful, Mindfulness Based Stress Reduction is an eight week experience that will positively impact your life. Mondays, 09/10/2018 7:00 - 9:00 p.m. 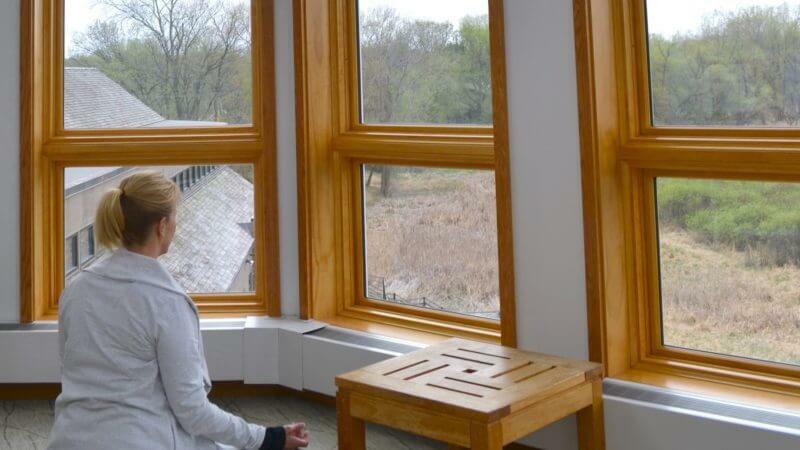 This four-week program, offered exclusively at The Marsh, introduces you to a variety of mindfulness-based living practices in a highly accessible way. Fridays, 09/28/2018 10:30 - 12:30 a.m. 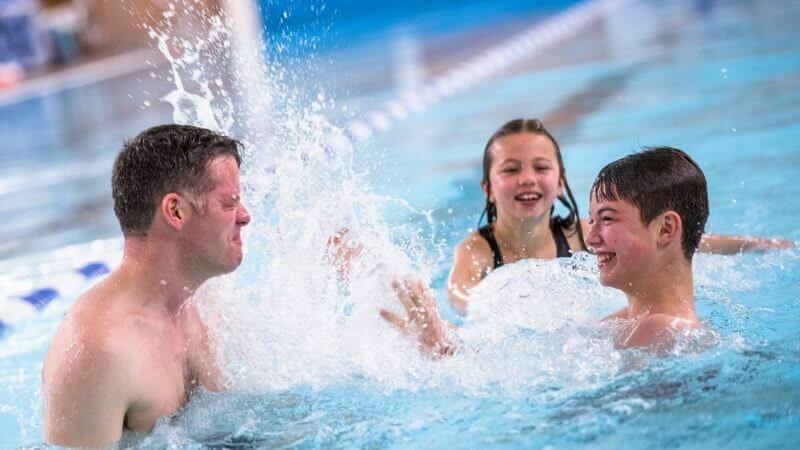 The Marsh offers a unique environment for children who are learning how to swim – a calm, comfortable atmosphere, warm water pools, highly experienced instructors and individualized attention. Our friends at Interfaith Outreach are grateful for The Marsh’s support with their Annual Back-to-School donation drive serving over 800 families. 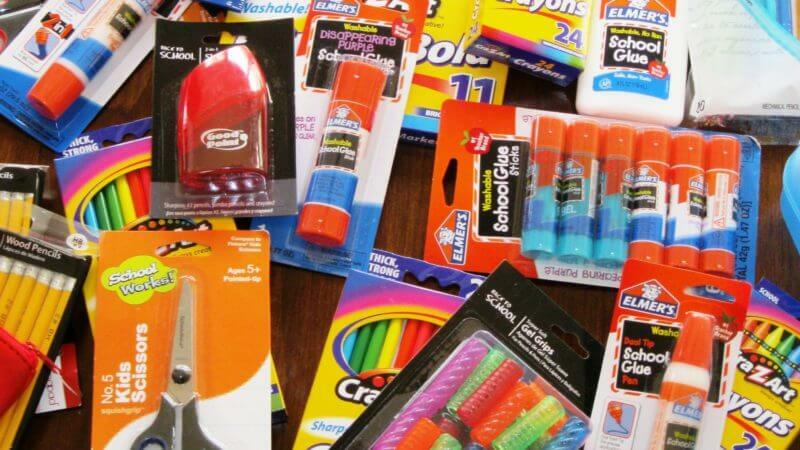 Please drop off your school supply donation in the lobby by August 17. Monday, 08/06/2018 9:00 a.m. - 3:00 p.m.
Retail Buyer Arlene Robitshek has arranged a David Cline Trunk Show taking place at our shop. Stop by to see the collection of contemporary women’s apparel. 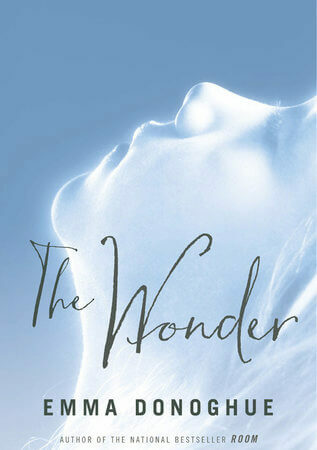 The Wonder by Emma Donoghue is a tale of two strangers who transform each other’s lives. 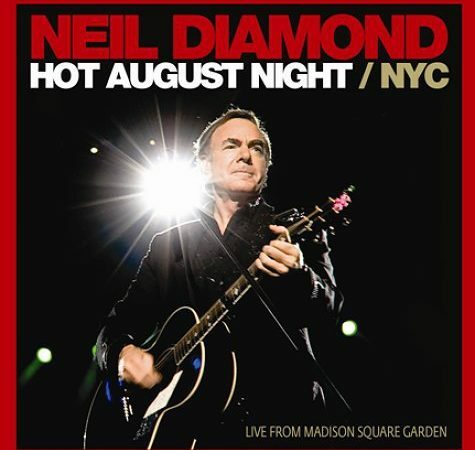 This party takes us back to 1972 capturing Neil Diamond in his Hot August Nights glory… from Red, Red Wine, to Sweet Caroline and Cracklin’ Rosie. Tuesday, 08/14/2018 4:30 - 5:15 p.m. This class is for everyone and anyone… all ages and abilities! Gather your friends and family and join Studio Director Liz Anema for this fun class combining dynamic movements and drumming. Register by calling 952-935-2202. $10 per person/$30 max per family. 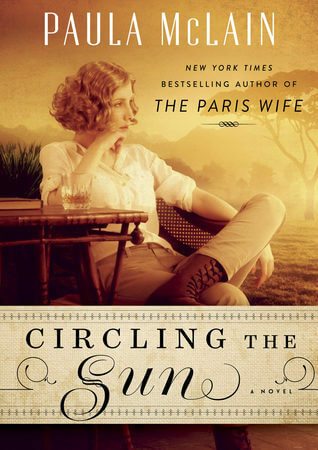 Whether you are a regular participant or new to our monthly Book Group, we invite you to join us for this fun, social event, open to all in the community. 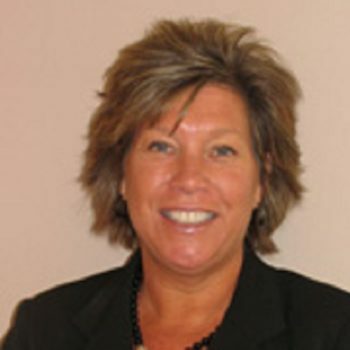 Facilitated by Amy Rosenberg. Saturday, 07/07/2018 10:15 - 11:15 a.m. 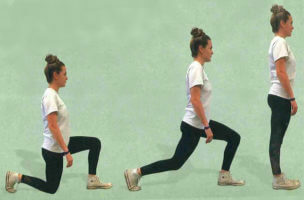 Whether you are looking to perform better in a sport or want to ensure you can continue getting up and down off the floor with your grandkids, mobility exercises provide neuromuscular coordination, balance and strength. Monday, 08/20/2018 6:30 - 8:00 p.m. The transition from summer to school schedules can be challenging, both for parents and educators. Having each day start calmly helps the day go more smoothly for everyone. This workshop explores a variety of mindfulness practices that can be used at home or in the classroom. Monday, 07/16/2018 6:30 - 8:00 p.m. 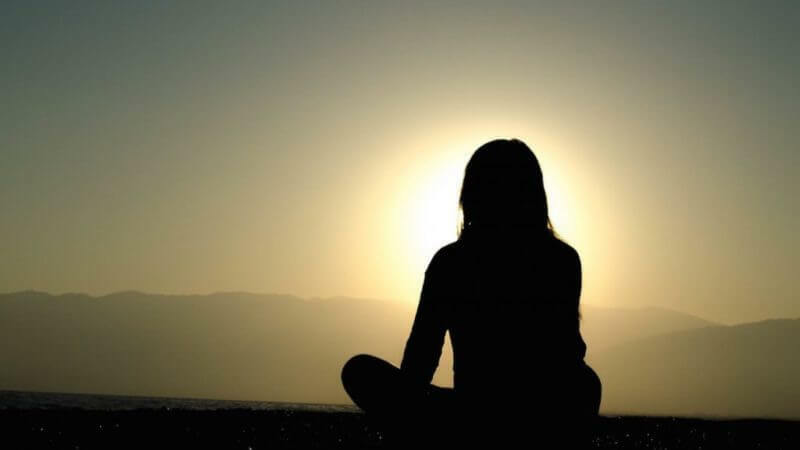 This workshop invites us to be open to change and to be empowered to become our best selves by exploring mindfulness practices and journaling techniques for personal growth. Tuesdays, 08/14/2018 9:15 - 9:45 a.m.
Minnesotans favorite past time can be a disaster for our nutrition plan. Come get tips on what are the best and worst foods to pick. 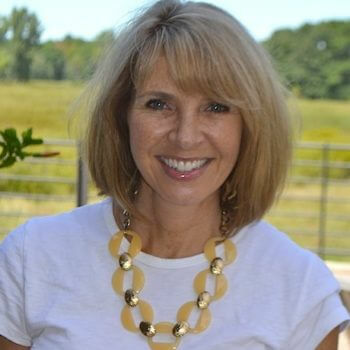 Join registered dietitian Bobbi Horner and learn more about making the best beverage choices this summer and staying hydrated! 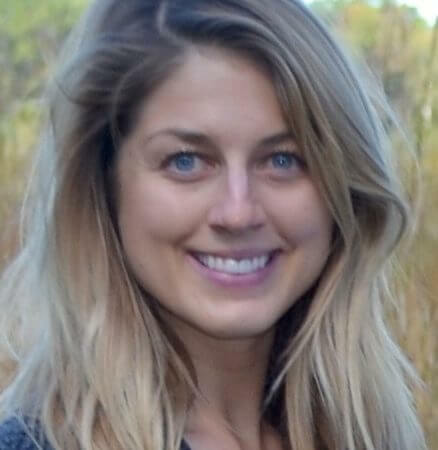 Saturday, 07/21/2018 1:00 - 3:00 p.m.
Popular Yoga Instructor Amanda Straka focuses this workshop on the spine, particularly the thoracic or mid-back area. 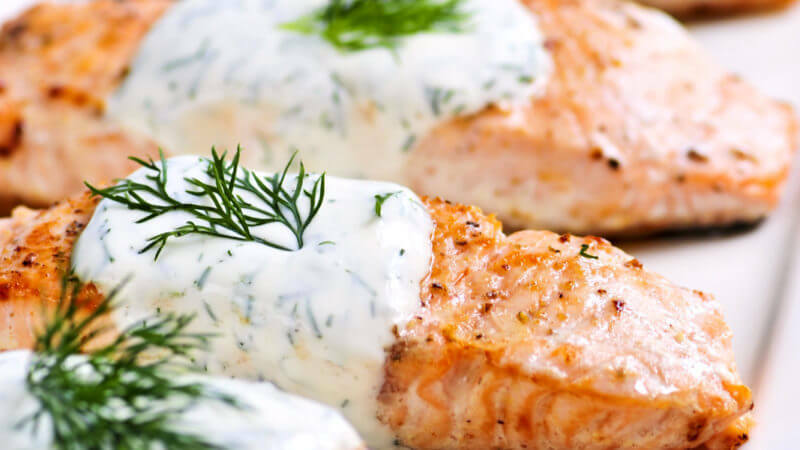 The simplicity of grilling, and the use of marinades, pesto, and other sauces brings the flavor profiles to a whole new level. Our registered dietitian will be on hand to answer nutritional questions and share a few recipes. 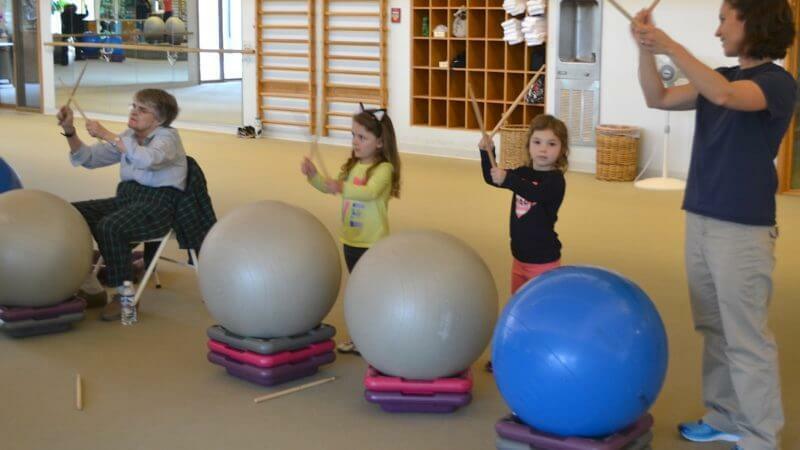 Join Studio Director Liz Anema for this fun Drums Alive class using drum sticks, exercise balls and step pods. 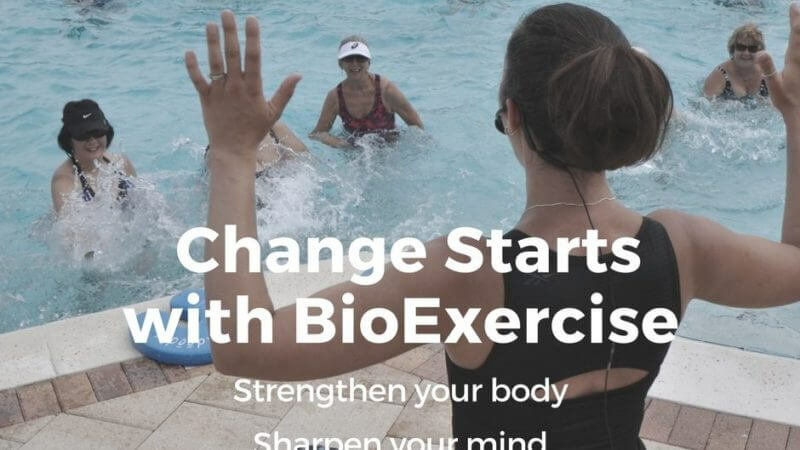 BioExercise™ – Playful Water Fun! Open to all fitness levels, this lap pool class will strengthen the body and sharpen the mind using repetition along with brain boosting variations. Thursdays, 06/21/2018 11:30 a.m. - 12:30 p.m. 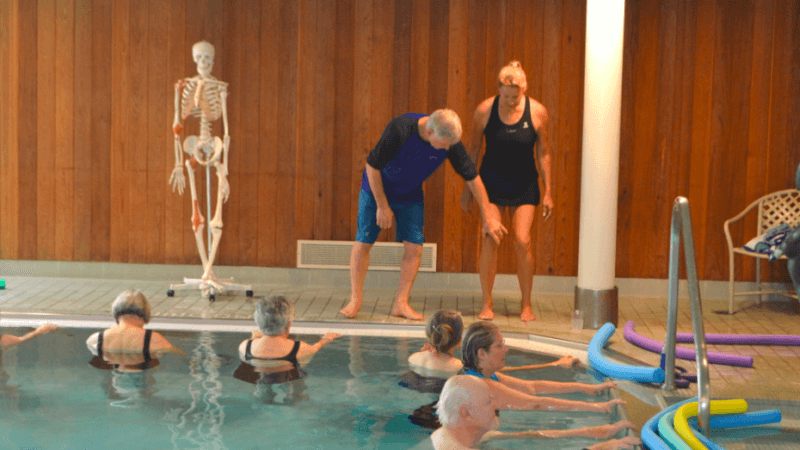 If you have discomfort in one or both of your knees, you will benefit from this two-part workshop in the therapy pool. 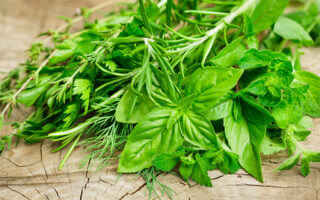 Learn what foods will help decrease inflammation, pain, aches and fatigue. 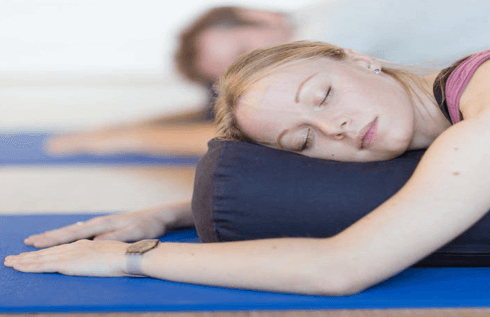 Yoga Nidra is like nothing you have experienced before. Deeper and more relaxing than sleep, this is a low-movement class where you experience the profound release of chronic stress. Thursday, 06/21/2018 6:00 - 6:45 p.m.
Popular instructor Stephanie Olson leads this relaxing water meditation and gentle stretch class in the 94-degree therapy pool. 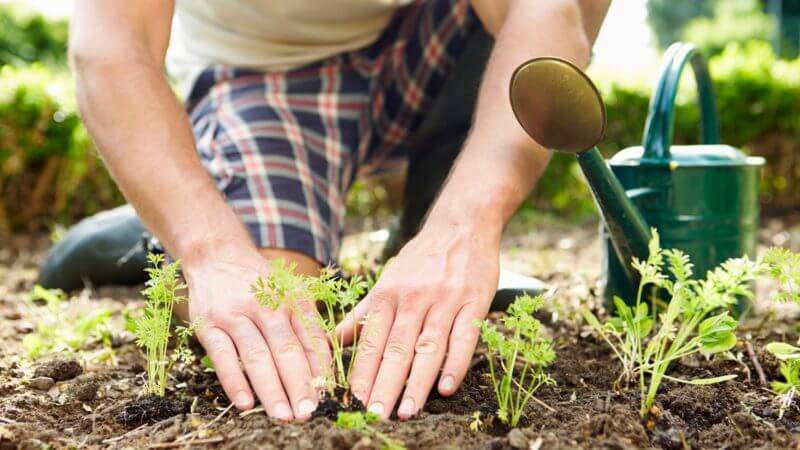 Join instructor Stephanie Olson for this class filled with tips and techniques for gardeners. Wednesday, 06/13/2018 12:30 - 1:30 p.m. The Rollga, a new foam roller with grooves, allows the body to be “cradled” while reaching deep into the muscle tissue for fascial release. 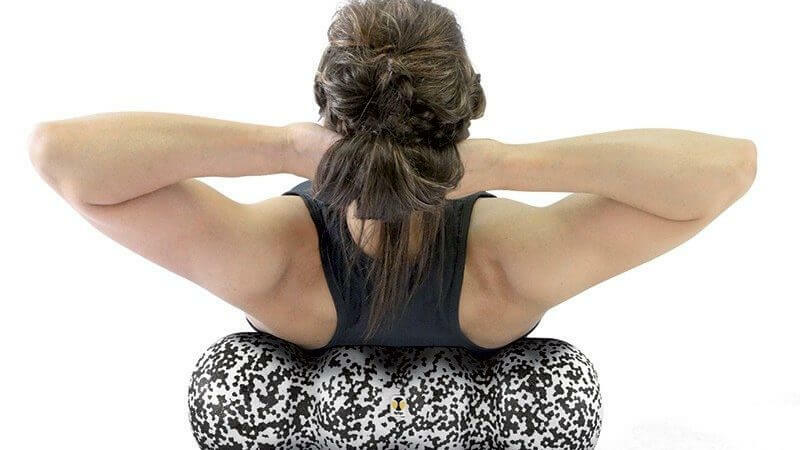 Saturday, 06/09/2018 1:00 - 3:00 p.m.
Popular instructor Amanda Straka is teaching a series of workshops that focus on learning rolling techniques to help improve the suppleness and circulation in the connective and muscular tissues. 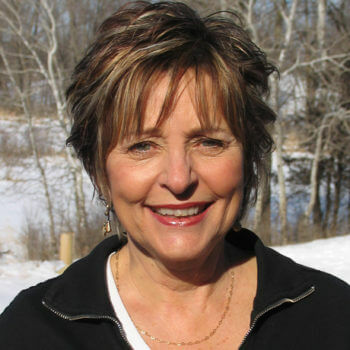 Meet Diane Pattridge at the Mound Park & Ride Lot for this beautiful 20-mile round trip ride on the Dakota Trail with a stop for lunch at the Bistro or Dakota Junction. 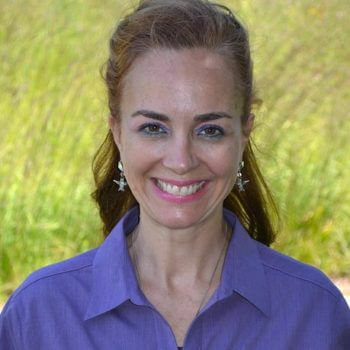 Instructor Jennifer Thompson is teaching Classic Pilates Mat. We now offer these classes on Mondays, Wednesdays and Fridays. Saturdays, 06/02/2018 10:00 a.m. - 11:00 a.m. If you are interested in a Pilates, join instructor Jennifer Wood for this introductory small group reformer class. This workshop, taught by popular Certified Feldenkrais Instructor Nick Strauss-Klein, offers practical movement lessons and advice, both designed to connect your mind – your full human intelligence, awareness, and sensitivity – to the body mechanics of better sitting. 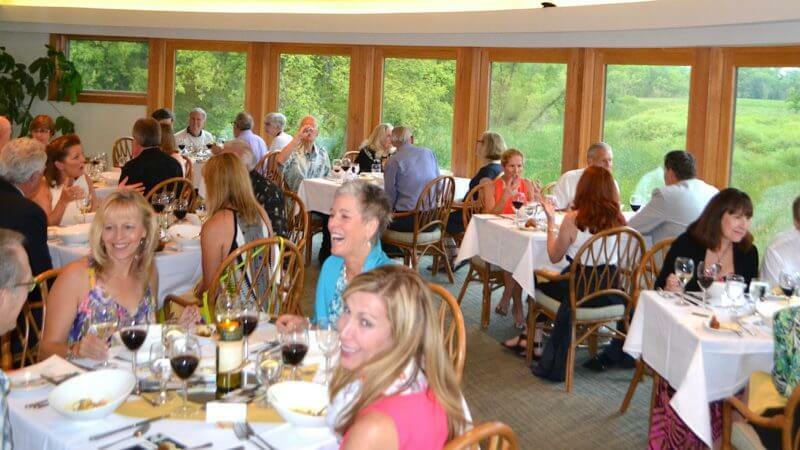 In honor of our 33rd Anniversary, we invite you to explore The Marsh and what we have to offer! Wednesday, 05/23/2018 11:30 a.m. - 1:00 p.m. Enrich your Tai Ji experience through the inspiring teachings of Master Chungliang Al Huang. 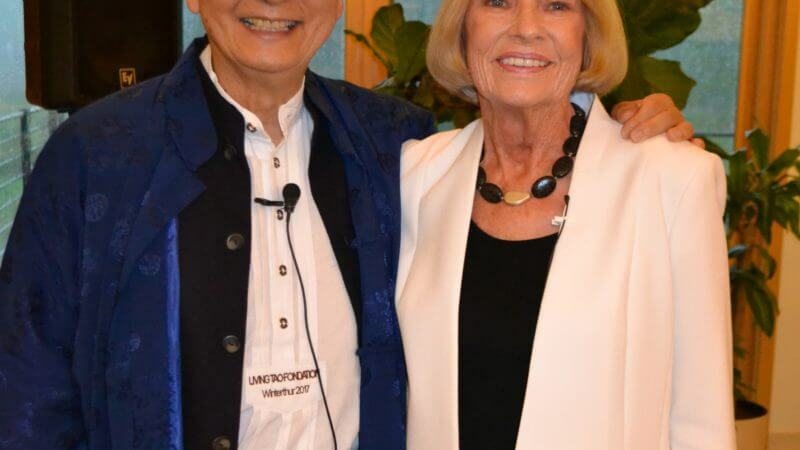 He will teach “Essential Qigong Exercises of China” that are easy-to-absorb and supportive of mind-body-spirit well-being. 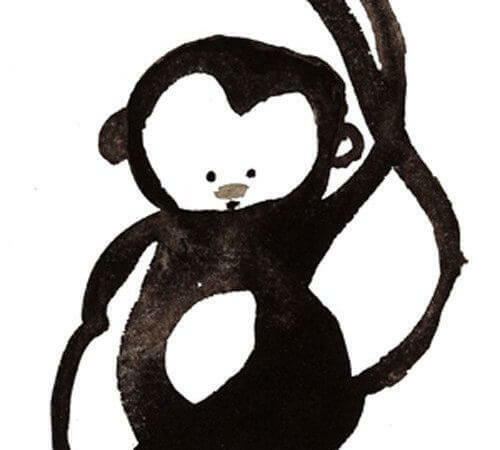 Join us for this interactive workshop filled with storytelling, movement, music and art … Chungliang’s presentations are all unique, joyful, inspirational, uplifting and fun for all. FUEL FOR SUCCESS – GRIT Away Inches from Your CORE! Tuesdays, 05/22/2018 9:15 a.m. and 5:30 p.m. The powerful combination of GRIT and Nutrition guidance is a recipe for success. High intensity interval training is proven by research to have tummy trimming benefits far beyond a regular cardio workout. 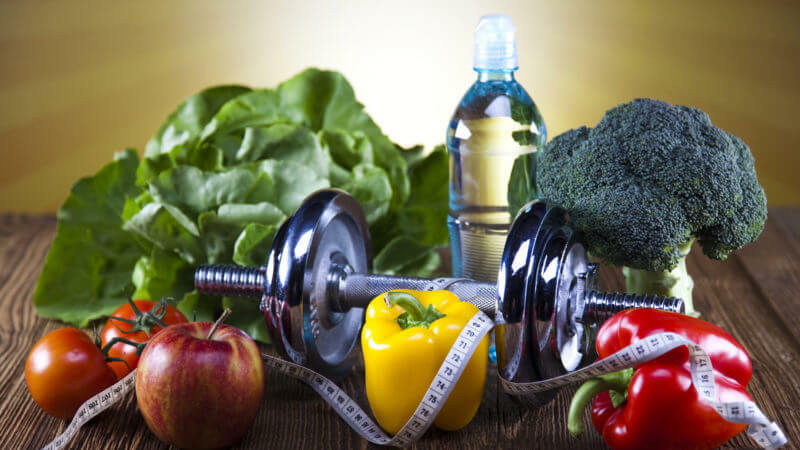 Designed for those working out at a high intensity 2-3 times a week, this program provides pre- and post- health assessments and a series of Nutrition Talks led by Marsh Registered Dietitian Bobbi Horner. Thursday, 06/07/2018 11:30 a.m. - 12:30 p.m. This workshop will focus on aspects of the core that help with back health, posture and balance. 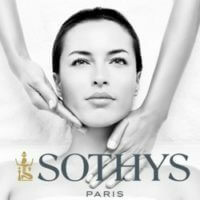 Tuesday, 06/12/2018 11:30 a.m. - 1:00 p.m.
Join us in the lobby on Tuesday, June 12 for a Sothys demonstration, samples and to pick up an updated Spa Menu. 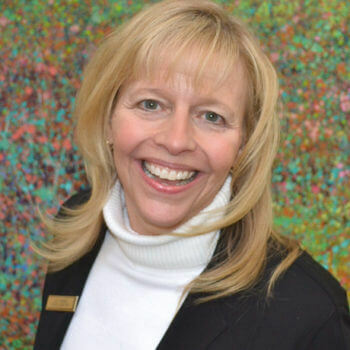 Join registered Dietitian Bobbi Horner for the fun, interactive session where she will debunk the top 10 nutrition myths and answer all your questions. 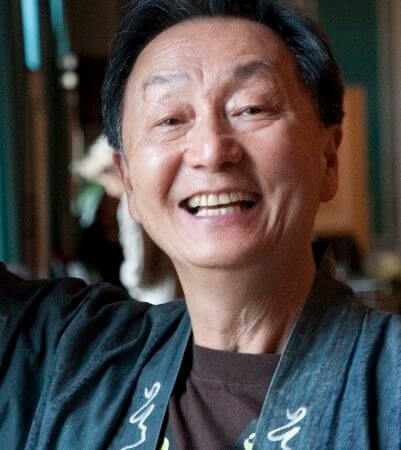 Mondays, 05/07/2018 11:30 a.m. - 12:30 p.m.
Popular Tai Chi instructor Yang Ye returns in May for a three-week session continuing our exploration of longevity, good health and true happiness through the lens and the practice of Tai Chi. 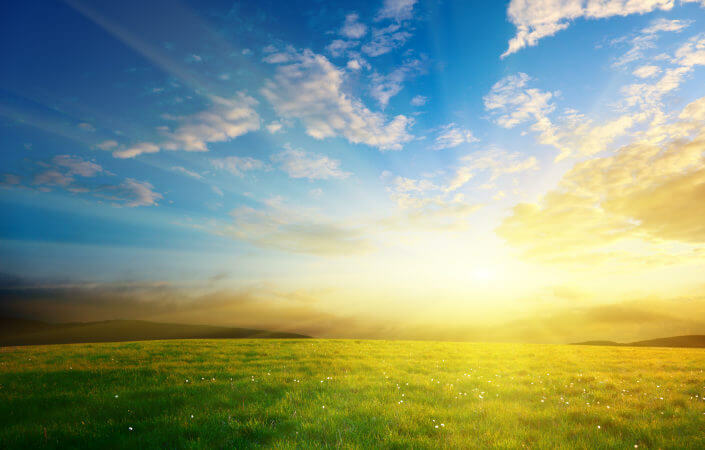 Friday, 06/15/2018 10:00 a.m. - 12:00 p.m.
Join us for our Living with Positivity workshop. We will explore simple daily practices that will help you create more joy for both you and with those with whom you interact. Saturdays, 05/05/2018 10:00 - 11:00 a.m.
Join us for this series where you will learn these slow, rhythmic movements, emphasizing body control and breathing with a group of 3-6 people. 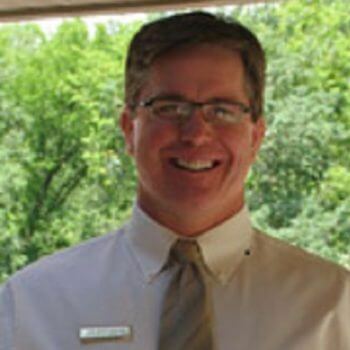 Join Physical Therapist Doug Merz as he addresses integrative approaches for keeping your knees healthy at any age. 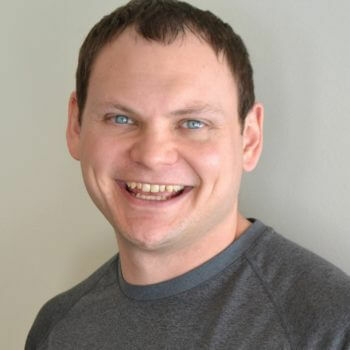 In addition, Evan Strewler, MS will discuss the role of functional training and stretching for preventative and rehabilitative knee health. 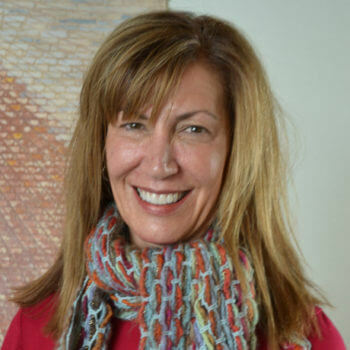 The Power of Emotional Connection in Today’s World with Barbara L. Fredrickson, Ph.D. 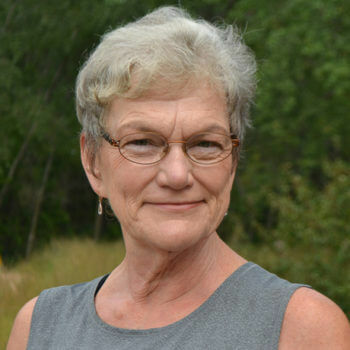 Please join us in welcoming world-renowned researcher Barbara Fredrickson, Ph.D. as this year’s Anniversary Speaker. 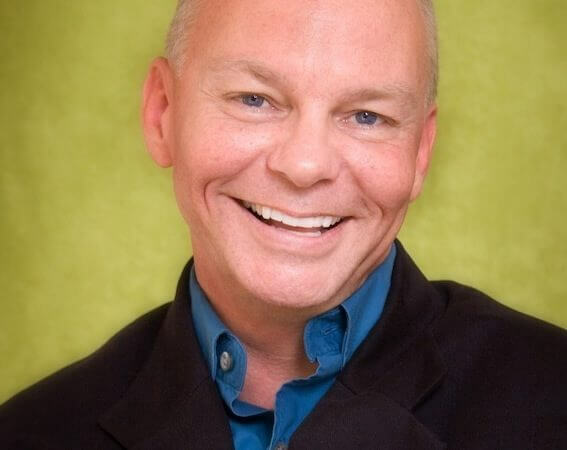 Author of Positivity and Love 2.0: Finding Happiness and Health in Moments of Connection, Dr. Fredrickson will share how the powerful – though undervalued – state of mind can enhance your relationships, improve your health, relieve depression, and broaden your mind. 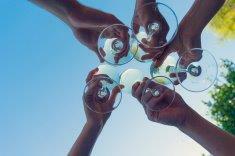 Invite a friend and join one of our small group training times – you won’t be disappointed! Weekly rotations of class options will integrate TRX, Kettlebells, FUNctional training, rowers, bands, body weight and so much more! We will do an individual assessment of your movement patterns and then design an exercise program to address any imbalances you may have. Sunday, 05/13/2018 9:00 a.m. - 1:00 p.m. 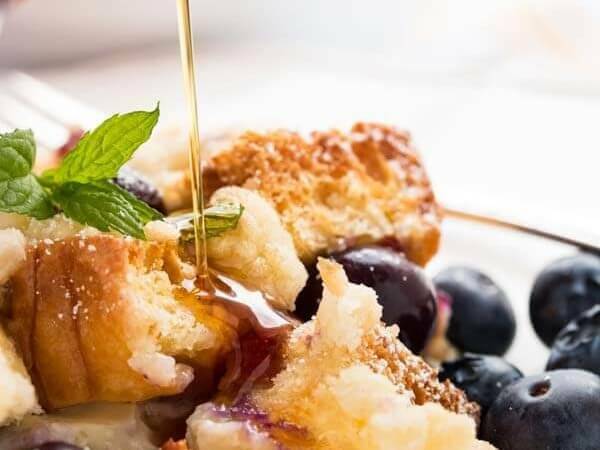 Honor any mom in your life with a delicious Brunch Buffet. 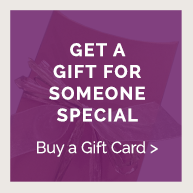 Book a Customized, Men’s, Ultimate or Ultrasonic Facial and receive our special “Buy 2 get 1 Free” (of lessor or equal value) skin care product special. 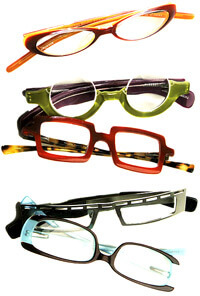 Friday, 04/06/2018 9:30 a.m. - 5:00 p.m.
Eyebob’s collection of readers and sunglasses is filled with funky frames with funky names… We are sure you will find something that suits your personality and style at this month’s trunk show. 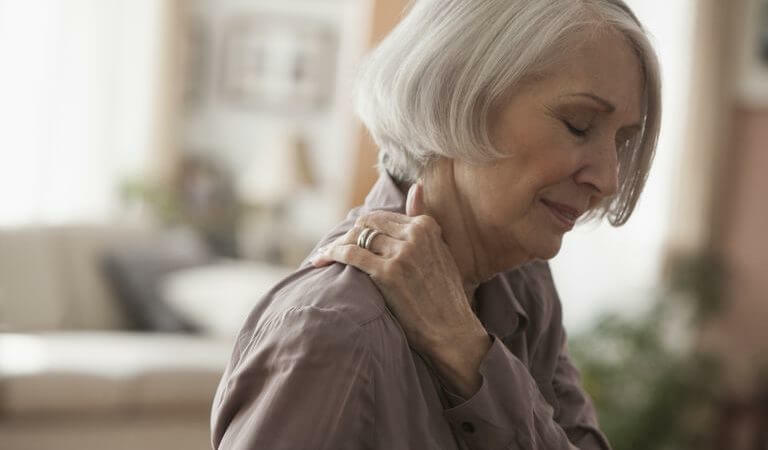 Our very popular lecture series with Merz Physical Therapy returns on the important topic of chronic pain, a debilitating condition that affects millions of Americans. Saturday, 05/12/2018 1:00 - 3:00 p.m. In this workshop, we will use therapy balls to loosen up the fascia and muscles of the back and follow with longer held and propped yoga postures to increase length and mobility. Thursday, 05/03/2018 Noon - 1:00 p.m.
Come to our complimentary information session to learn more about this service. 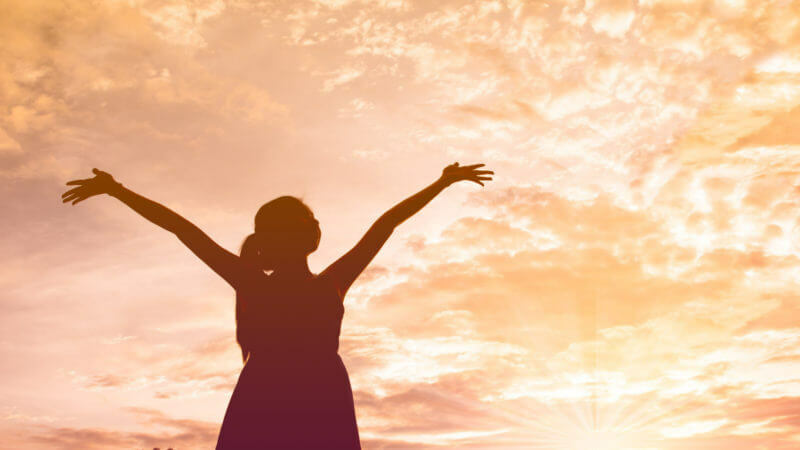 Monday, 04/16/2018 7:00 - 8:00 p.m.
Our signature Mindfulness Based Living (MBL) program provides various practices and tools for managing stress and increasing joy in a highly accessible way. 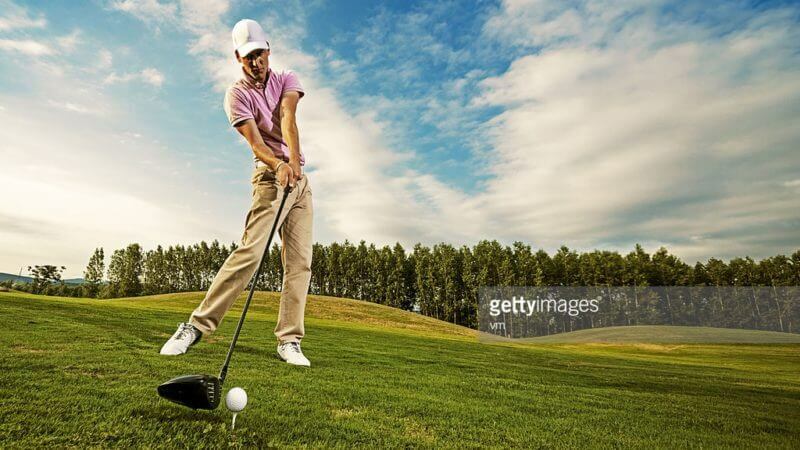 Now is the perfect time to perfect your golf swing! 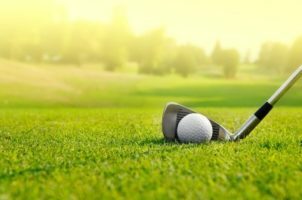 This program includes six private sessions with three specialists which focus on the physical elements which can help you improve your golf game. Our community is rich with stories of resilience, spirit and overcoming challenges. 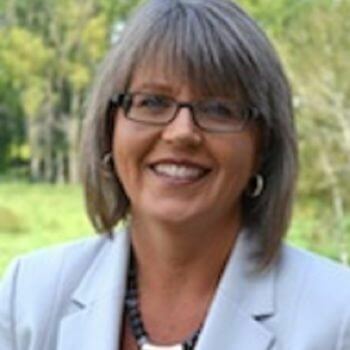 Elaine Wilson’s journey has been ripe with obstacles, but talking with her you would never know it. She radiates warmth and heartfelt authenticity, her focus being the joy in today. 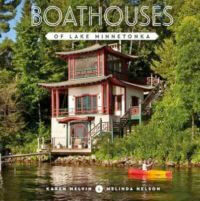 Join Evan Strewler for this scenic, paved ride from Hopkins to the lakes of Minneapolis. Monday, Wednesdays, and Saturdays, 05/07/2018 6:00 a.m. & 10:30 a.m. 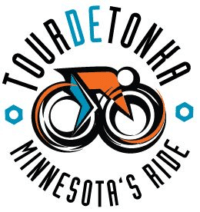 The Tour de Tonka is August 4. 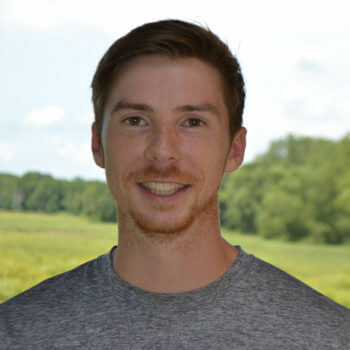 Evan Strewler, Marsh Exercise Physiologist and avid cyclist, has developed a 12-week training program around our Marsh Studio Cycle class schedule for you to prepare for the 48 or 62 mile route. Connecting is a fun new idea for some informal chats of folks gathering in the restaurant for casual conversations, serious thoughts or good humorous laughter. 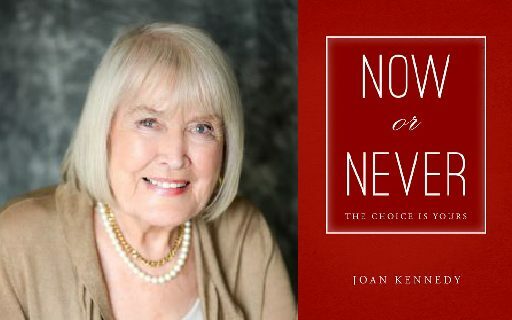 Thursday, 04/12/2018 3:30 - 5:00 p.m.
Joan Kennedy delivers a powerful message that life is for living now, whatever our age. By believing that we are our own power source, women of all ages can make the coming years their most productive, fulfilling, and empowering! 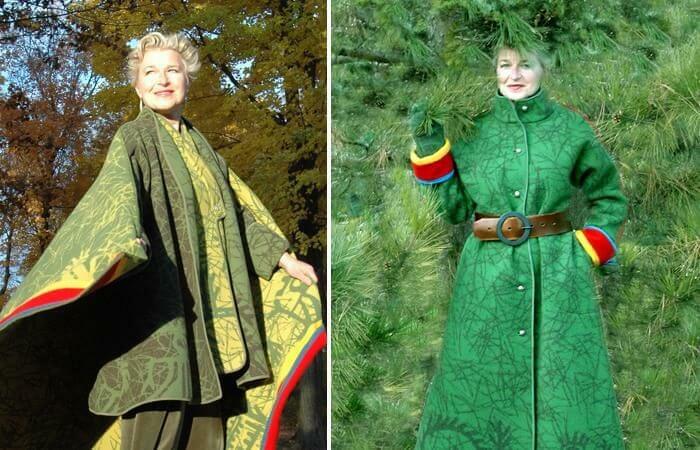 Men and women alike will be inspired! 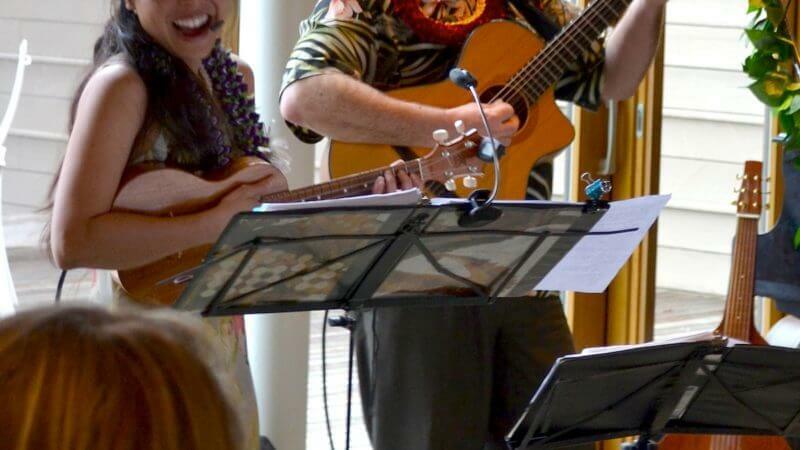 , 5:30 - 7:30 p.m.
Join us for our Spring Hawaiian Luau featuring Kim Sueoka on ukulele and David Burk on steel guitar. 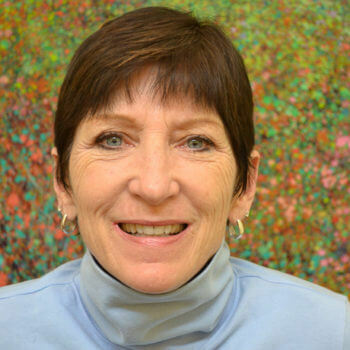 Saturday & Sunday, 04/07/2018 9:00 a.m. - 4:00 p.m.
All fitness professionals are welcome to this two-day AEA aquatic fitness training with Laurie Denomme, Kinesiologist. Wednesday, 04/03/2019 5:30 - 7:30 p.m. 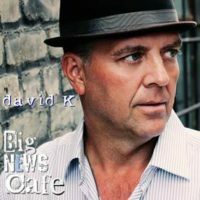 Featuring George Scot McKelvey, a Minneapolis-based singer, guitarist, and performing songwriter. 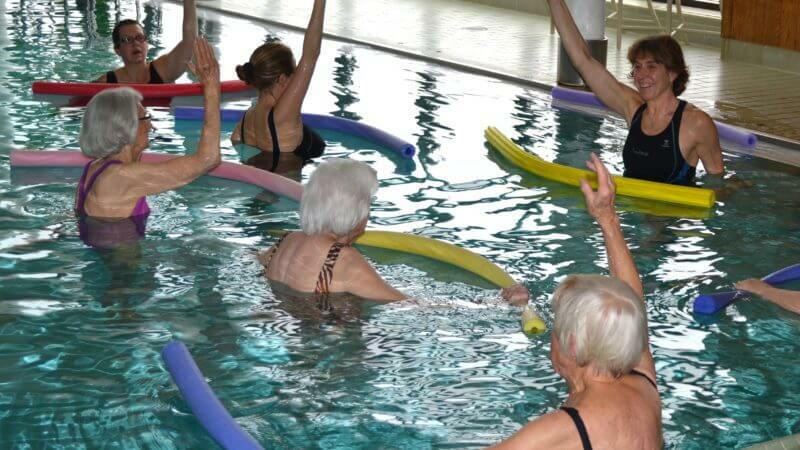 Water is the perfect setting for older adults to strengthen the core and improve balance. 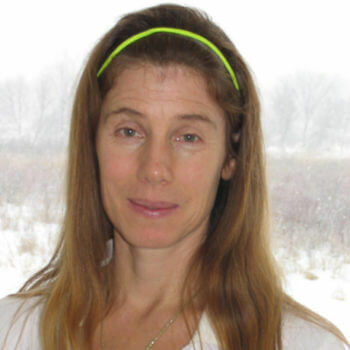 In this workshop, Mary LeSourd will share a series of core strengthening exercises. Wednesday, 03/28/2018 1:00 - 2:00 p.m. 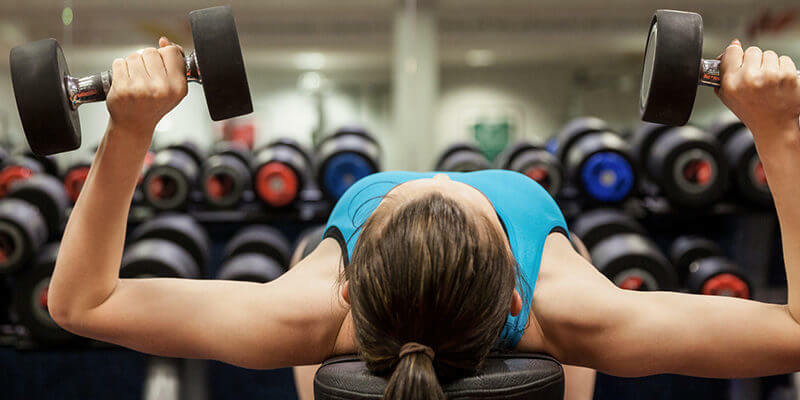 Learn how strength training a few times a week can change our metabolic rates, laying the groundwork for long-term successful weight management; as well as the importance of building strength to minimize osteoporosis and prevent/manage other diseases. Mondays and Wednesdays, 04/09/2018 5:30 p.m. and 8:45 a.m. 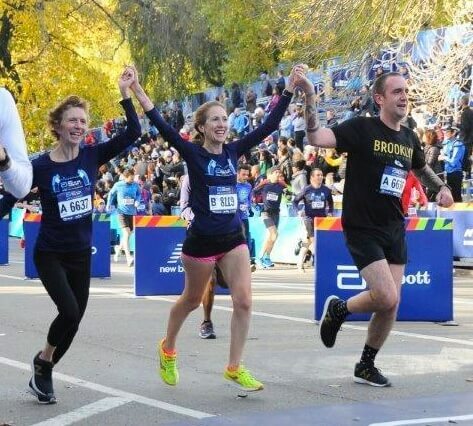 The Couch to 5K is designed for anyone who wants to “get moving” – with a little help from some friends. 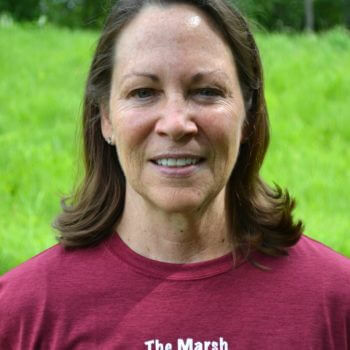 Marsh Exercise Specialist and health coach, Brenda Steger, leads this group, making sure that everyone goes at their own pace while preparing to walk or run a 5K (3.1 miles). Saturday, 03/24/2018 2:30 - 4:30 p.m. Kids rule the pool during our Friends & Family Open Swim in the lap pool. Come and practice your swim strokes or simply play with all of our pool toys – it is all fun! 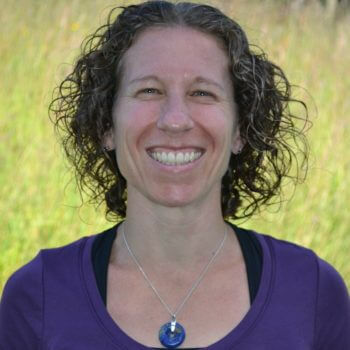 Sunday, 03/18/2018 1:00 - 3:00 p.m.
Popular yoga instructor Amanda Straka focuses this workshop on neck and shoulder release and mobility. Thursday, 03/29/2018 11:30 a.m. - 12:30 p.m. The warm water of the therapy pool provide relaxation and pain relief and natural buoyancy will assist you in completing a normal range of motion otherwise inhibited by pain. Saturday, 03/24/2018 11:45 a.m. - 12:45 p.m.
Come and learn about the hottest new foam roller – the Rollga! This foam roller has grooves which allow for a better release of muscle tissue without excessive pressure on the skeletal structure. Good news… Baby smooth, radiant, supple skin is possible with The Marsh’s new Signature Three Layer Hydrating Paraffin Facial. Saturday, 03/03/2018 10:00 - 11:30 a.m. 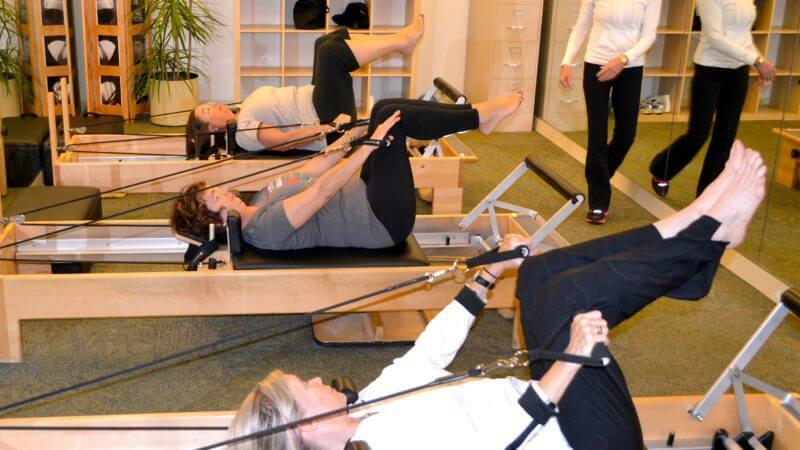 Using the Pilates Reformer, Chair and GYROTONIC® equipment, you will learn to access your core which will help your golf game by improving your stability, rotation and balance. Thursday, 03/15/2018 12:00 - 1:00 p.m.
Join Liz Anema and our new Certified Master Pedicurist, JJ Davis, RN for this complimentary workshop where you will learn foot exercises and massage techniques for healthy feet. Mondays, 03/05/2018 11:30 a.m. - 12:30 p.m. 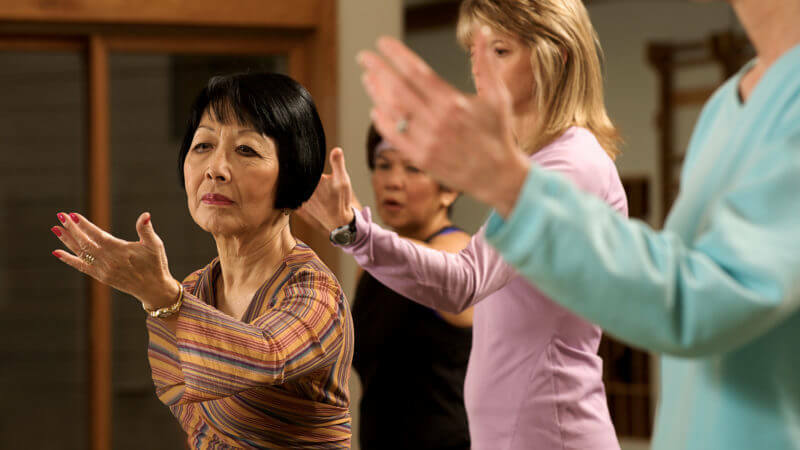 In this four-week session, we will explore longevity, good health and true happiness through the lens and the practice of Tai Chi. 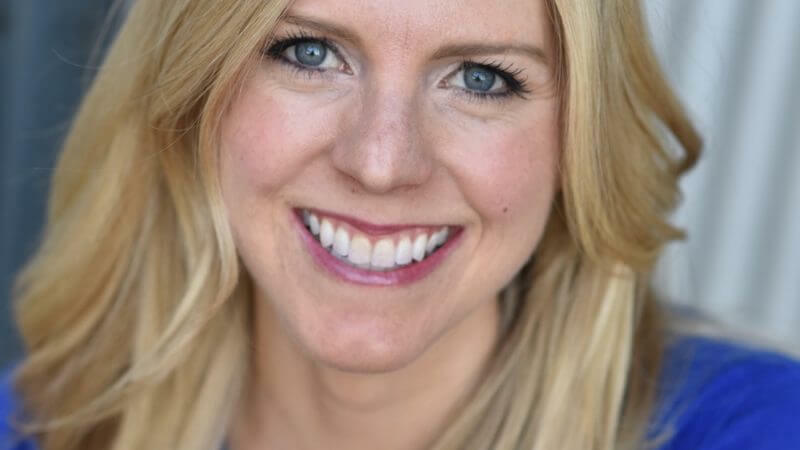 Friday, 03/16/2018 12:30 - 1:30 p.m.
Jessica Horne, DPT will share an overview of why falls happen, what dizziness can be improved via vestibular training, and why we have chosen some evidence based strategies for prevention. Whether you are experiencing difficulty lifting things overhead, currently have shoulder pain or just want to understand how to keep yourself injury-free, this workshop is for you! 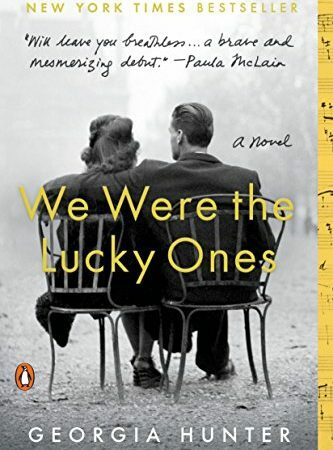 Join our new book group facilitator Amy Rosenberg for a riveting discussion of this month’s book selection: We Were the Lucky Ones. 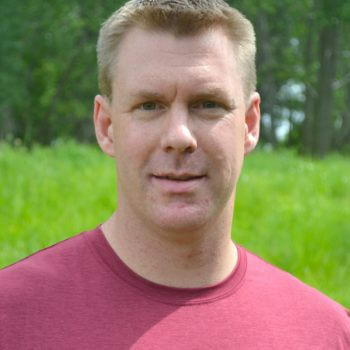 At this informative talk, certified FMS specialist Dustin Burgemeister, MS, discusses the seven movement patterns evaluated that identify limitations and muscle asymmetries, and why it matters to you. Tuesdays, 02/20/2018 12:30 - 1:30 p.m. 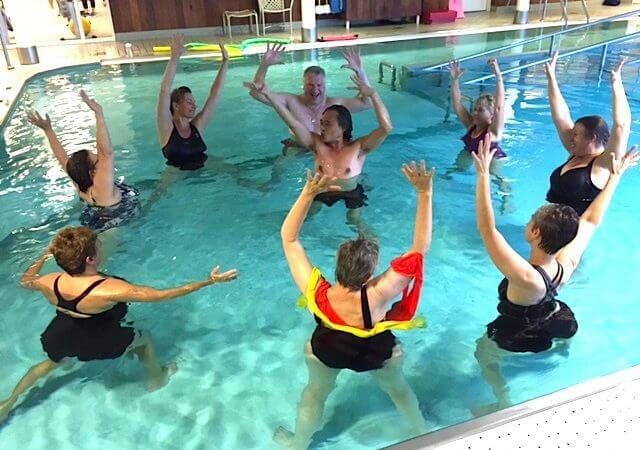 The first class warm water of the Therapy Pool serves as a safety net, providing a comfortable place for exercise without increasing risk for falls. The following class we will explore land-based movements that will help increase your strength and improve your balance. 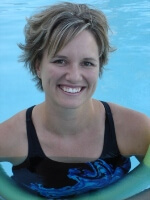 Saturdays, 02/10/2018 8:00 - 9:00 a.m.
Come join Barb Scouler, our local Master Swim Coach, for this swim clinic designed for those who want to improve their skills as intermediate lap swimmers. New Bikes! 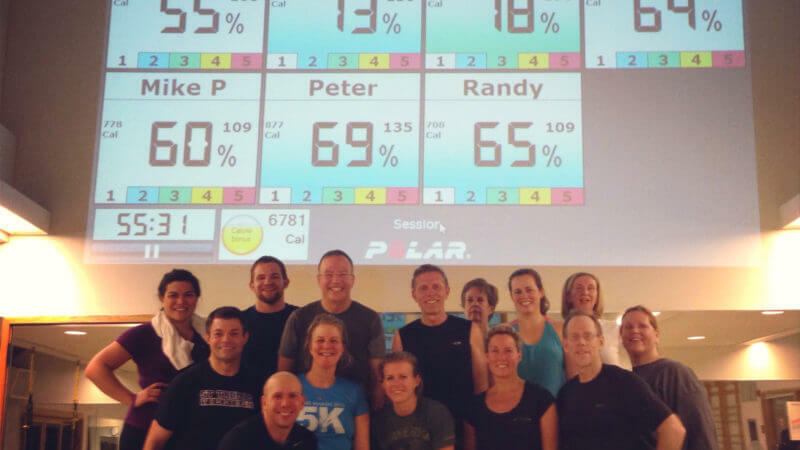 New Cycle Classes! 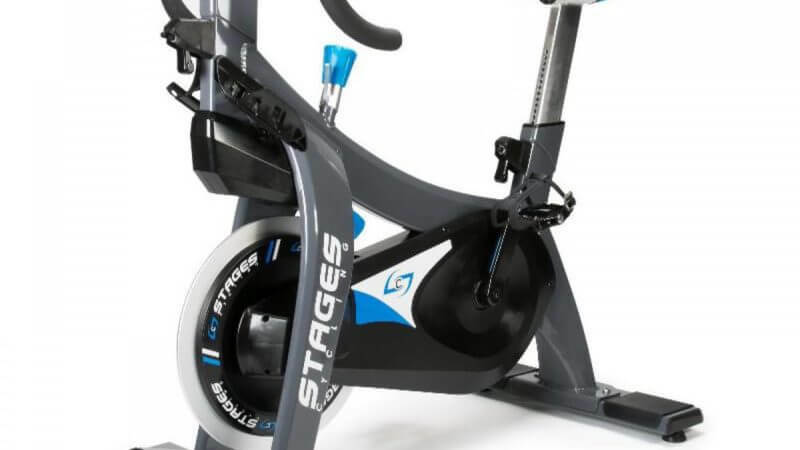 Our new Stages SC3 bikes are here! Great for beginners and avid cyclists alike, these bikes are ergonomically fit and engineered for simplicity and function. The cycles are simple to use, but join a class marked “intro” on the schedule for more guidance. 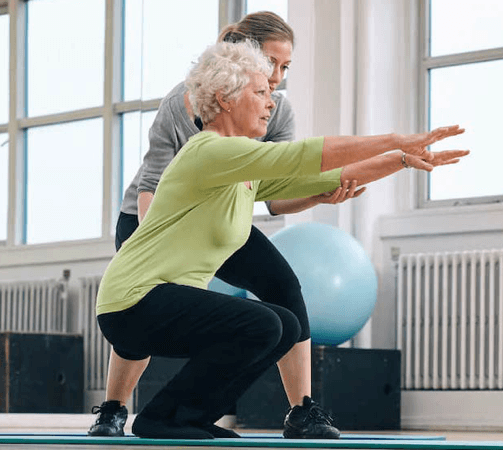 Join Physical Therapist Doug Merz to learn safe exercises that you can do today to slowly reverse the effects of osteoporosis and help you build back your bone density. This special pedicure begins with a warm rosewater soak, a special mask and a therapeutic foot and leg massage followed by the polish of your choice. Saturday & Wednesday, 02/10/2018 5:00 - 9:00 p.m. 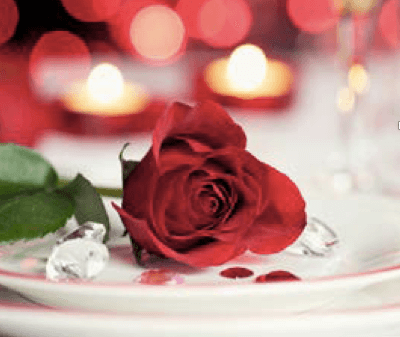 Celebrate Valentine’s Day at The Marsh Restaurant with delicious food and fantastic music. 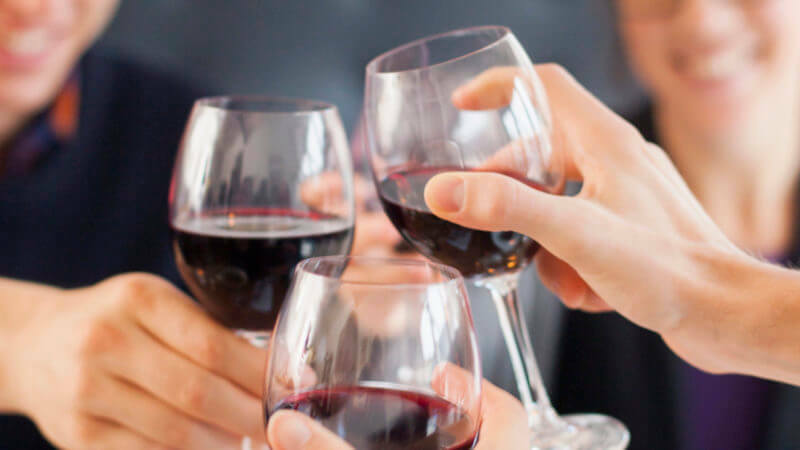 Our chefs are planning a special menu featuring three delicious entrées: Filet Mignon, Scallops and Chicken Roulade, paired with spectacular wines and desserts. 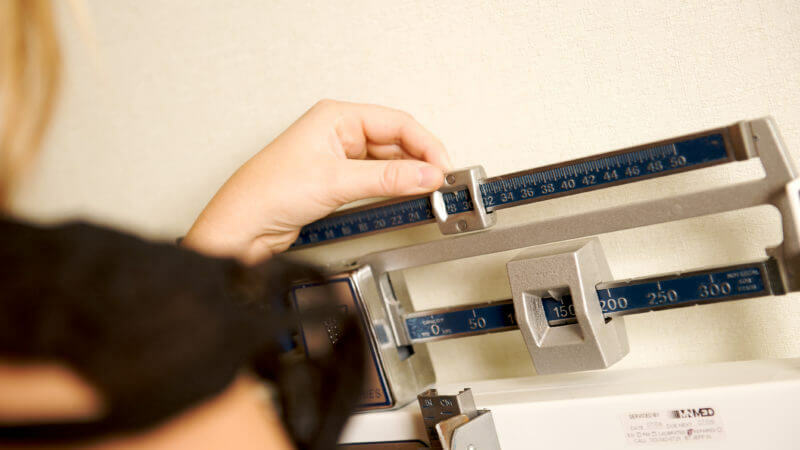 Whether you just want to prioritize your health or feel a lifestyle change is in order, a little guidance from our health professionals can help. 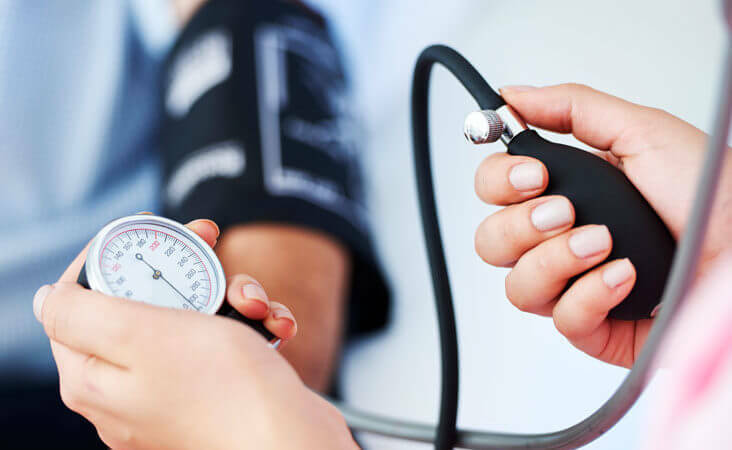 This package combines three hours of nutritional counseling along with health assessments, specifically blood cholesterol screening and a VO2. Tuesday, 05/22/2018 6:45 - 9:15 p.m. This workshop uses exploratory movement and guided attention to help students discover the ease and efficiency of improved posture. Tuesday, 04/24/2018 6:45 - 9:15 p.m.
Reduce hip and back pain, and feel more comfort, clarity, and ease in all kinds of day-to-day and athletic movements! Tuesday, 03/13/2018 6:45 - 9:15 p.m. If you experience neck or back pain, or just want to keep your back strong and healthy, this workshop is for you! Tuesday, 02/27/2018 6:45 - 8:15 p.m.
Nick Strauss-Klein leads this introductory workshop which applies the principles of Feldenkrais to the management of chronic pain. 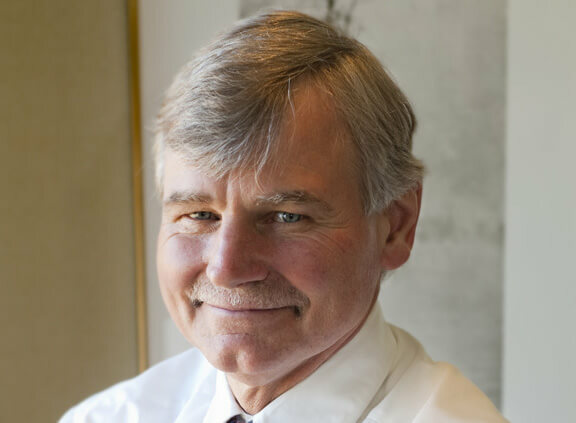 Thursday, 02/08/2018 6:30 p.m./7:00 p.m.
Join us for Dr. Sharkey’s presentation, You and Your Heart 2018: Myths, Realities & Beyond. 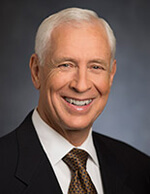 Dr. Sharkey is President and Chief Medical Officer at the Minneapolis Heart Institute Foundation and Senior Consulting Cardiologist at Minneapolis Heart Institute. Saturday, 02/10/2018 1:30 - 3:15 p.m. 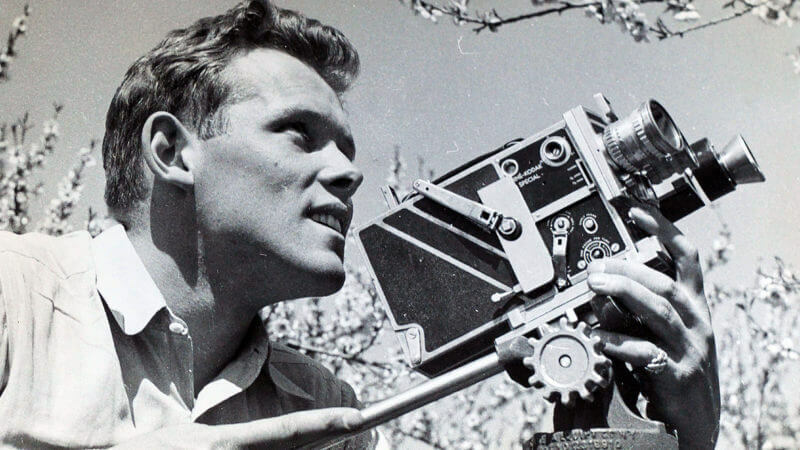 Photos visually chronicle our lives and help keep our most precious memories alive. Making sure they are organized is the key to a lifetime of enjoyment. 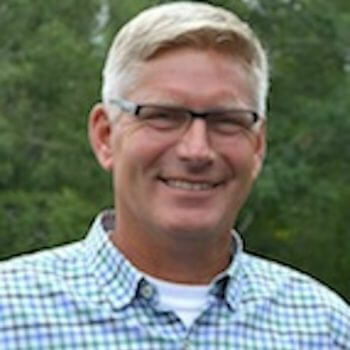 Learn how with the Organizing Guy at this workshop! Monday, 01/29/2018 6:00 - 9:00 p.m. The way to discover your purpose is to live a purpose-centered year. Rather than flowing along with chronic busyness (or boredom), learn how choosing to live for what matters most changes everything. 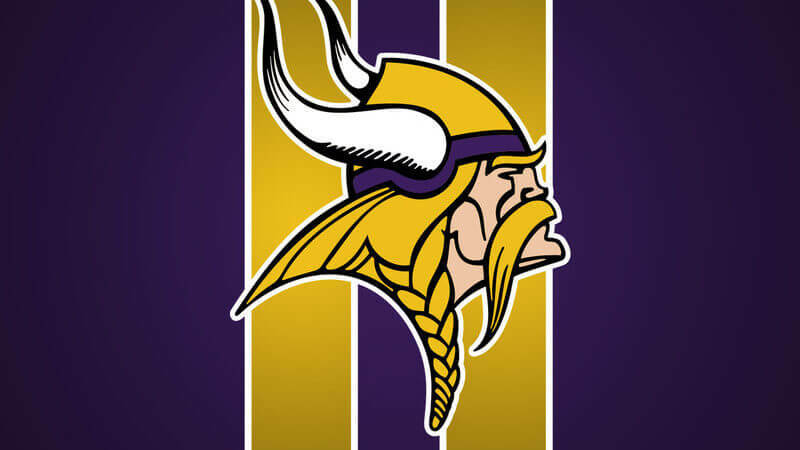 Friday, 01/26/2018 5:30 - 7:00 p.m.
We are kicking-off our Super Bowl activities with a Marsh-style (indoor-outdoor) Tailgating Party, complete with a fire pit! Wednesdays, 01/10/2018 4:30 - 5:30 p.m. 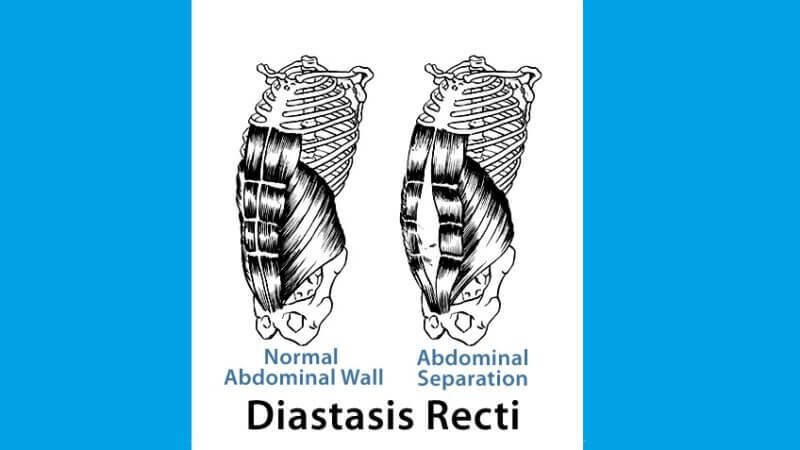 This 5-week program will strengthen the pelvic floor and core to reduce back pain, repair diastsis recti and lessen symptoms of incontinence. 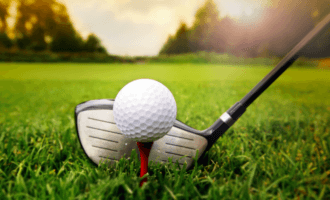 Saturday, 02/03/2018 10:30 - 11:30 a.m.
Now is the time to work on your golf game! Using the Pilates Reformer, Chair and GYROTONIC® equipment, you will learn to access your core which will help your golf game by improving your stability, rotation and balance. Adorned with bracelets and necklace glow sticks, our instructors will guide us through a fun, heart-pumping class featuring Cardio Dance, Nia and more! Thursdays, 01/11/2018 5:30 - 6:00 p.m.
Join Candy Swanson Thursdays, January 11 and 18, 5:30 – 6:00 p.m. and learn all the moves and modifications of GRIT, our 30-minute high intensity interval training class. Saturday, 01/06/2018 11:45 a.m. - 1:15 p.m.
New to yoga? Start here with beginner yoga sequences and welcoming instructors who will answer your questions on all the yoga basics. Participants will experience a release in their hips, knees, shoulders and backs as they move to the rhythm of their breath with little stopping. This class is open to all levels of movement; golfers and tennis players are encouraged to come! Tuesdays, 01/09/2018 5:30 - 6:00 p.m. 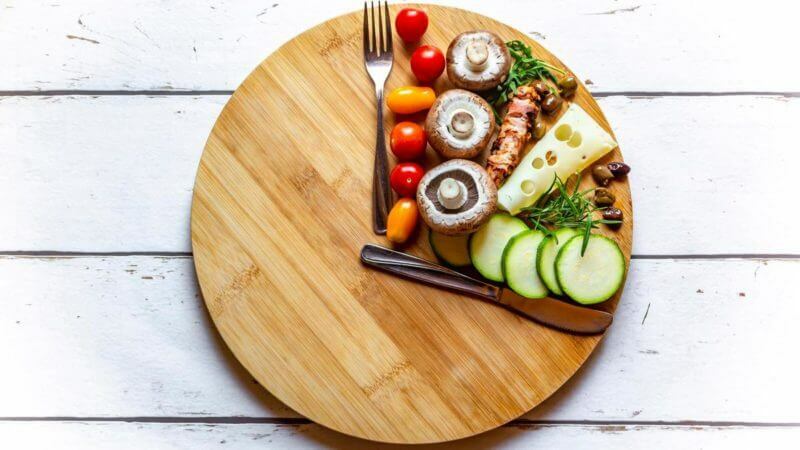 The Fuel for Success group nutrition program includes pre- and post-assessments and four group nutrition sessions with weight management tips you can apply immediately. Thursdays, 01/11/2018 11:30 a.m. - 12:30 p.m. This program focuses on exercises to strengthen the major muscle groups around the hips including quads, hamstrings, ab/adductors, psoas, glutes and more! HIIT (High Intensity Interval Training) workouts combined with nutrition can elicit serious results and health benefits. Learn the science behind the program, get your six-week guide and results log and schedule testing. 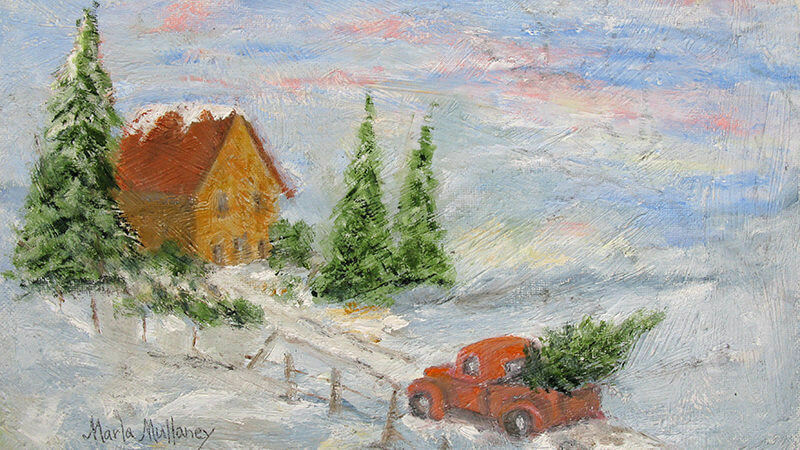 Marla Mullaney, member and local artist uses vibrant colors in her impressionistic oil paintings (notecards, originals & prints) and unique jewelry. 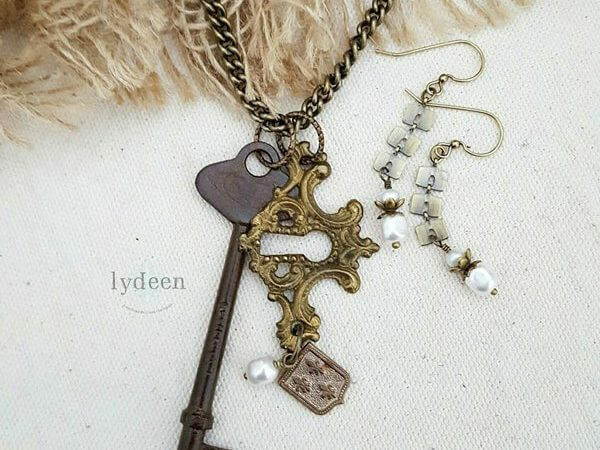 Tuesday, 12/19/2017 9:00 a.m. - 5:00 p.m.
Marcia is a jewelry and repurposed artist with winsome designs that express pure joy, fun and surprise. 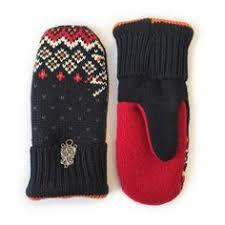 Thursday, 12/14/2017 9:00 a.m. - 5:00 p.m.
Stellar makes mittens that will warm your hands and your hearts … All upcycled wool sweaters with unique embellishments and hand stitching. Wednesday, 05/09/2018 9:00 a.m. - 5:00 p.m.
One of our most popular jewelry artists, Helen brings one-of-a kind and limited edition pieces we are sure you will love. Saturdays, 01/13/2018 11:45 a.m. - 1:15 p.m.
A welcoming entry point for anyone interested in the benefits of yoga, this 3-week series will introduce you to the fundamentals of yoga, emphasizing breathing, gentle stretch, poses and relaxation techniques. 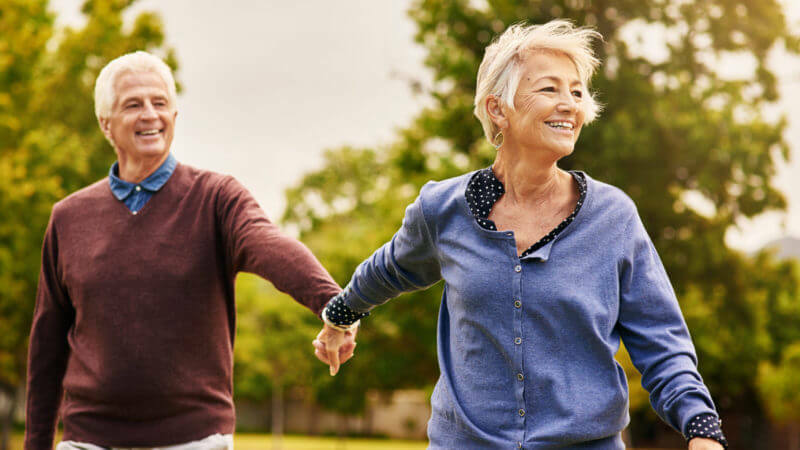 Join Physical Therapist Doug Merz and Exercise Physiologist Evan Strewler to learn safe exercises to curb and slowly reverse the effects of osteoporosis, and its precursor osteopenia, and help you build back your bone density. Richard reveals three powerful practices to help you unlock and live your unique purpose. Unlocking the power of purpose helps you feel more alive, be resilient in the midst of transitions and live your best life. 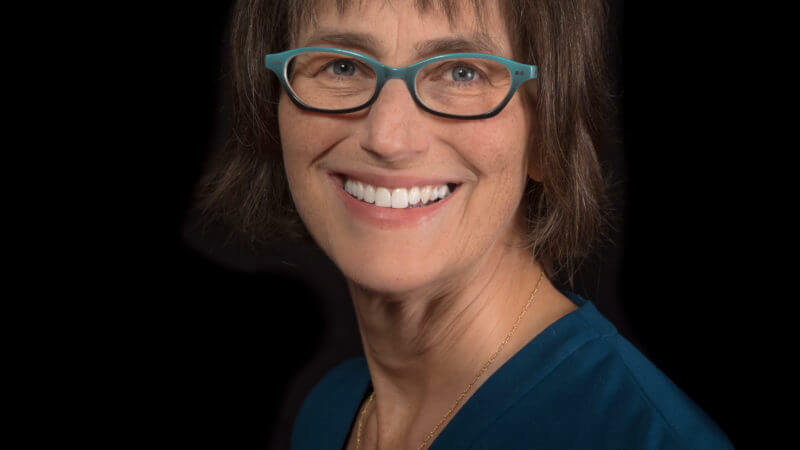 Join us to learn the latest insights into the significance of the gut-mind-body connection and what it can mean for mood, memory, energy, sleep and generalized sense of well-being. Join us for this enlightening discussion on how just 30 minutes of strength training a few times a week can change your metabolic rate and burn more calories at rest, laying the groundwork for long-term successful weight management. Tuesday, 12/26/2017 9:00 a.m. - 3:00 p.m. The need for blood donations never declines. Yet the number of donors drops during the holidays, so your donations are more important than ever. Tuesday, 02/12/2018 Noon & 6:00 p.m.
A personalized 6-week training and life-enhancing program for a happier, healthier, spirited life! 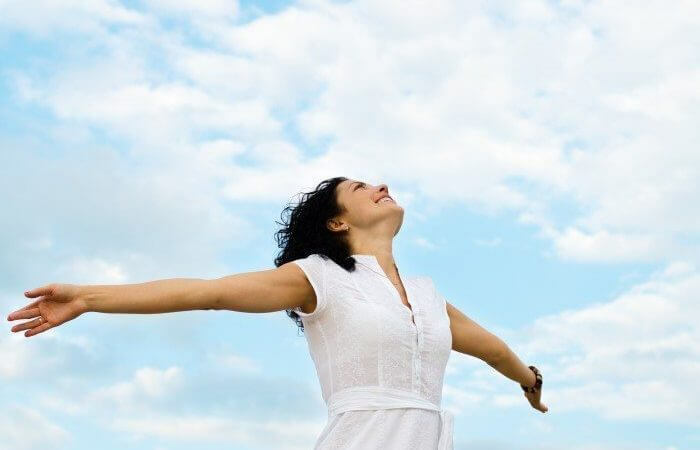 Discover our signature program, a proven solution for changing the way we feel about ourselves. 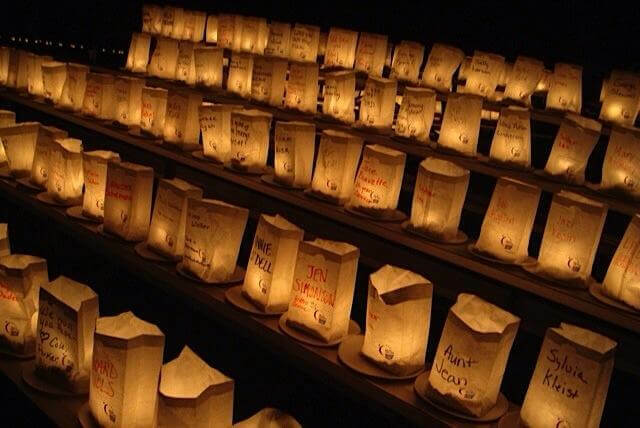 Consider a new tradition this year! Start 2018 relaxed, restored & revitalized with this special package. Friday, 01/12/2018 10:00 - 12:00 p.m. 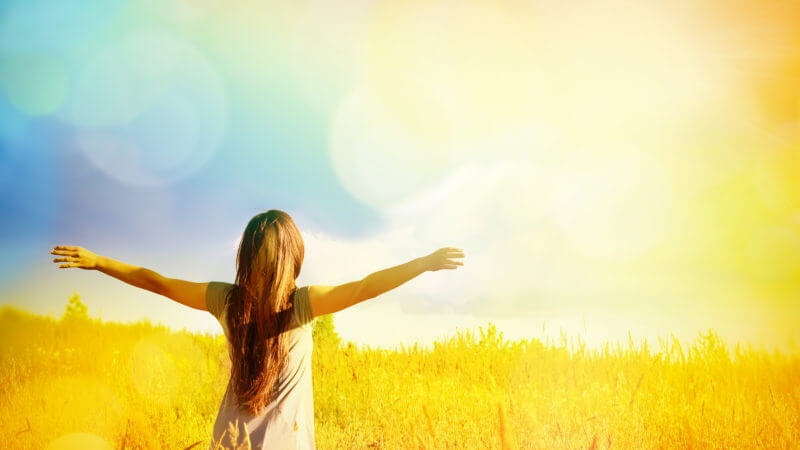 Learn how to experience a greater feeling of happiness and a lower degree of stress, opening the path to having the mental and physical energy for purposeful work. Tuesday, 12/05/2017 5:30 - 6:00 p.m. 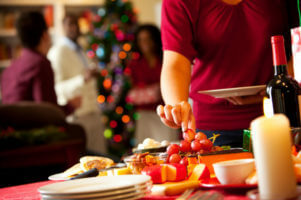 Learn practical strategies for getting through the holidays while managing your weight. Thursday, 12/21/2017 6:45 - 8:00 p.m.
Join Yoga Instructor Lauren Hallau for this restorative yoga practice… a time to rest, relax, stretch, pause and realign as we find ourselves enveloped in this high-energy holiday season. 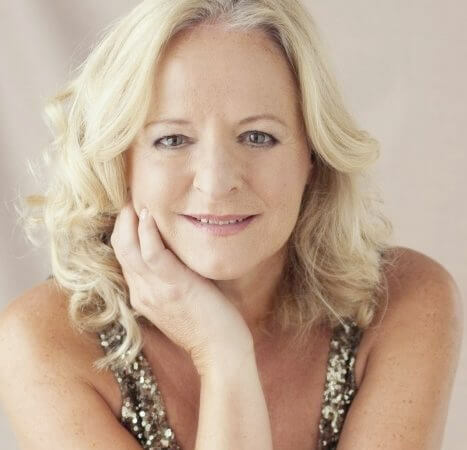 Take a moment to pause… Join Nicola Kapala for this special candlelight meditation in the therapy pool, featuring calming meditations and visualizations promoting connection and inner peace. Wednesday & Thursday, 12/13/2017 11:00 a.m. - 1:00 p.m. The closest thing to entertaining at home is coming to The Marsh. 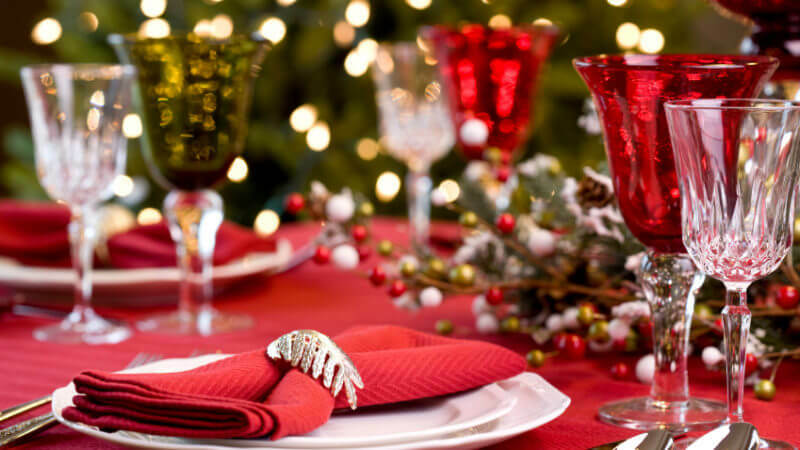 Invite your grandparents, aunts, uncles or loved ones to this festive and comfortable luncheon. Recognized for their “perfect fit pant,” Raffinalla offers timeless, functional cuts that are fit for everyday life. Come check out the cozy stretch velour loungewear that was featured on Good Morning America last month. Join us for our annual holiday shop opening. Be one of the first to see some of the new and exciting treasures that have arrived for everyone on your wish list. 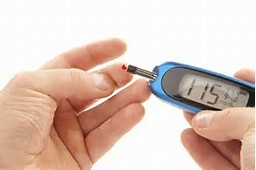 Stop by the Health Education office for a complimentary blood glucose test this month. Throughout November active duty military personnel and their families receive Spa Services at our member prices and a complimentary day pass to enjoy the entire Marsh facility any time. 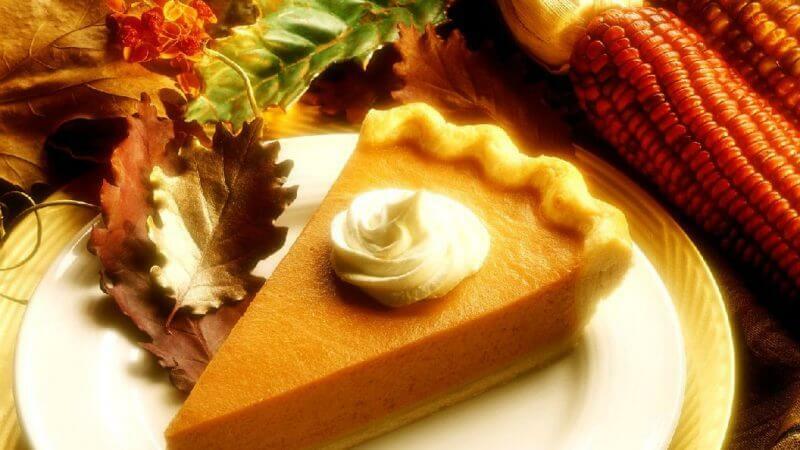 Pastry Chef Amanda Winnig will be making her popular Thanksgiving Pies again this year! You can place orders from November 6 through November 20 at noon. 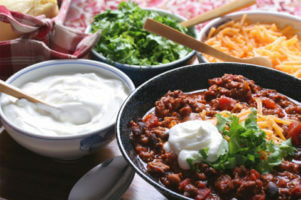 Thursday Nights Feature: Chili Bar! Thursdays, 11/02/2017 5:00 - 8:00 p.m.
Join us for our crowd-pleasing all you can eat Chili Bar every Thursday Night in November. Learn how to use Rollga, the latest technology in foam rolling. This body-shaped foam roller is designed to reach trigger points that are difficult to reach. 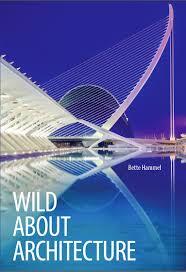 Monday, 11/20/2017 1:00 - 2:00 p.m.
Join member Bette Hammel, architectural pro, for reading of her book Wild about Architecture and hear stories of her adventures from interviewing architects to a rollicking story of six Minnesota blondes sailing the Adriatic to Dubrovnik. We’ve taken a fresh approach to our annual Kids Club Holiday Party this year. 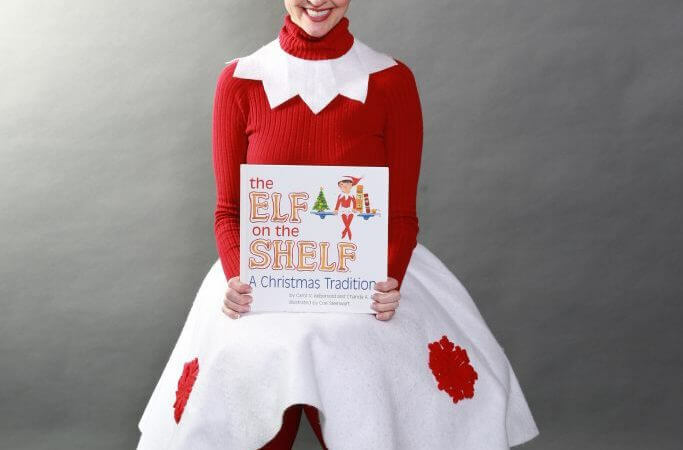 Sprinkles, Our Elf on the Shelf, will be leading story time and holiday carols. Saturday, 11/18/2017 12:30 - 1:45 p.m. Try a daily Shiatsu routine – it is easy to learn, can be practiced anywhere and can take as little as three minutes. 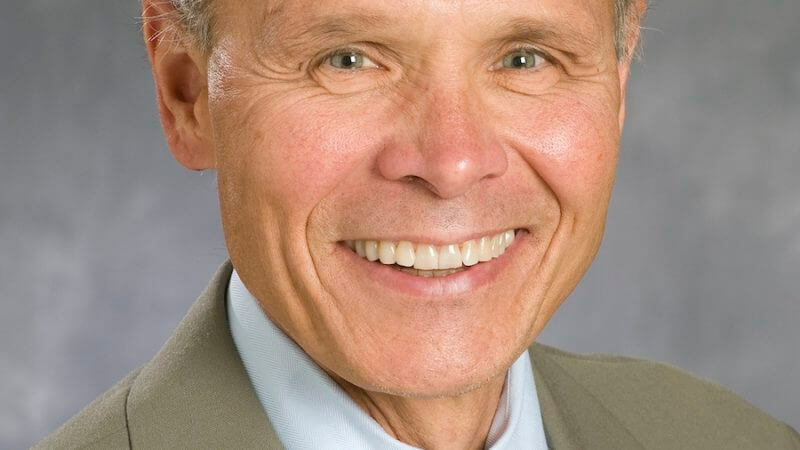 Join Physical Therapist Doug Merz for this important discussion on hip health, including common issues, medical advances and integrative approaches to hip health. Saturday, 12/02/2017 1:30 - 3:30 p.m. The hips are a powerhouse of strength and movement when kept mobile and healthy. Too much sitting shortens the hip flexors, which limits your range of motion and contributes to low back pain and bad posture. 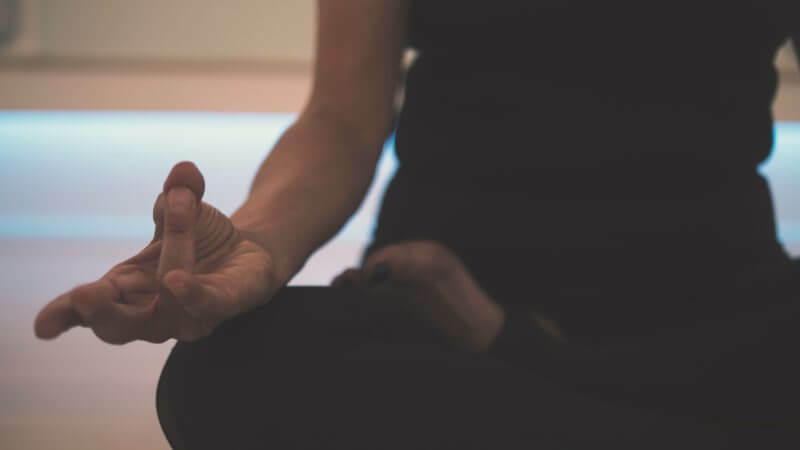 Explore a variety of mindfulness practices, such as Tai Chi, Qigong, meditation and movement classes that will help build our resiliency skills and enhance our overall sense of wellbeing. Mondays, 06/04/2018 7:00 - 9:00 p.m.
Tuesday, 12/05/2017 11:30 a.m. - 12:30 p.m. The cause of hip pain is as varied as the pain itself and the treatment options depend on your diagnosis. Maintaining the strength and mobility around your joints is the key to preserving your functional movement. Saturday, 11/11/2017 1:30 - 3:30 p.m. This workshop is designed to help us keep our back strong, flexible and healthy. Make The Marsh your gathering place this holiday weekend. We have plenty of turkey burning classes to keep those extra holiday calories at bay and several fun activities planned to keep the family entertained and engaged. Tuesday, 11/14/2017 6:45 - 9:15 p.m. Foot pain or arch trouble? Do you experience aches or stiffness in your feet, knees, hips, or lower back? This workshop will use ATM lessons to explore and enhance the use of your feet and their relationship to the rest of yourself. 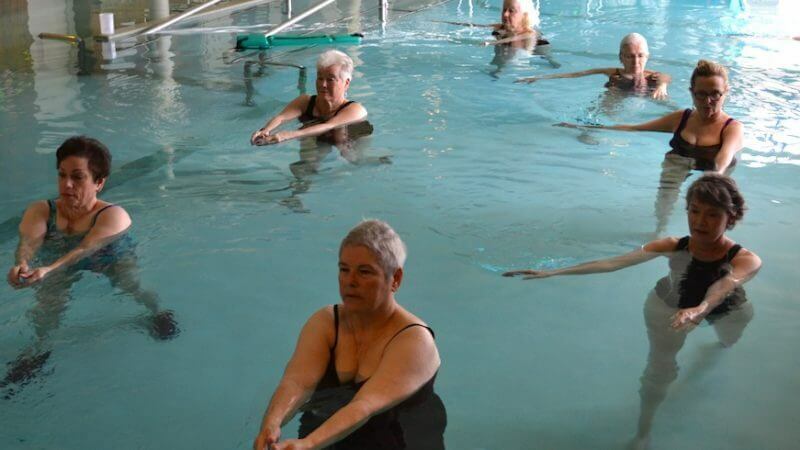 EASY is a combination of Ai Chi, Shiatsu and yoga practices performed in our beautiful 94-degree therapy pool. Saturday, 11/25/2017 10:30 - 11:15 a.m. This exciting new circuit training class challenges each participant to achieve their personal best. You will use aqua joggers in the pool for the run portion; and our rowing machines and bikes will be on the pool deck for quick transitions. 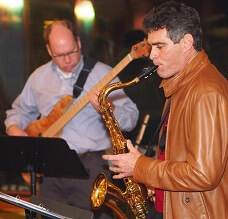 Wednesday, 03/27/2019 5:30 - 7:30 p.m.
5 piece band based in the Twin Cities that plays covers of classic & contemporary Soul, R&B, Blues, Jazz and more. 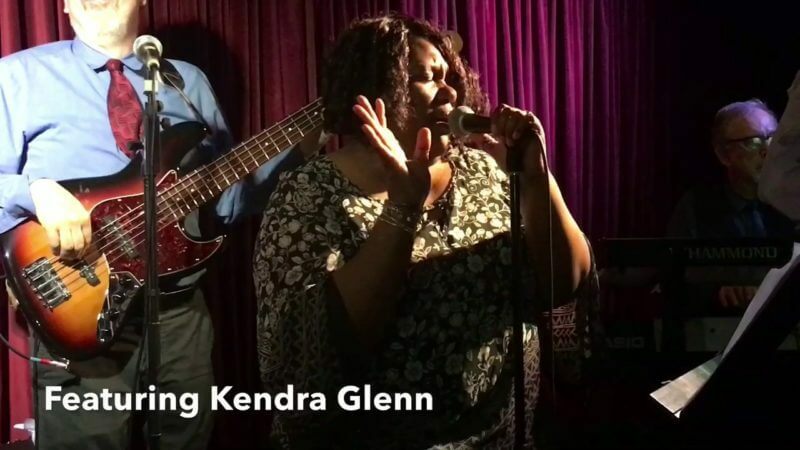 Featuring the incomparable Kendra Glenn. Tuesday, Thursday, Saturday, 01/08/2018 Tu, Th 6 - 6:30 p.m., Sa 8:30 - 9:00 a.m.
Join us for this class based on the scientifically proven benefits of high intensity interval training (HIIT). Pick your commitment and witness real results. Monday, Wednesday, Friday, 01/08/2018 6:15 - 6:45 a.m.
New! GRIT Challenges: Fitness assessments to measure strength and cardiovascular endurance includes Push Up Test, Plank Test and Beep test, Re-test six weeks later to see how you are progressing. New! GRIT Challenges – Fitness assessments to measure strength and cardiovascular endurance including Push Up Test, Plank Test and Beep test. Try now, retest in six weeks… see results! Join Stephanie Olson for this Small Group Training and trade the cobwebs for clarity this fall by incorporating interval training to your walks. 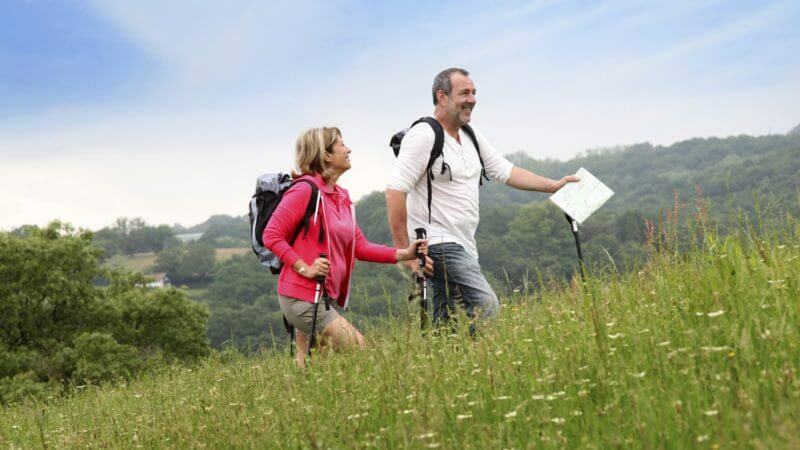 Nordic Walking poles will be provided, feel the difference in strength and stability the walking poles add to each step! 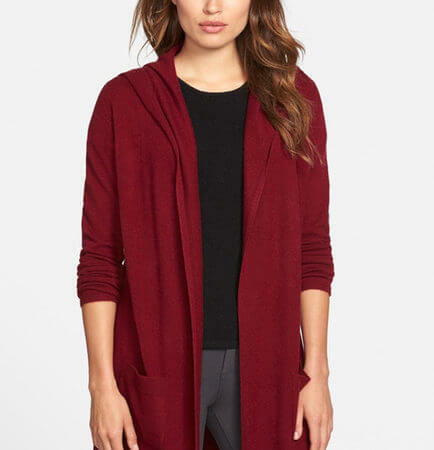 Fall selection of easy care/packable soft knit tops with assortment of color and design to fit your fashion needs. Wednesday, 10/04/2017 9:00 a.m. - 5:00 p.m. Trend forward unique handcrafted jewelry. Using the finest quality of semi-precious stones, pearls, artisan beads. 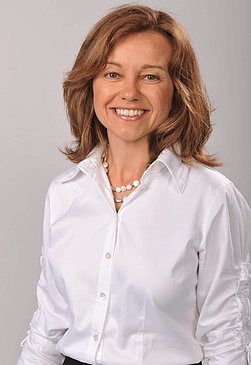 Join Dr. Elizabeth Klodas for an enlightening discussion of how you can prevent diabetes by understanding your risk, your blood profile numbers and lifestyle choices that matter. 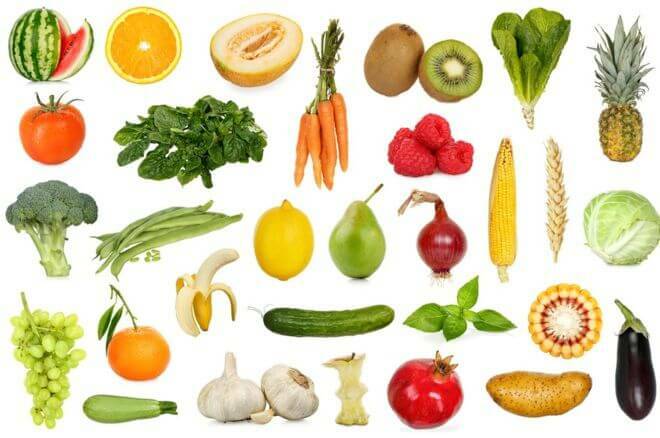 Learn useful information about the power of food as medicine in treating diabetes and heart disease, which are often linked. Friday, 10/13/2017 9:15 - 10:30 a.m. If you are curious about our Pilates Matwork classes – or even Pilates reformer sessions, this program is for you! Taught by instructor Kari Oxford, the fundamentals workshop will introduce you to the principles and movement patterns of a Classic Mat class. Tuesday, 10/10/2017 8:30 - 9:30 a.m. This fun and effective pool workshop is specifically designed for our water-loving members who travel to warmer climates each winter. 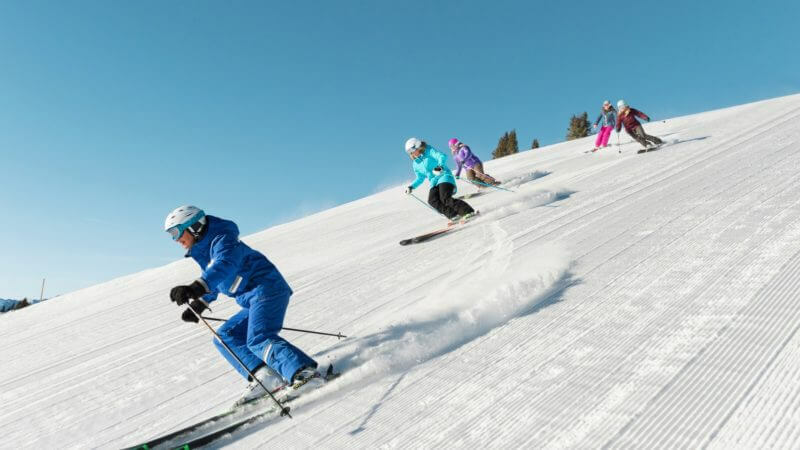 Tuesdays and Thursdays, 11/28/2017 2:00 p.m., 6:00 p.m. and 11:00 a.m.
Feel great and have fun from day one on the slopes this season by conditioning your body for downhill skiing pre-season. Join your friends and neighbors to discover our signature Biometrics program. Based in research and years of scientific results, physicians approve and refer patients to this program. Our Biometrics graduates revel in the changes they have noticed. Ladies First! 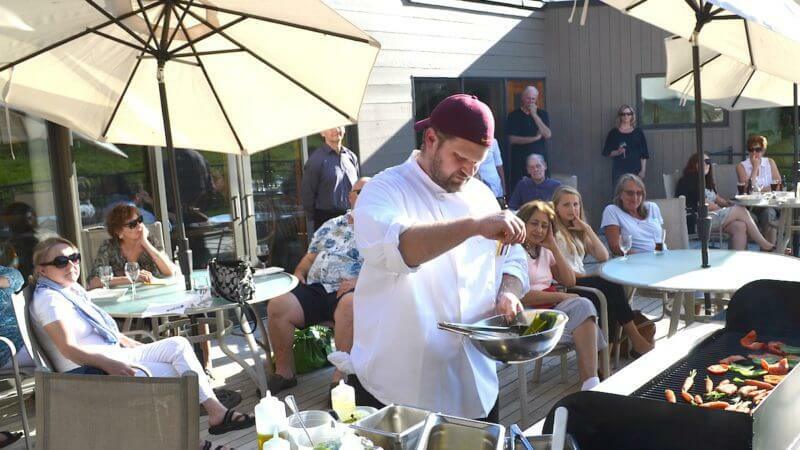 – An Evening of Wine, Food & Fun! Thursday, 10/26/2017 5:00 - 7:00 p.m. Call your gal pals for an experiential night of fun, fashions and wine! 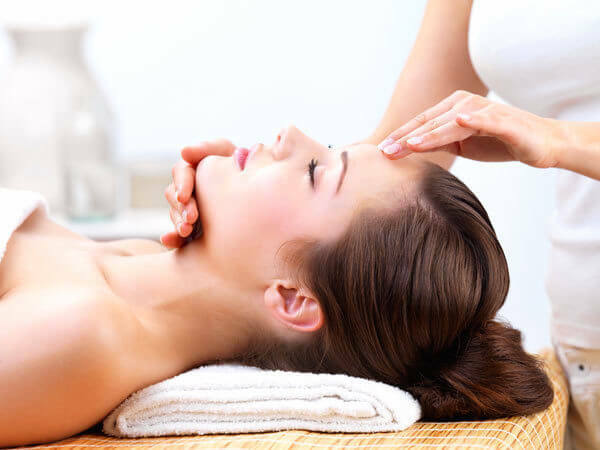 Make an appointment for a Customized or Ultimate Facial and let one of our highly experienced estheticians recommend the products suitable for your skin. 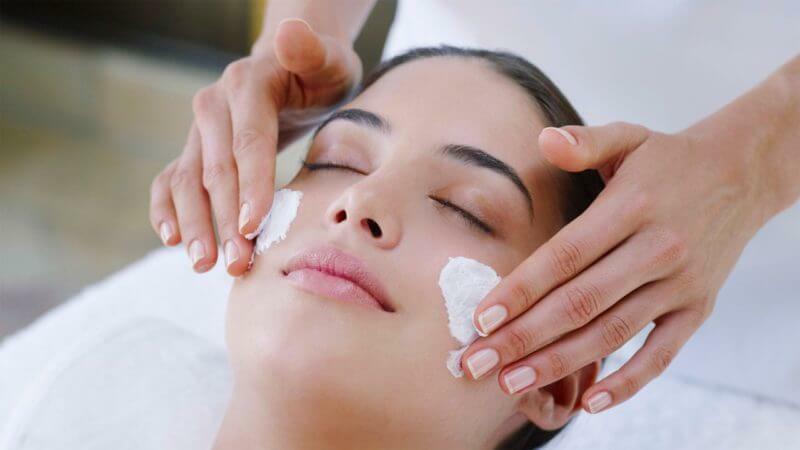 Special offer: Buy 2 get 1 free skin care product (of equal or lessor value) with any facial booked in October. 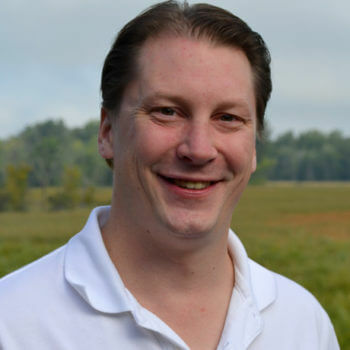 Physical Therapist Doug Merz and The Marsh wellness professionals will discuss the therapies most beneficial to back pain: exercise, massage, yoga and acupuncture. Tuesdays, 11/07/2017 5:30 - 6:00 p.m. The combination of high-intensity exercise and healthy eating has a powerful effect not only for weight loss, but also for lowering blood sugar. 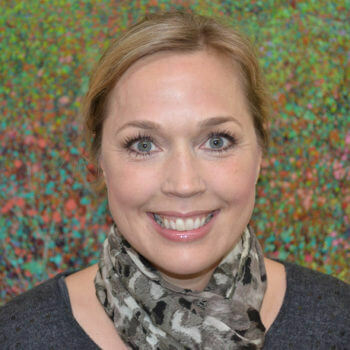 Join Registered Dietitian Kathryn Hernke for this dynamic program that includes group nutrition sessions and support, as well as plenty of time for Q&A. 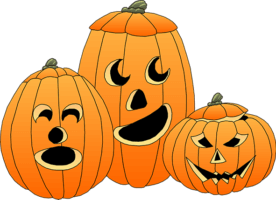 Friday, 10/27/2017 5:00 - 7:30 p.m.
Halloween crafts, games, spooky stories and trick-or-treating throughout The Marsh are featured at this year’s Kids Club Halloween Party. 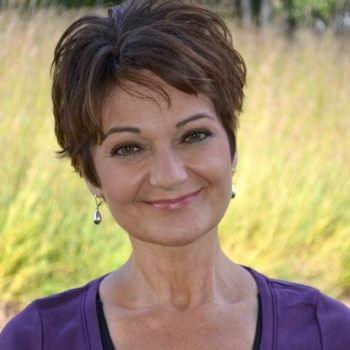 Monday, 10/30/2017 7:00 - 9:00 p.m.
Join Liz Anema for this special two-hour Mindfulness Based Living workshop designed to cultivate resiliency tools and a non-judgmental awareness to more effectively cope and navigate the changes in your life. Wednesday, 10/11/2017 5:30 - 6:30 p.m.
We are honoring and celebrating all the people in our lives that have been touched by breast cancer while raising money for Gilda’s Club, our Minnetonka community cancer support center. Fridays, 10/06/2017 1:00 - 2:00 p.m.
Pilates is a gentle restorative exercise regimen perfectly suited for women as they rebuild their bodies after surgery and chemotherapy treatments. Wednesday, 10/11/2017 1:00 - 2:00 p.m. Many factors impact our balance and stability. 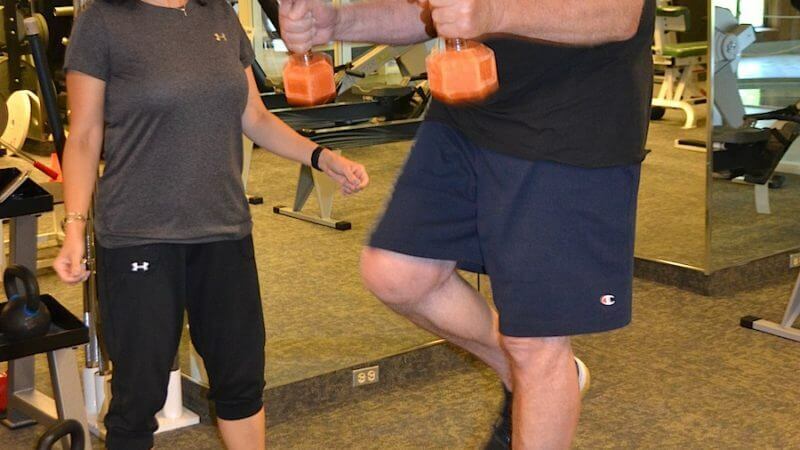 Physical Therapists Doug Merz and Jessica Horne present the neurological and muscular systems involved in maintaining and improving balance, and discuss exercise and lifestyle choices that impact our stability. Fridays, 10/06/2017 10:30 - 11:15 a.m.
With its integrative approach that strengthens the body while focusing on the mind, tai chi is especially useful for improving balance and preventing falls. 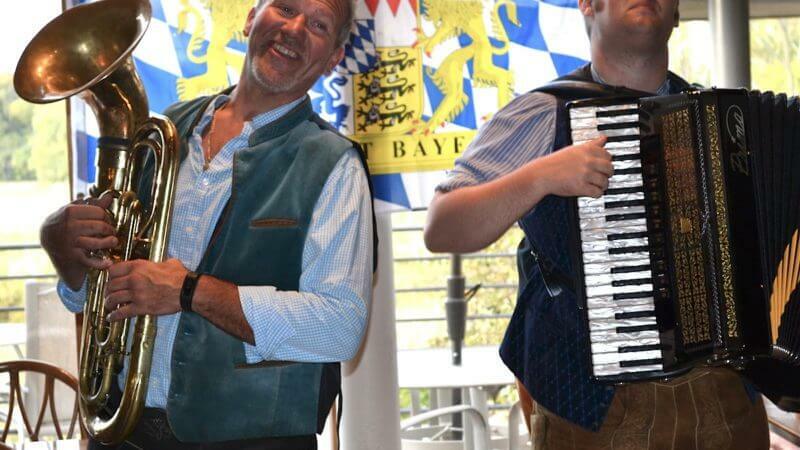 Wednesday, 10/18/2017 5:00 - 8:00 p.m.
Come enjoy a delicious Oktoberfest Buffet and the band Alpensterne perform some of Germany’s most loved folk songs. 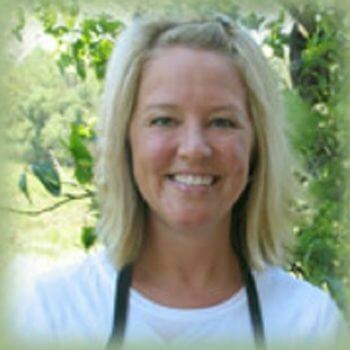 Tuesday, 09/26/2017 6:00 - 7:00 p.m.
Kathryn will dispel the myths behind some fad diets and boil down the science of healthy eating. Tuesdays, 10/03/2017 4:30 - 5:20 p.m. 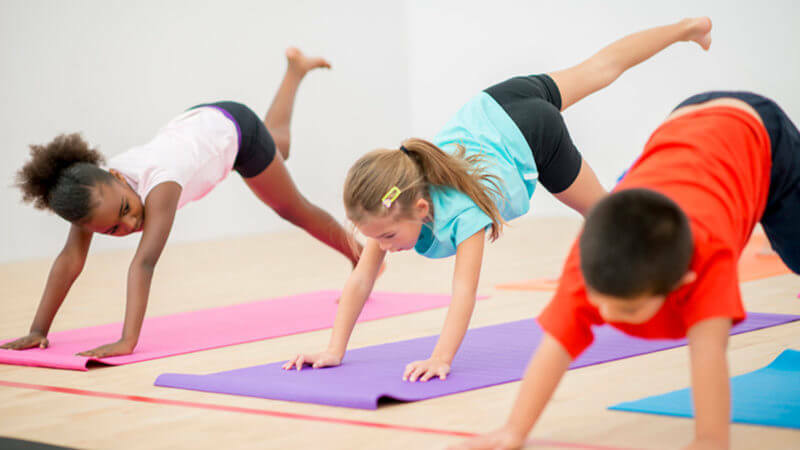 In Karma Kids Yoga, children are encouraged to “play” yoga and experience how their breath and body move together in a fun-filled way! Pure Amici is a lifestyle brand of sumptuous clothing that combines fashion and function to meet the demanding needs of today’s modern woman. From fitness to fun, Jofit is a clothing and accessories company that is designed to fit your life. It’s the next best thing to a personal chef! Order from our Meals-to-Go menu and pick up a delicious dinner that you can enjoy in the privacy of your home. Tuesday, 09/12/2017 5:00 - 8:00 p.m.
Sip sangria, share tapas, and settle in for an evening of conversation with friends. 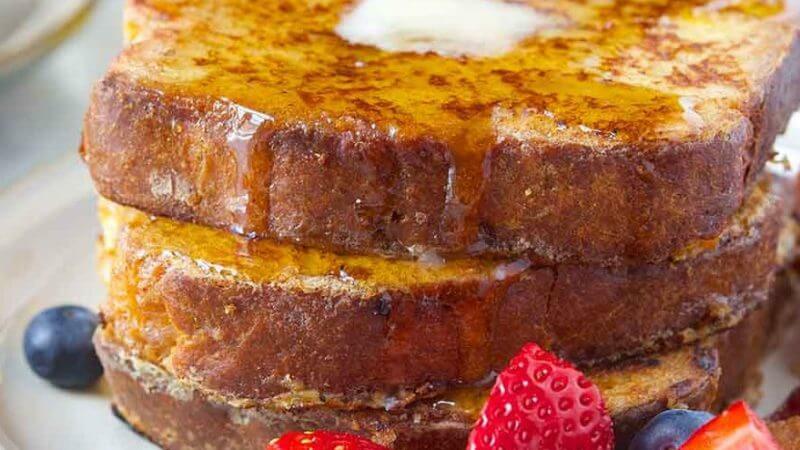 Sundays, 09/01/2017 9:00 a.m. - 2:00 p.m.
Our Sunday breakfast menu will includes new items such as Scrambled Egg Enchiladas with Cheese Sauce, Breakfast Pizzas, Blueberry French Toast Bake and a variety of sweet and savory croissants filled with everything from bacon and blue cheese to strawberry cream cheese. Wednesdays, 09/01/2017 6:15 - 6:45 a.m.
Our new Cardio Core class is an invigorating and FUN lap pool class that challenges your cardio fitness while dynamically strengthening the core using the unique properties of water. 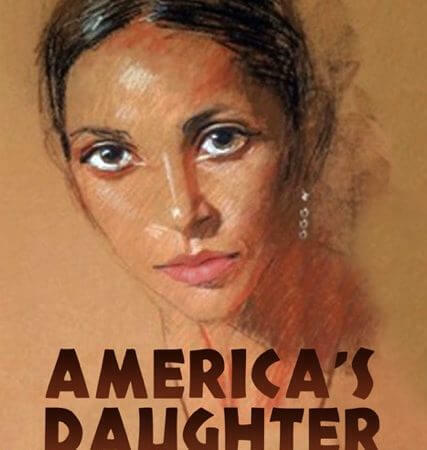 Come and hear a synopsis of America’s Daughter, Maria Nhambu’s second book in her Dancing Soul Trilogy. 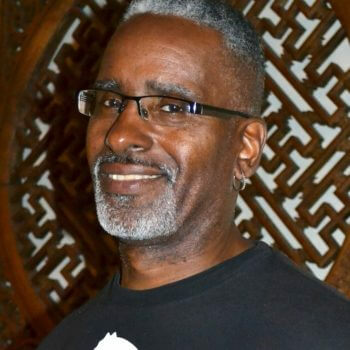 Wednesday, 09/27/2017 5:30 - 6:30 p.m.
Join Aerobics with Soul creator, and longtime friend of The Marsh Maria Nhambu for this special class, combining the best of structured aerobic exercise with the magic of African dance. Friday, 09/15/2017 9:00 – 11:00 a.m.
Wednesdays, 05/15/2019 12:00 - 1:00 p.m. 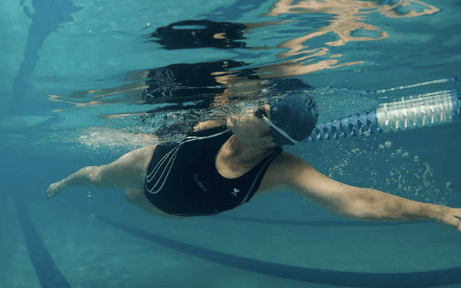 Led by certified instructor Diane Pattridge, The Marsh’s adult learn-to-swim program will help you become comfortable in the water and teach you the basics of the front crawl and back stroke in this 3-week series. Friday, 09/29/2017 1:00 - 2:00 p.m. This welcoming class provides an introduction to Yoga, Tai Chi and Meditation. Undo the harmful effects the summer sun had on our skin with this special Fall Skincare Refresher Package featuring three of our favorite skincare treatments: The Ultrasonic Facial, Body Polish and Wrap. Tuesdays, Wednesdays, Thursdays , 09/06/2017 7:30 a.m., 8:00 a.m. and 5:30 p.m.
Get motivated, get fit and have fun by training in groups of 3-4 with our Exercise Specialists! 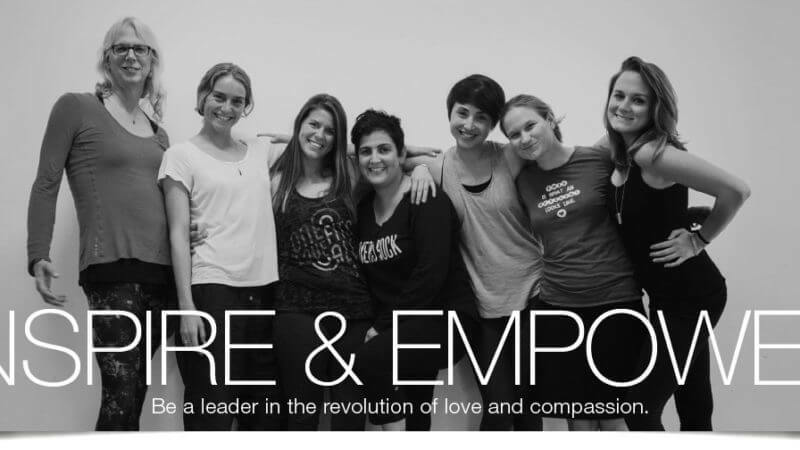 Join Nicola Kapala for this interactive class that invites us to play with others to create connection in community as well as a deeper awareness of one’s self. 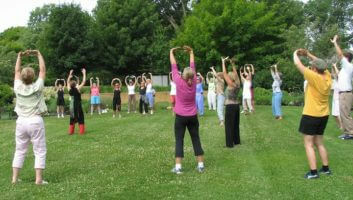 Tai Chi is an accessible program with many benefits. You don’t have to worry about physical limitations or doing a “perfect form.” Try it! 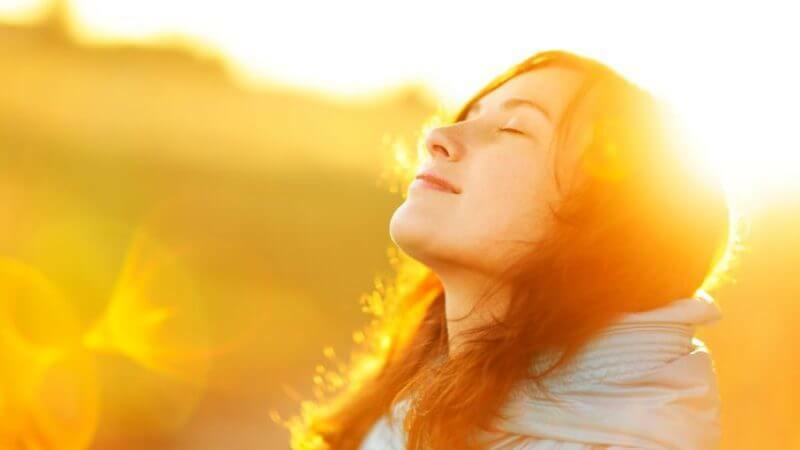 You will feel more confident, calm and clear headed. Thursdays, 10/05/2017 11:30 a.m. - 12:30 p.m. If you are someone who is experiencing pain and/or discomfort in one or both of your knees, you may benefit from this special small group series in the Therapy Pool. Tuesday, 09/26/2017 7:00 - 8:15 p.m. 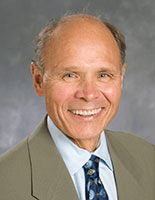 Physical Therapist Doug Merz will address integrative approaches for addressing knee issues. 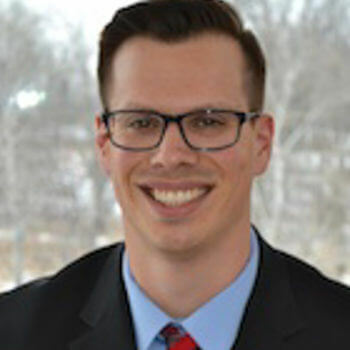 In addition, Evan Strewler, MS will discuss the role of functional training and stretching for preventative and rehabilitative knee health. 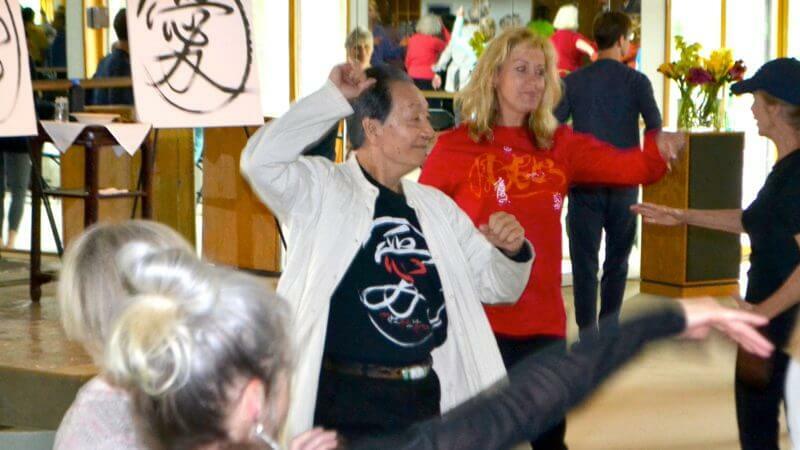 Enrich your Tai Chi experience through the inspiring teachings of Chungliang Al Huang. 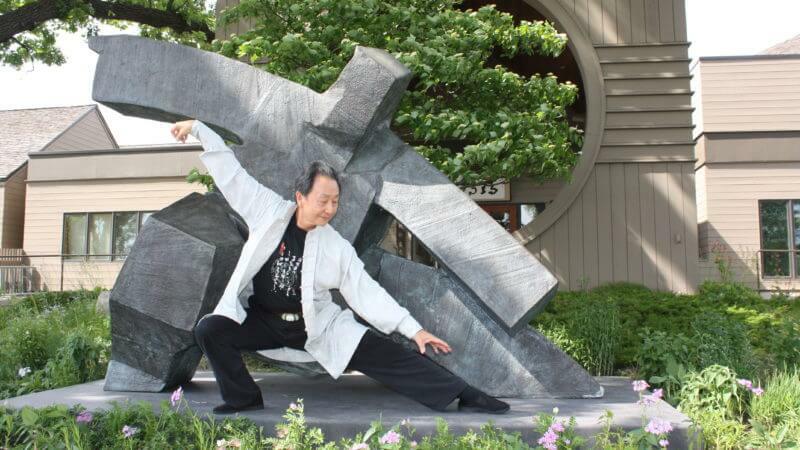 Discover the essence of Tai Chi and the beauty of improvisation. Dealing with acute pain or have a prescription for Physical Therapy? 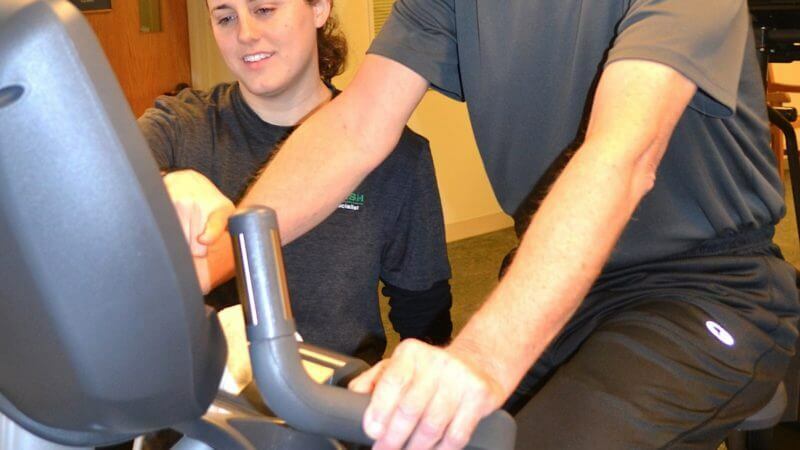 Your starting point is a Rehabilitation Program Consultation with Merz Physical Therapy. 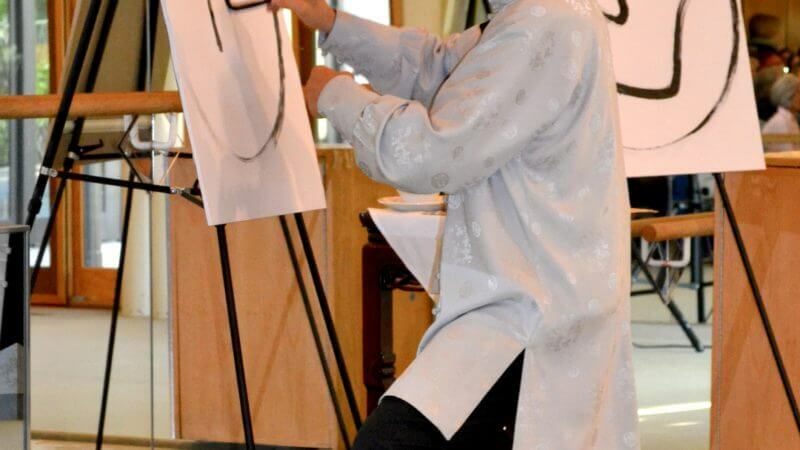 Join us for this interactive workshop filled with storytelling, movement, music and art … If you have ever attended one of Chungliang’s presentations you know that each one is unique, joyful, inspirational, uplifting and fun for all. Wednesdays, 09/06/2017 2:00 - 3:00 p.m.
You don’t have to live with a “mummy tummy” or cross your legs every time you cough, laugh or sneeze. You can improve your quality of life by strengthening your core and pelvic floor. Tuesday, 09/12/2017 6:45 - 9:15 p.m. 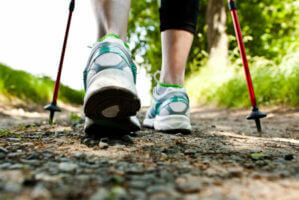 Explore, deconstruct, and relearn the basics of walking. Through experiential movement lessons we’ll nourish the neurological “roots” of walking by integrating our axis (spine, pelvis, and head) with our arms and legs, so we can walk through life with confidence and pleasure. Tuesday, 08/22/2017 5:30 - 9 p.m. 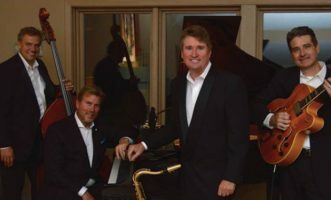 Gather your favorite women together for a unique and inspiring evening out to benefit women’s heart health research at the Minneapolis Heart Institute Foundation. Wednesday, 08/09/2017 1:00 - 2:15 p.m. 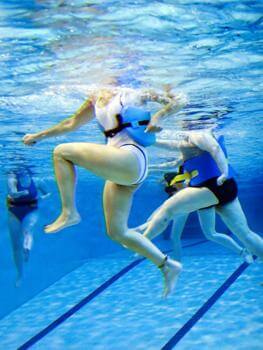 If you have joint pain, the therapy pool is an optimal environment! Learn gait re-education, effective ways to reduce pain and stiffness, and increase strength and range of motion. 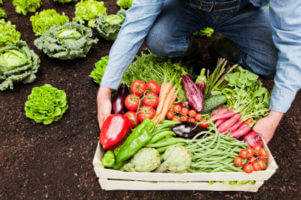 Registered Dietitian Kathryn Hernke will share the benefits of using seasonal, locally-grown produce for menu preparation, food preservation, as well as well as some of our favorite recipes. Tuesday - Thursday, 08/15/2017 1:00 - 3:00 p.m. 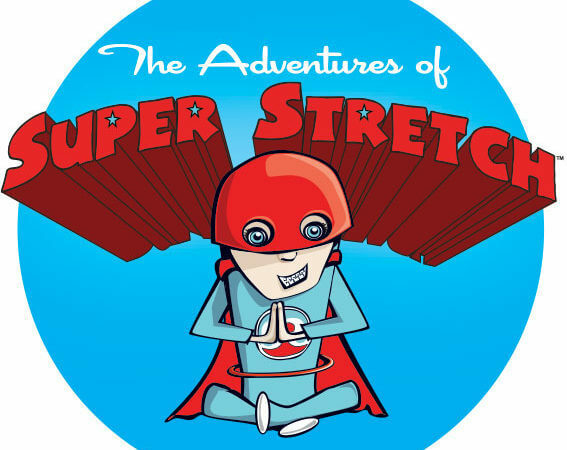 The Adventures of Super Stretch is a yoga fitness class that teaches kids (ages 6-12) the joy of physical activity and wellness. 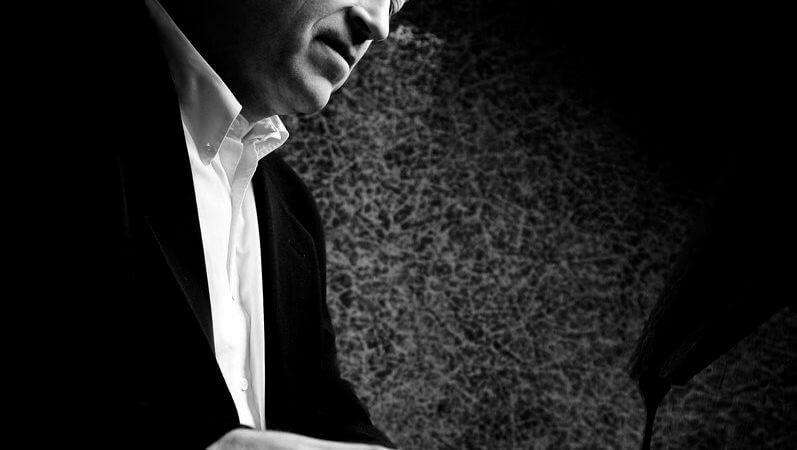 Wednesday, 04/10/2019 5:30 - 7:30 p.m.
Benny Weinbeck is a successful performer, producer, composer, arranger and bandleader. 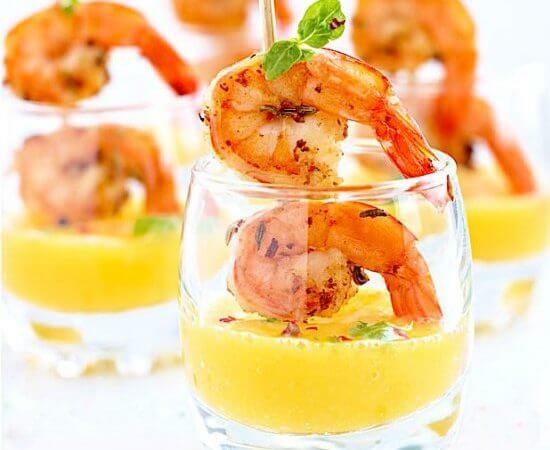 Come and savor these small Spanish savory dishes served with Bodega de San Antonio Sangria. Thursdays, 09/01/2017 5:00 - 9:00 p.m. 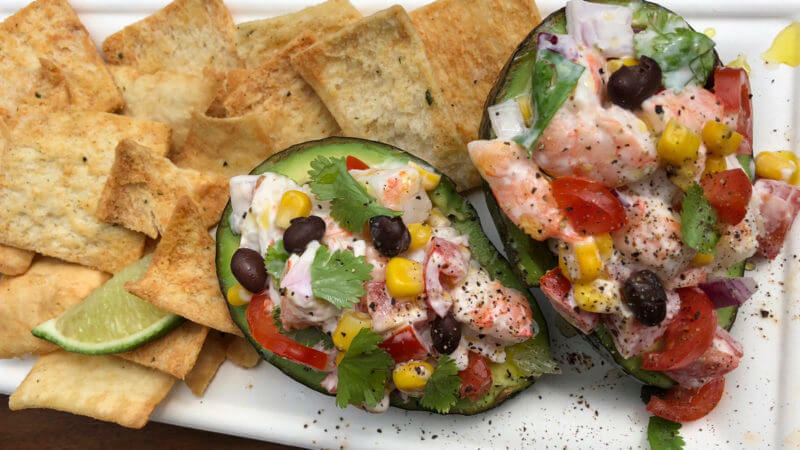 Enjoy fresh catch of the day-inspired appetizers and entree specials along with a half-priced bottle of wine perfectly paired to the menu. 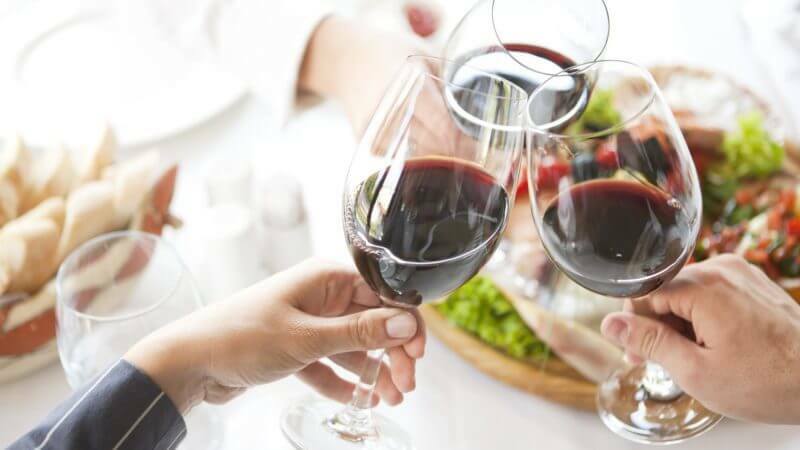 Tuesdays, 08/22/2017 5:00 - 7:00 p.m.
Come and sample the wide range of tastes, from the Pinot Grigio made by the Cavazza family vineyards in Italy to the Montinore Pinot Noir from the certified organic vineyard in Oregon. 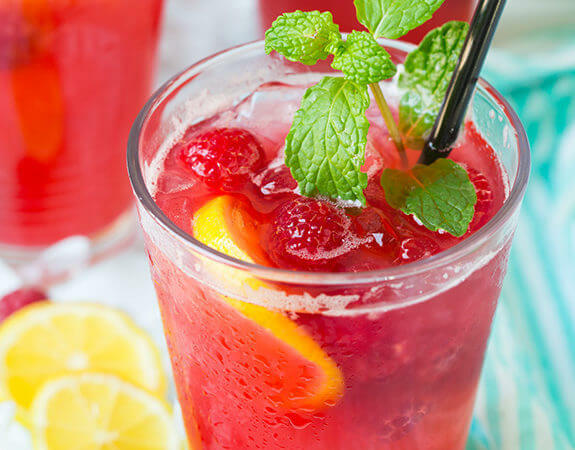 Join Registered Dietitian Kathryn Hernke for this month’s theme, Summer Beverages. 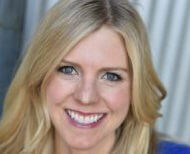 Kathryn will share new, easy beverage ideas and recipes to keep us cool, refreshed and nourished. Wednesday & Saturday, 12/12/2018 6:30 p.m. & 9:30 a.m.
By exploring mindfulness through meditation, hatha yoga and gentle movement, you can feel happier, reduce stress, and unleash your personal creativity. Pedicures with fun, fresh seasonal colors finish off every outfit. Whether you change your polish weekly, or every few weeks, we have a service that fits with your schedule and lifestyle. Let us help you get a beautiful sun-kissed look without exposing your skin to the sun’s harmful rays. We are starting this 18-mile bike ride at the Hopkins Depot and riding to Stone Arch Bridge and back with a lunch break. 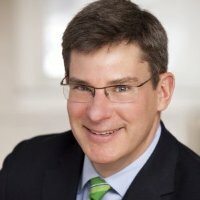 Monday, 08/21/2017 7:00 - 9:00 p.m.
Come and learn simple, practical mindfulness techniques that can help you revitalize for the school year ahead and achieve a more balanced life year-round. 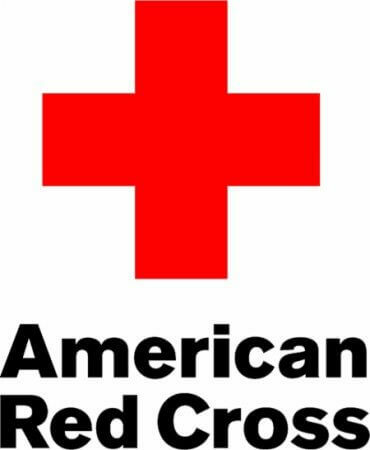 Sunday, 07/30/2017 9:00 a.m. - 5:00 p.m.
Caregivers give and give. Today we invite you to pause, fill your cup, take care of yourself… for your own health but also to strengthen you with practical information and a supportive community so you may continue to care for your loved one. Wednesday, 07/26/2017 1:30 - 2:15 p.m. Looking for another option to help reduce stress, tension, anxiety and depression? Try a daily Shiatsu routine – it is easy to learn and can be practiced anywhere. Tuesdays, Wednesdays, Thursdays and Friday, 07/18/2017 7:30 a.m., 8:00 a.m. and 5:30 p.m. There is nothing more fun than exercising with a friend. Multiply that by three and that is how much fun you will have in these Small Group Training sessions. Saturday, 07/22/2017 3:00 - 4:30 p.m. Families rule the pool on this special family friendly afternoon in the Lap Pool! We invite everyone with an interest in promoting healthy body image to join us for this exciting training opportunity. Saturday, 07/08/2017 1:30 - 3:30 p.m. 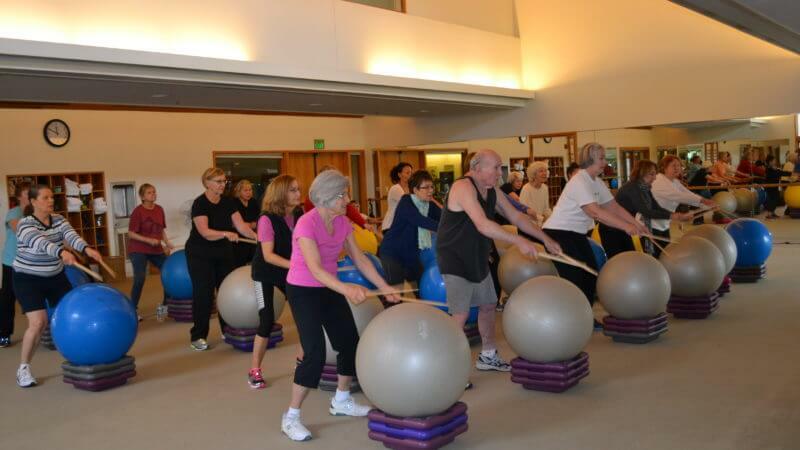 In this workshop we will use balls and rolling techniques to soften and smooth out adhesions in and around the hips, preparing them for the longer held stretches needed to release the layers and depth of muscle and tissue supporting them. 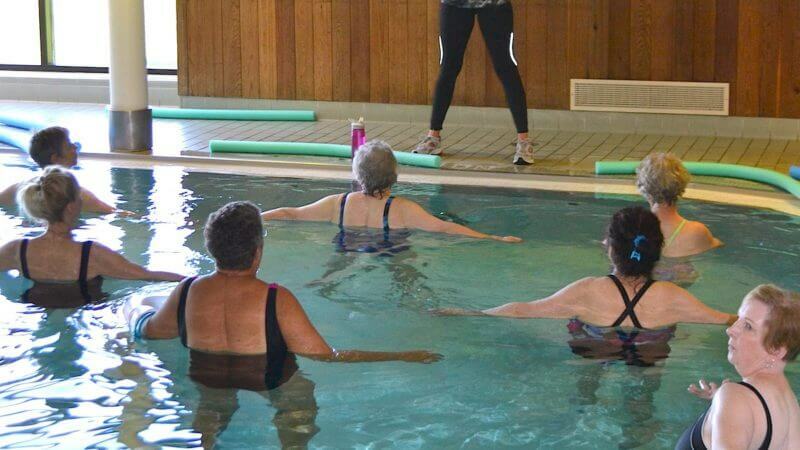 Thursday, 07/20/2017 11:30 a.m. - 12:30 p.m.
Come join Aquatic Exercise Specialist and Arthritis Foundation instructor Mary LeSourd for this gentle one-hour workshop, experience and learn the tools necessary for increasing range of motion, muscle tone and strength, and stamina. 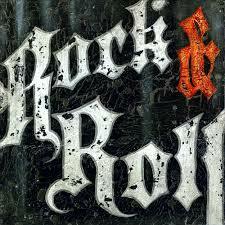 Tim Mortenson’s Rock-n-Roll Review – Burgers, Brats, Beer and Guacamole Too! 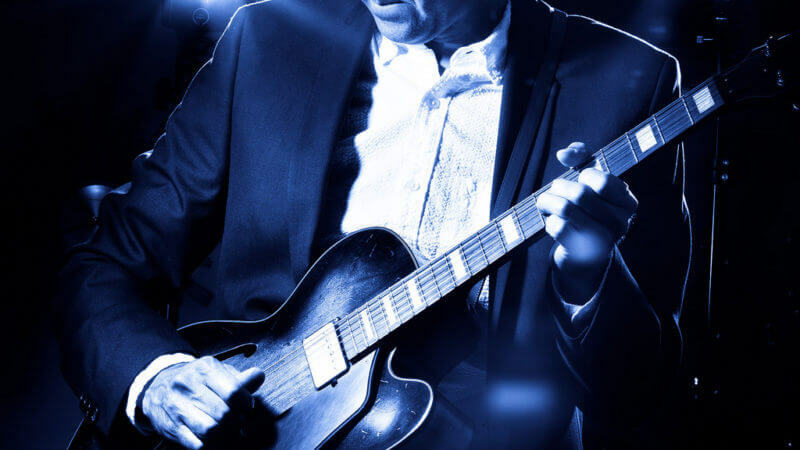 Our Operations Director, Tim Mortenson will be hosting this very special evening of music, food and fun. Grab a friend and join us! Mondays, Wednesdays & Fridays, 09/18/2017 6:15 a.m., 5:30 p.m. and 8:00 a.m. 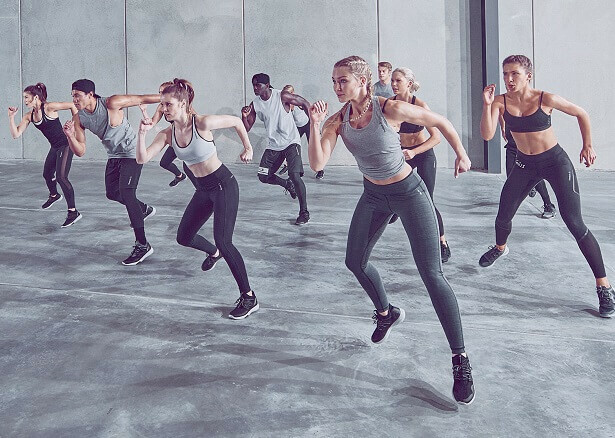 This popular HIIT group fitness class combines powerful music and inspirational coaches to help you get fit fast. 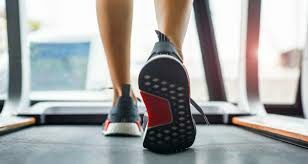 Restoring your walking gait, full range of motion and pain-free movement may take a little more work, but it is definitely in the realm of possibility with the Recover Now! program. One-on-one Gyrotonic training is a full body, abdominal intensive exercise method done on highly specialized equipment to safely balance, rejuvenate and strengthen your body. Saturday, 07/29/2017 10:30 - 11:30 a.m.
Stretching has become a key element in both injury prevention and peak performance. 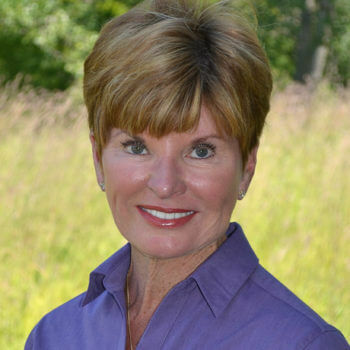 Please join Pilates Instructor Cheri Sabol to learn how you can improve your game. 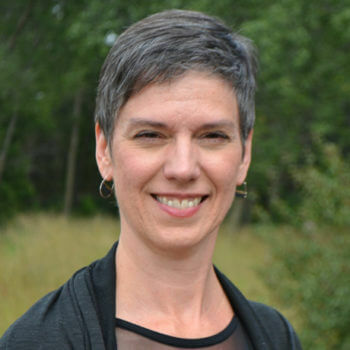 Wednesday, 07/12/2017 1:00 - 2:30 p.m.
Pilates Instructor Laura Tellier will lead this dynamic, experiential workshop designed to address pelvic core health and incontinence. Come and learn about them. Join swim instructor Diane Pattridge for a fresh water swim at Shady Oak Beach. 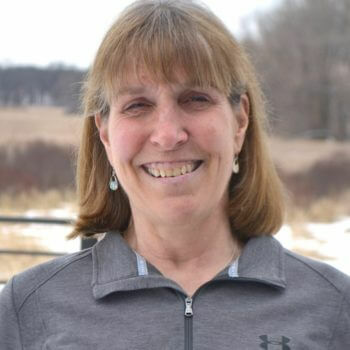 Diane will share tips on “open water sighting”, how to swim comfortably in open lake water, and training for a triathlon. 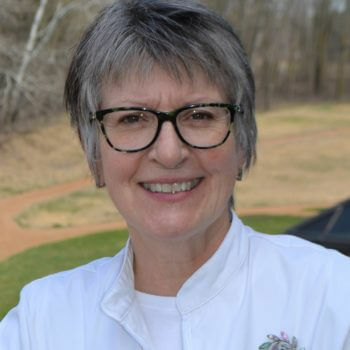 Thursday, 06/22/2017 6:00 - 7:30 p.m.
Join us and learn how Chef Lisa uses a variety of herbs and aromatics to create flavor while Kathryn discusses the benefits of using these ingredients. We welcome all in the community to join us for a very special Let Your Yoga Dance class with a visiting Kripalu Yoga Instructor! 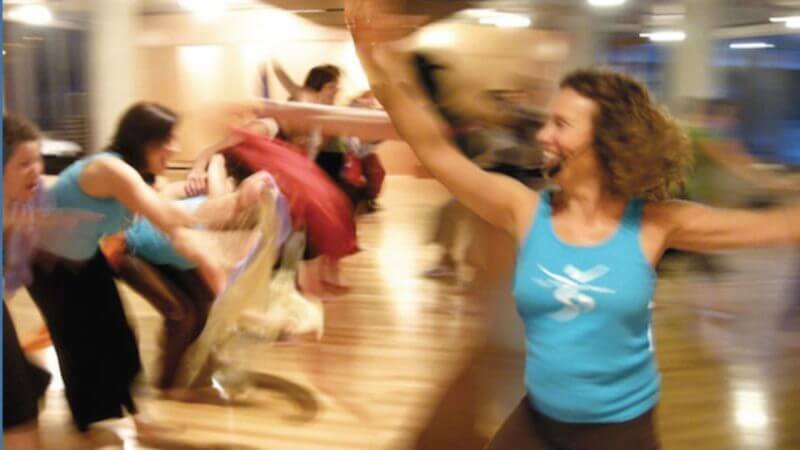 Let Your Yoga Dance is a moving celebration of spirit, where joy and fun meet deep and sacred. Saturday, 06/10/2017 1:30 - 3:30 p.m.
Join us to learn rolling techniques for deeper myofascial release, working your connected web, and feel better! This class will be structured around spinal motion and flexibility. Thursday, 06/08/2017 7:00 - 7:30 a.m. 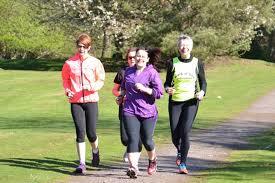 Joins us for an Information Session about this motivational and fun running group. 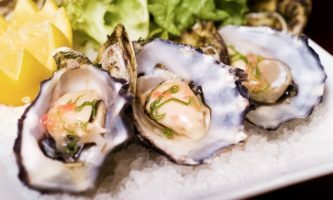 Thursdays, 06/01/2017 5:00 - 9:00 p.m.
Join us Thursday nights, 5:00 – 9:00 p.m. for a fun evening of seafood specials and half-priced wine. Friday, 06/09/2017 11:00 a.m. - 1:00 p.m.
Mondays, 06/12/2017 1:00 - 2:00 p.m.
Join our Marsh program specialists for this integrative series. Explore and experience tai chi to music, warm water movement, and studio exercises for balance, coordination, and overall mobility. Tuesdays and Thursdays, 06/13/2017 7:00 - 7:45 a.m. Here is your chance to join a fun run and train with people at your level. Through this 8 week program, Exercise Specialist and Wellness Coach Brenda Steger will get you from your couch to your first 5K! 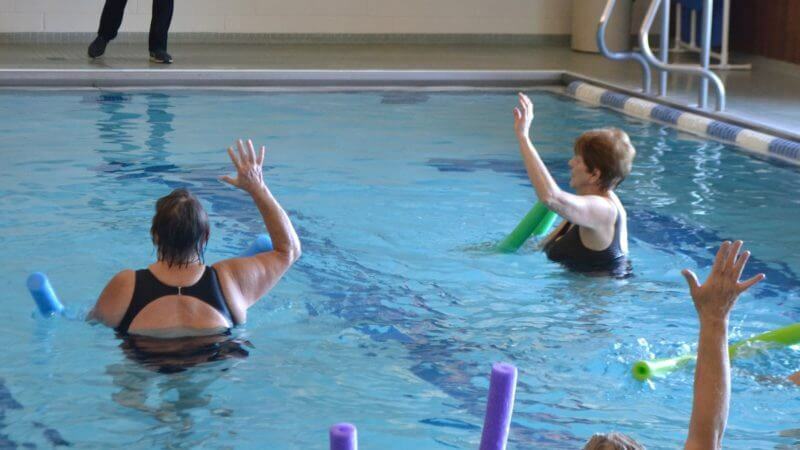 Saturday, 06/24/2017 11:00 a.m. - 12:00 p.m.
Based on the neuroscience of mind/body connection, WaterPlay uses simple, fun exercises to promote range of motion, balance and ways of moving with ease. Wednesday & Saturday, 06/21/2017 5:30 p.m. & 10:30 a.m.
Golfers looking to improve their game and fitness are invited to join us in the Pilates studio for this fun and informative golf clinic led by instructor Cheri Sabol. 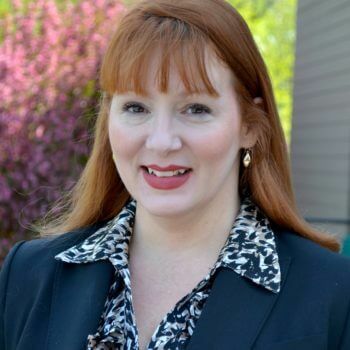 Tuesday, 06/06/2017 6:30 p.m. & 1:00 p.m.
Join Kathleen Moore, Better Business Bureau and Allianz’s Safeguarding Our Seniors program liaison, for this dynamic, informative presentation that raises awareness and understanding about scams and fraud. 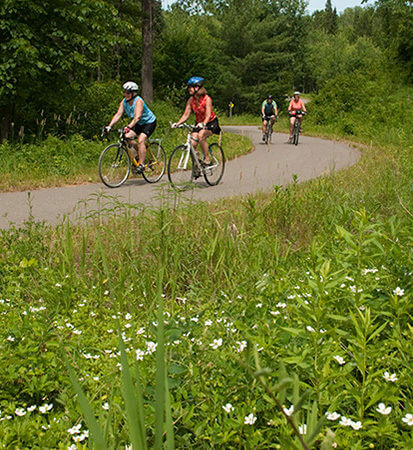 This 18-mile round trip ride led by Diane Pattridge leaves from Lake Harriet taking the trails to Minnehaha Falls, stopping for lunch at Sea Salt Eatery. Tuesday, 06/20/2017 8:30 - 9:30 a.m.
Start or maintain your water workout all summer long no matter where you are… pool, lake, resort or home. Trainer Talk: How Hard Should You Workout? Tuesday, 06/27/2017 1:30 - 2:30 p.m.
Join Exercise Specialist Dustin Burgemeister, MS, for a lively conversation about how to regulate your exercise routine. Learn about HIIT, interval training, cardio equipment, strength training and get advice on selecting the right classes for you. Family Splash… and BBQ Too! Saturday, 06/24/2017 3:00 - 4:30 p.m. Families rule the pool on this special family friendly afternoon in the Lap Pool. Tuesday, 06/20/2017 7:00 - 7:45 p.m.
Join integrative Aquatic Bodywork Practitioner, Nicola Kapala in a guided meditation. 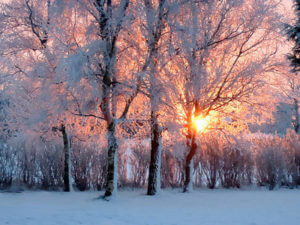 Take this opportunity to pause, celebrate light, follow your breath, listen to your heart, and soothe your mind. Wednesdays, 07/12/2017 6:00 - 6:45 p.m.
Wednesday night in the lap pool is all about fun this month with themed classes and a social gathering after class. Wednesdays, 10/04/2017 11:50 - 12:35 p.m.
Water Walking is a great way to build endurance, improve balance, and help correct muscle imbalances. Tuesday, 06/13/2017 6:00 - 7:15 p.m. 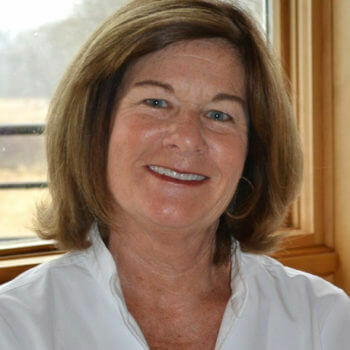 Physical Therapist Doug Merz and The Marsh wellness professionals will discuss the new guidelines that prescribe integrative therapies (exercise, massage, yoga and acupuncture) as the first line of treatment for back pain, rather than medication. Designed for busy people on the go, Biometrics meets people where they are. 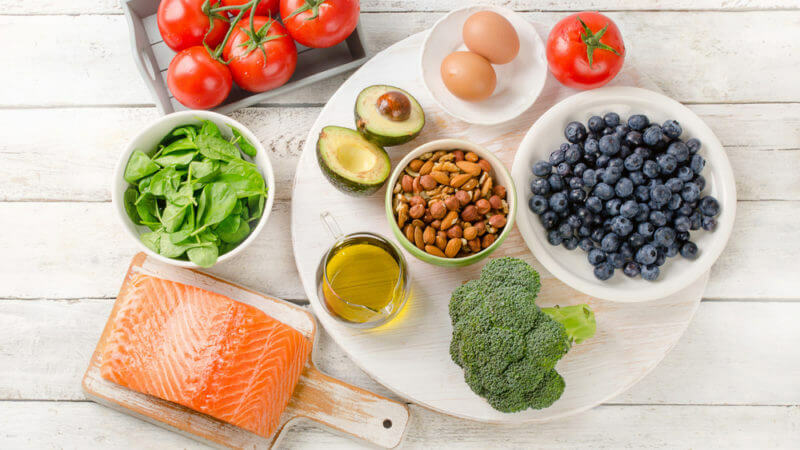 Our team of wellness professionals helps you manage your food strategies and exercise choices based on your social calendars, food preferences, and interests. 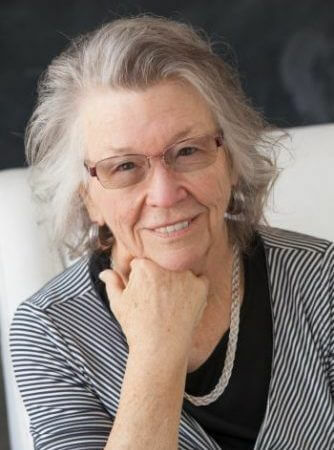 Women’s Health expert, Dr. June La Valleur, will discuss issues such as menopause, incontinence and intimacy, and provide actionable advice to empower women as they age with frankness and humor. Saturdays, 06/03/2017 8:00 - 9:00 a.m.
Join Master Swim Coach Barb Scouler for this three-week swim clinic for focused on streamlining, body position, breathing, arm stroke, kicking … freestyle and backstroke. So You Think You Can’t Dance? Friday & Thursday, 06/02/2017 10:30 a.m. & 6:00 p.m.
Music moves us and dance helps us manage our energy and lifts our spirits. Don’t be afraid to come and dance with us. The beauty of our classes is that we believe that everyone has a unique style and we celebrate the freedom of movement. We invite you to bring a friend on Saturday, June 10, for a day of complimentary classes, refreshments and community. Mondays, 06/05/2017 7:00 - 9:00 p.m. 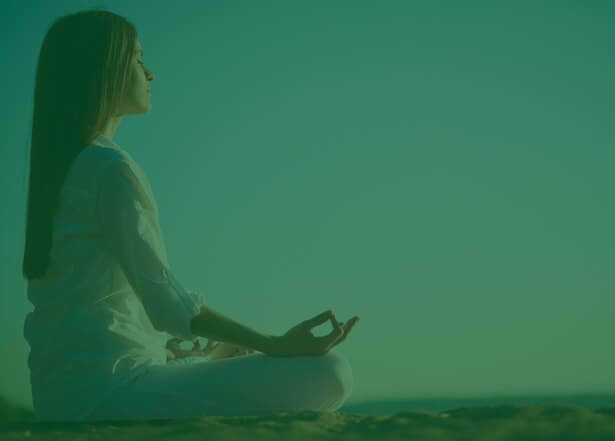 Exclusively offered at The Marsh, this signature program leverages 32 years of mind-body programming into a highly accessible introduction to mindfulness practices used to address common concerns such as managing stress, pain, feelings of anxiety and/or uncertainty. Sunday, 05/14/2017 9:00 a.m. - 1:00 p.m. Featuring some of our favorite breakfast options. Wednesday, 06/14/2017 11:30 a.m. - 12:30 p.m.
Come with your questions. 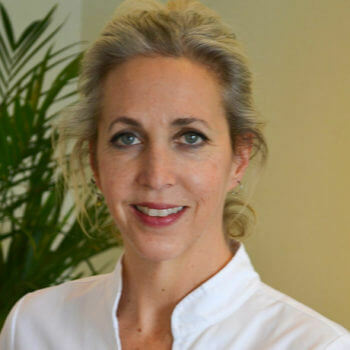 Acupuncturist and Massage Therapist Ellen Hem-Ryan will do a brief presentation on her approach to the treatments she provides, including our new Massage Acupuncture Combined (MAc) service. 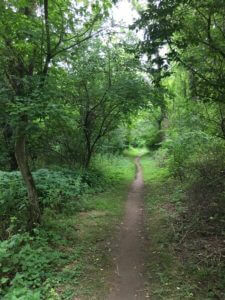 his 21-mile round trip ride led by Diane Pattridge leaves from The Marsh parking lot and follows the trails to the Landscape Arboretum, where we will stop for lunch. 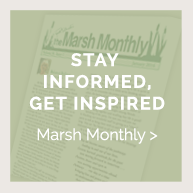 The Marsh’s Mindfulness Based Living Program is a culmination of 30 years of hosting some of the foremost authorities on mindfulness practices, such as Jon Kabat Zinn, Drs. 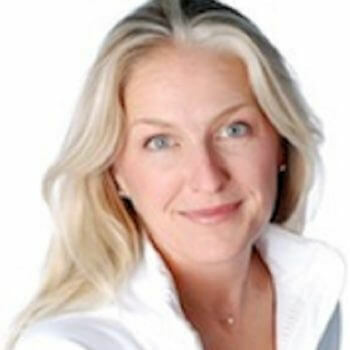 Amit Sood and Andrew Weil and teaching classes such as Tai Chi, Qi Gong, meditation and movement classes. Please join Registered Dietitian Kathryn Hernke, MS, RDN, LN and Health & Fitness Director Evan Strewler, MS for a discussion on the importance of strength training for weight loss. Wednesdays, 05/10/2017 5:30 - 6:15 p.m.
We are adding a new evening cycling class to the schedule! This 45-minute outdoor class (held indoors during inclement weather) is a high intensity but low impact ride on the deck overlooking the beautiful marsh. 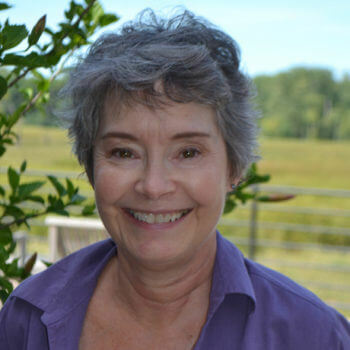 In continuation of our popular Friday morning Tai Chi: Moving to the Music series, instructor Stephanie Olson will incorporate the playful expressive movements of animals in this month’s classes! Tuesdays & Fridays (starting 9/22), 08/29/2017 9:30 - 10:00 a.m. This high intensity, 30-minute workout increases cardiovascular fitness and builds stamina, but in a controlled and monitored environment. 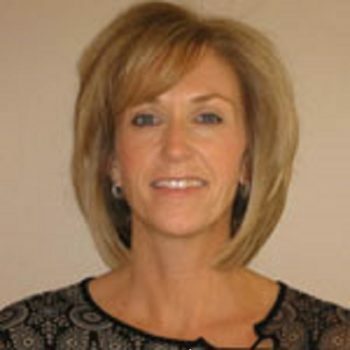 Wednesday, 05/31/2017 1:30 - 2:30 p.m.
Doug Merz and Kelly Brouwer of Merz Physical Therapy will talk about the nervous system’s role as a potential contributor to pain. 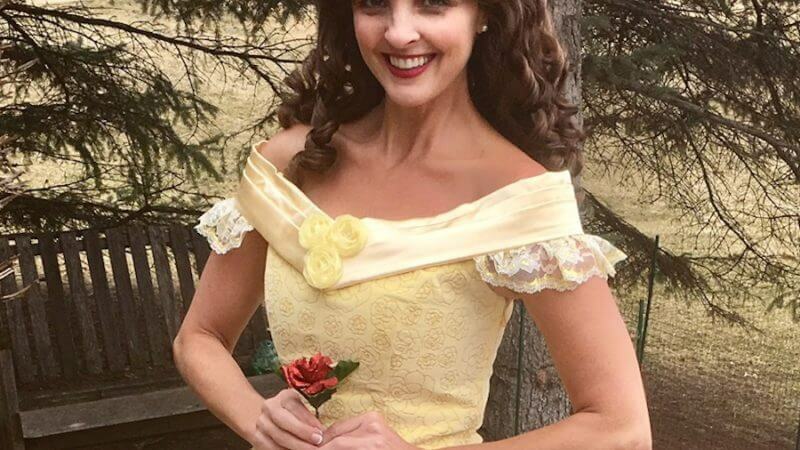 Saturday, 05/13/2017 1:00 - 3:00 p.m.
Beauty and the Beast’s Belle is hosting our Enchanted Mother Daughter Dress-up Princess Party – sing-a-longs, story time, dress-up, crafts and more! 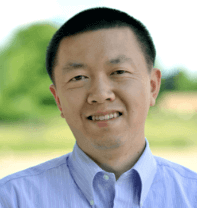 Anniversary Speaker Chungliang Al Huang talks about slowing down and recapturing the connections that have suffered with the speed of daily living. 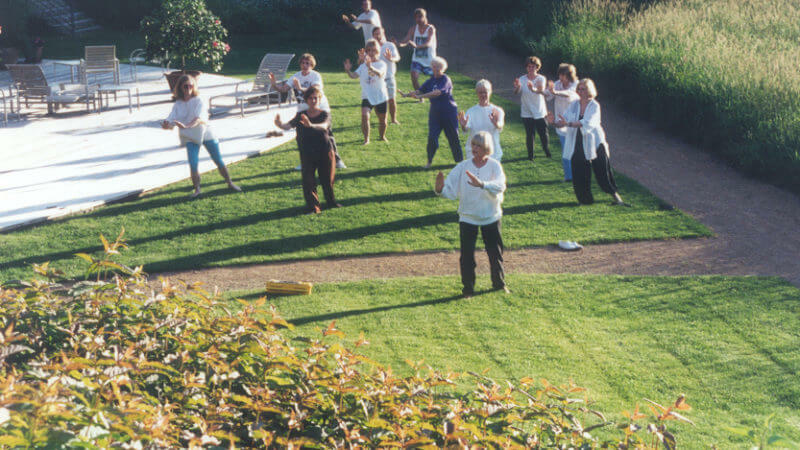 Come and experience Qigong and Tai Chi in the Noerenberg Memorial Gardens! Wednesday, 05/24/2017 12:30 - 1:45 p.m.
Join Aquatic Director and Shiatsu practitioner Mary LeSourd to learn specific meditative breath awareness techniques and movements in the warm water that can help you develop a self-care routine to help avoid or minimize painful back episodes. Wednesdays, 05/03/2017 9:15 - 10:00 a.m. Core strength, alignment, stretching, breathing, and control will be taught through the practice of classic mat exercises primarily done without props. Saturday & Wednesday, 06/10/2017 10:00 a.m. and 12:00 p.m. One-on-one GYROTONIC® training is a full body, abdominal intensive work out done on highly specialized equipment to safely balance, rejuvenate and strengthen your body. 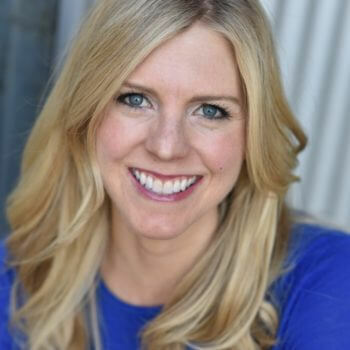 Saturday, 05/20/2017 3:00 - 5:00 p.m.
Popular yoga instructor Amanda Straka is teaching a summer workshop series that focuses on learning rolling techniques, deeper myofascial release and working your connected web. This class focuses on neck and shoulder release and mobility. 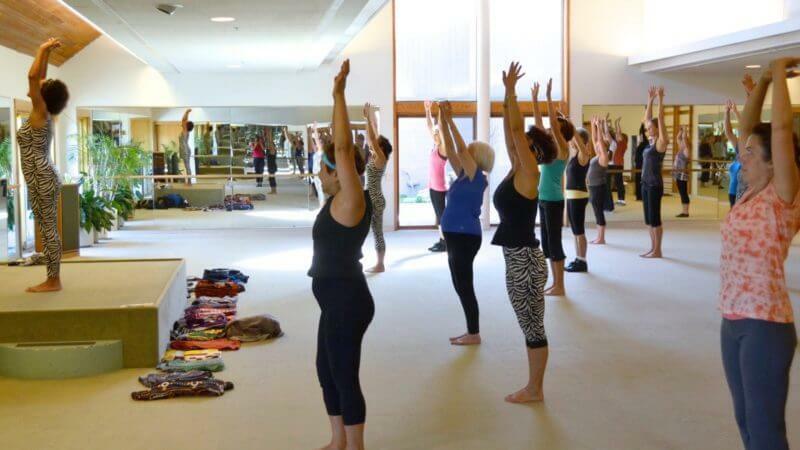 Register today for the July Module 1 Let Your Yoga Dance Training. Early bird rate is $500 (register by June 16 for Module 1). Regular rate is $575. Try a PULSE class for free during our trial week! 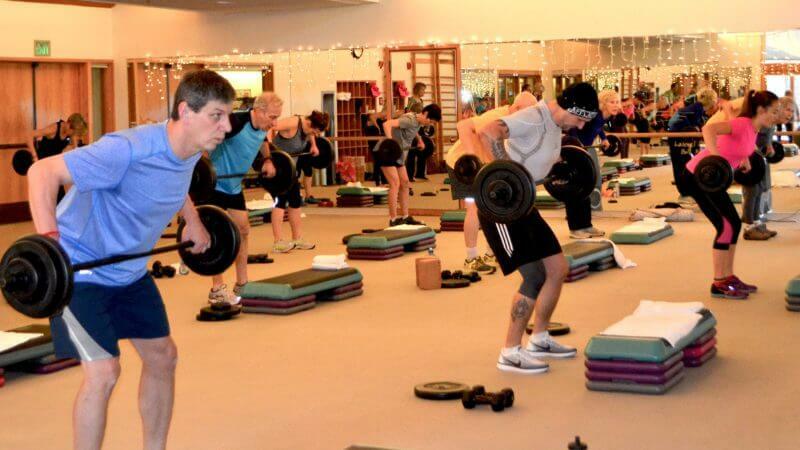 Learn the benefits of large group training with an Exercise Specialist coach. Work hard, get results. GRIT Class – Free Trial Week! See what all the excitement is about! Try a GRIT class during our free trial week! Wednesday, 04/19/2017 9:00 - 10:00 a.m. Learn the basic principles for good posture and apply them to your pool and/or studio stretch routine. Tuesday, 06/13/2017 1:00 - 2:00 p.m.
Tuesday, 07/11/2017 1:00 - 2:00 p.m.
Book a Customized, Ultimate or Ultrasonic Facial in April and receive our special “Buy 2 Get 1 Free” skin care product offer. Book a shampoo, blow-out and style with Senait April 1 – 30 and you’ll leave the salon feeling relaxed and ready for the day or any special occasion. 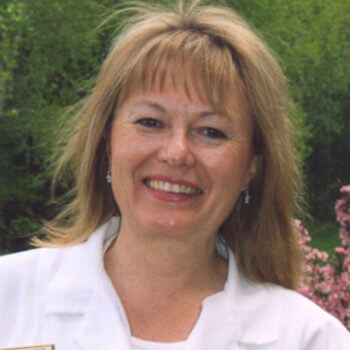 Please welcome nail technician Melissa Murray to The Marsh Spa. 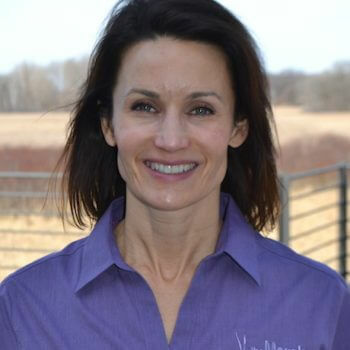 Melissa is available for manicures and pedicures on Monday, Thursday & Friday evenings as well as 9:00 a.m. – 6:00 p.m. on Saturdays and Sundays. Sunday, 04/16/2017 9:00 a.m. - 12:00 p.m. 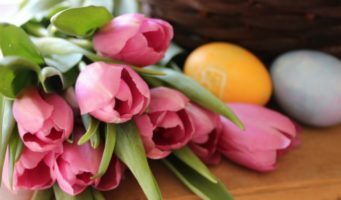 Celebrate Easter with us! Bring your family to The Marsh for a breakfast buffet with some of our favorite items. Wednesday, 04/05/2017 5:00 - 6:30 p.m.
Join us for a fun and educational night out for moms! 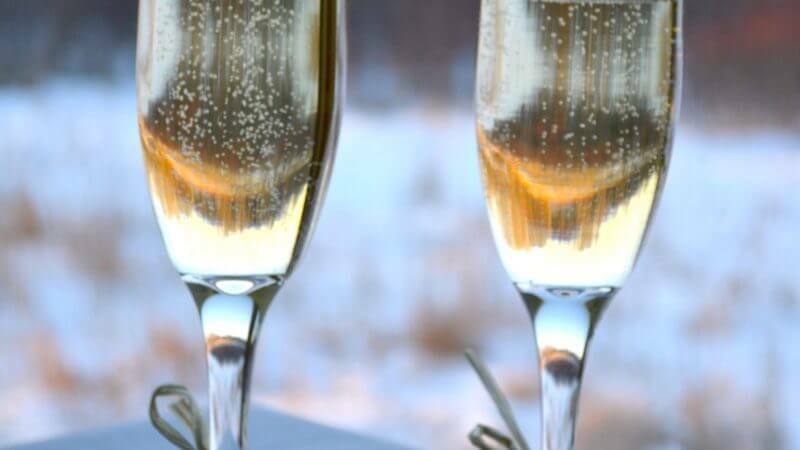 Enjoy Prosecco and wine paired with light appetizers while you learn the keys to rehabilitating your post-baby body. Tuesdays and Saturday, 04/11/2017 2:00 p.m., 5:00 p.m. and 11:00 a.m.
Come to an information session on the new Gyrotonic in the Pilates Studio! Wednesday, 05/10/2017 1:00 - 2:00 p.m.
Come and learn strategies to cope and manage the symptoms of fibromyalgia and other chronic conditions. Thursday, 04/20/2017 6:30 - 7:30 p.m.
Ensor Transfeldt, MD and Doug Merz, P.T. will share recent back pain research and what you can do to prevent an acute back pain episode. Monday, 04/17/2017 6:45 - 9:15 p.m. Enjoy an evening exploring movement and breath to help us reclaim our natural internal spaciousness and skeletal support – and keep it even in the busyness of our everyday lives. 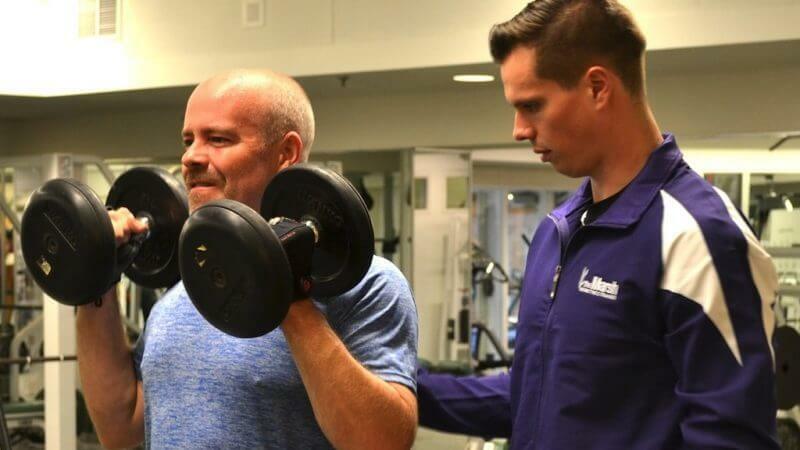 Tuesdays and Thursdays, 04/11/2017 5:15 - 6:00 p.m.
For a real edge on your golf game, join Exercise Specialist Dustin Burgemeister, MS for this six-week Small Group Training series. 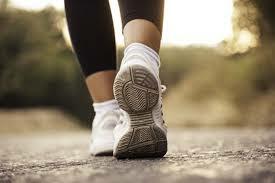 Mondays and Wednesdays, 05/01/2017 5:30 - 6:30 p.m.
Join Candy for this fun walking series. Classes are rain or shine and we are planning to increase our distance each week. Thursday, 04/27/2017 1:30 - 2:30 p.m.
Join Physical Therapist Doug Merz for this informative presentation to help identify common problems associated with faulty gait mechanics. Tuesday, 04/25/2017 5:30 - 7:30 p.m.
Let’s toast the upcoming biking season. 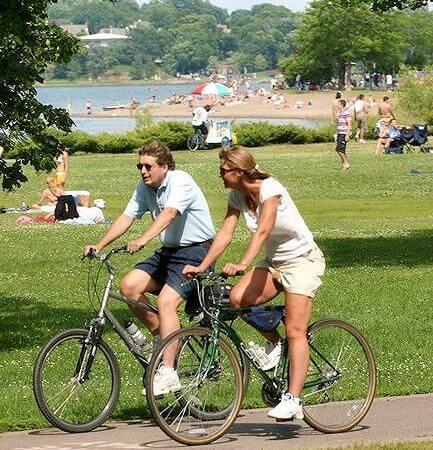 Minnesota has a vibrant bike culture and it won’t be long until the paths are filled with bikers enjoying the great outdoors. If you are new to cycling or an avid biker, this evening will be the perfect way to kick off your cycling season and reconnect with the cycling community. Friday, 05/19/2017 10:00 a.m. - 12:00 p.m. Enrich your Tai Ji experience through the inspiring teaching of Master Chungliang Al Huang. 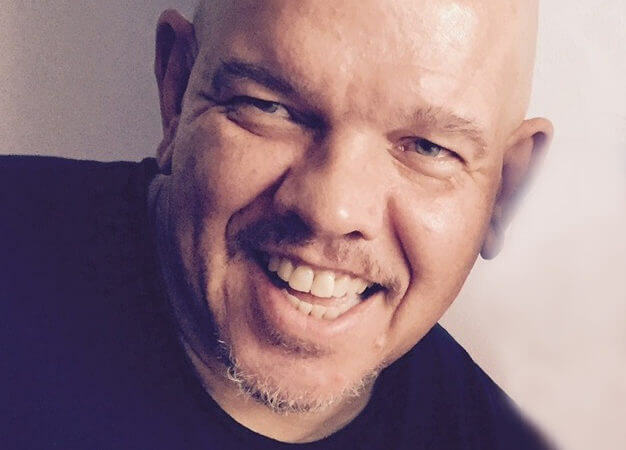 He will teach “Essential QiGong Exercises of China” that are easy-to-absorb and supportive of mind-body-spirit well-being. Saturday, 04/29/2017 1:00 - 4:00 p.m.
Based on the principles of nonviolent communication (NVC), this workshop will help you gain skills and tools that will improve every aspect of your life – with your partner, your family and friends, people you work with and elsewhere. Wednesday, 12/12/2018 5:30 - 7:30 p.m.
Mondays, 04/03/2017 7:00 - 9:00 p.m. 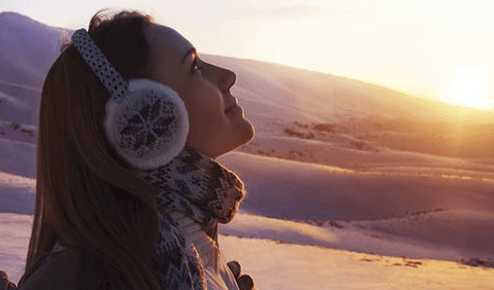 This program introduces mindfulness based living practices to address common concerns such as managing stress, pain, feelings of anxiety and/or uncertainty. Monday, 03/27/2017 7:00 - 8:00 p.m. 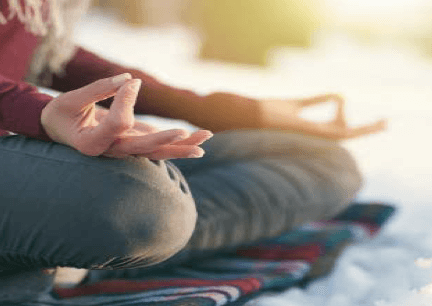 Exclusively offered at The Marsh, this program introduces mindfulness based living practices to address common concerns, such as managing stress, pain, feelings of anxiety and/or uncertainty. Tuesday, 04/11/2017 1:00 - 2:00 p.m. This five-week series is essential for any woman who has concerns with incontinence, a post-baby “pooch” or back pain. You will notice significant improvement in core appearance and functionality. Wednesdays, 04/05/2017 1:00 - 2:15 p.m. 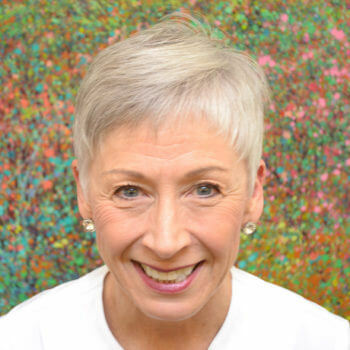 In this workshop, instructor Liz Anema introduces gentle movement, breathing, meditation and other relaxation techniques to create a home practice that will help you deal with your pain. Thursdays, 03/23/2017 11:30 a.m. - 12:30 p.m.
A knee conditioning program can help you return to your daily and recreational activities after an injury or surgery. 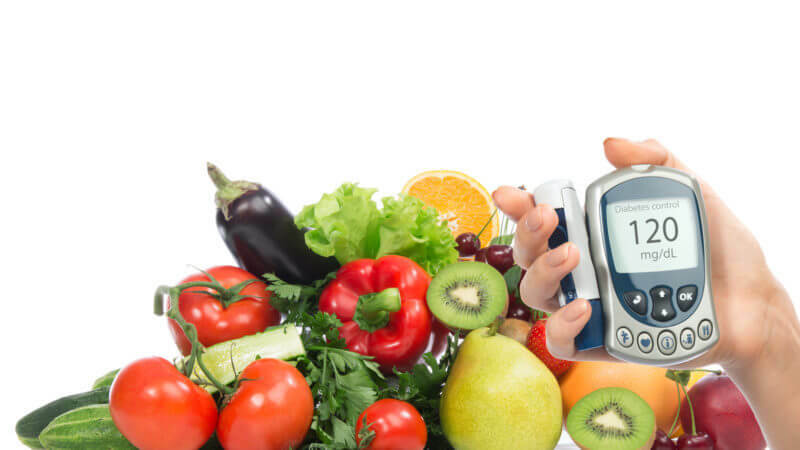 Join Exercise Physiologist Evan Strewler, MS, and Registered Dietitian Kathryn Hernke, MS, RDN, LN for this informal Diabetes Prevention Information Session. 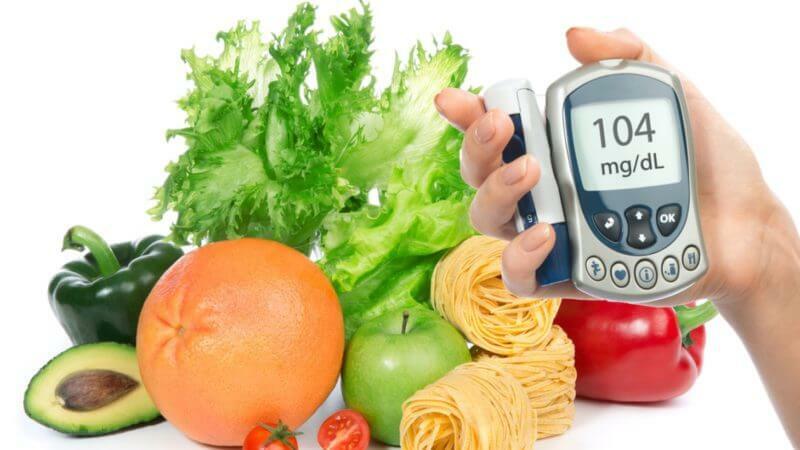 Join Registered Dietitian Kathryn Hernke, MS, RDN, LN for breakfast and an informal discussion on understanding our blood sugar numbers and the role that this information plays on preventing diabetes. 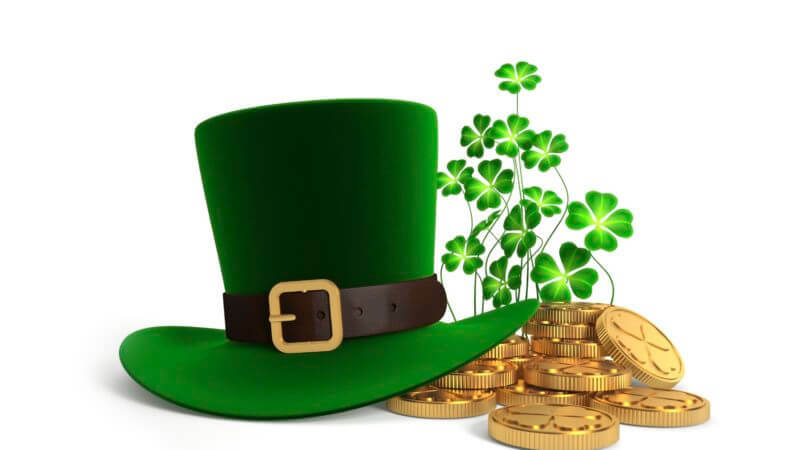 Put on the green and celebrate St. Patrick’s Day in the Restaurant, on Friday, March 17. We’re serving some of our favorite Irish dishes including Lamb Stew, Corned Beef & Cabbage, Soda Bread and beer! 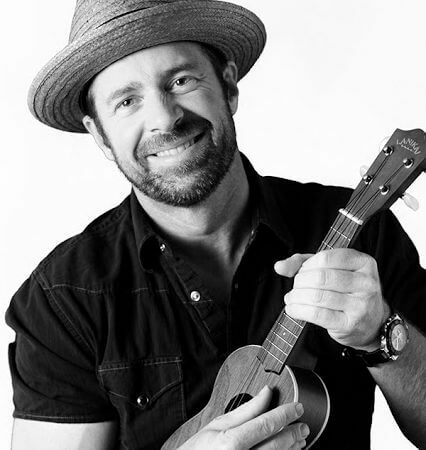 Friday, 03/31/2017 5:30 - 7:30 p.m.
Come hear the sweet sounds of Kim Sueoka on ukulele and David Burk on lap steel guitar and enjoy luau-inspired happy hour specials and entrees. Imagine 25 minutes of weightlessness and relaxation in the warmth of our 94-degree therapy pool… now you have a sense of the benefits that an Aquatic Bodywork session can provide. Tuesday, 03/21/2017 7:15 – 8:00 p.m. 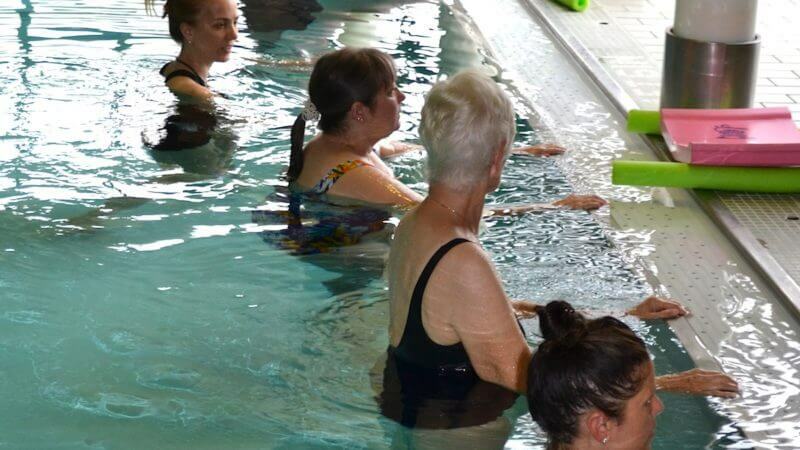 Whether you’ve been indoors training all winter or mostly hibernating, this Warm Water Meditation in our Therapy Pool will help you become energized, feel balanced, and get you ready to move forward into the season of light! Saturdays, 03/11/2017 10:00 - 11:00 a.m.
Increase your postural awareness, balance, flexibility, coordination, strength and endurance to improve your golf game. 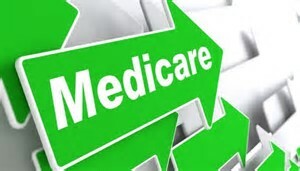 We welcome local Medicare expert Arturo Steely from Senior Linkage Line to unravel and explain the complexities of Medicare. 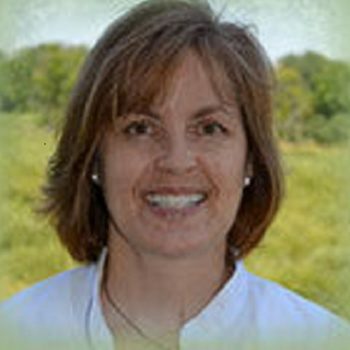 Saturdays, 04/01/2017 8:00 - 9:00 a.m.
Join Diane Pattridge for this small group clinic. 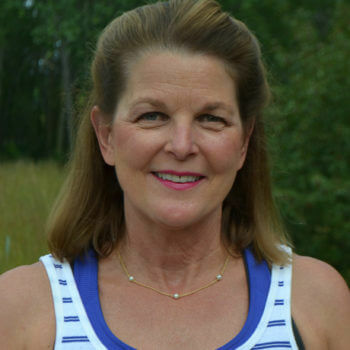 Diane will teach you how to float, streamline, breathe, kick and arm stroke, and offer assistance with corrective positioning on your front and back. Thursday, 03/23/2017 5:00 -7:00 p.m.
Everyone had such a great time at last fall’s Ladies First event we’re bringing it back for spring! 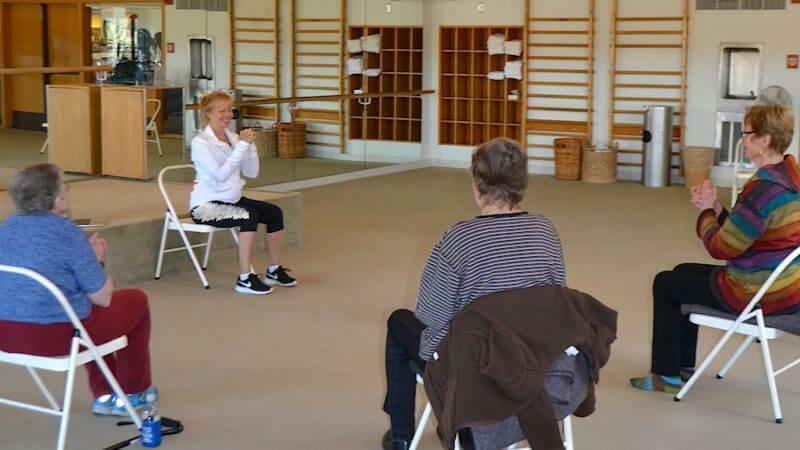 Sitting, standing, dancing, singing and moving… Body Recall takes on the essence of spring training. Monday, 03/20/2017 7:15 - 8:15 p.m. 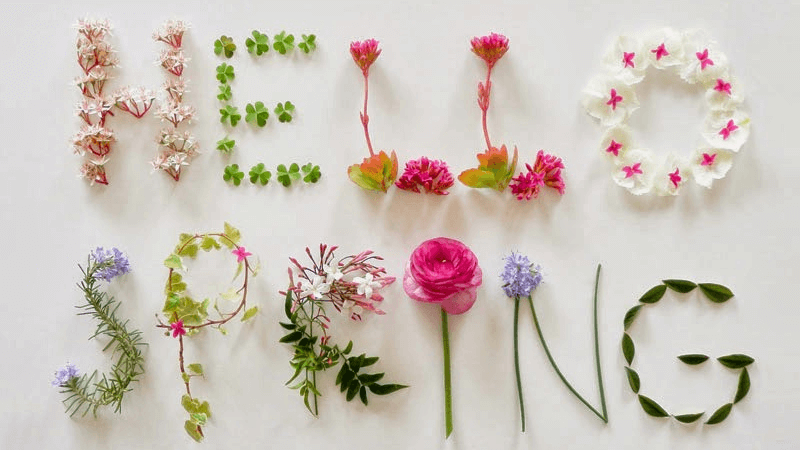 Put a spring in your step (pun intended)! From Singing in the Rain to La La Land, this dance class features some of our favorite musical movie scores, easy steps and lots of fun. 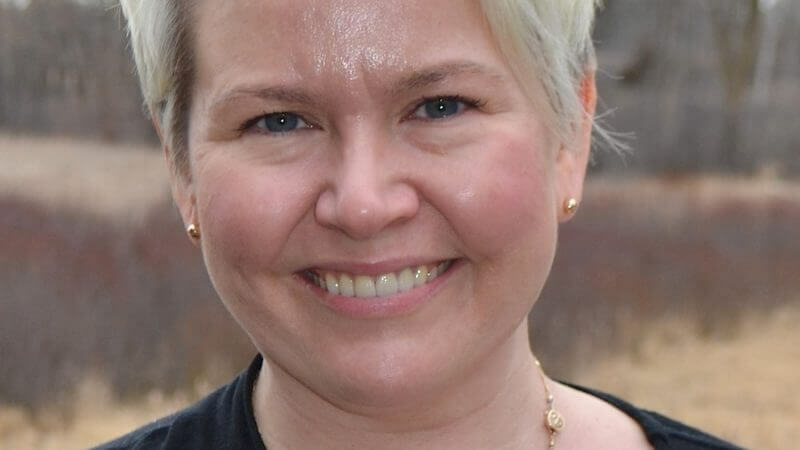 From a simple breath to a more advanced pose, instructor Stephanie Olson blends Tai Chi and Qi Gong movements with classical music to create a memorable practice that lifts your spirits. Tuesdays & Saturdays, 04/25/2017 6:40 p.m. & 8:00 a.m. 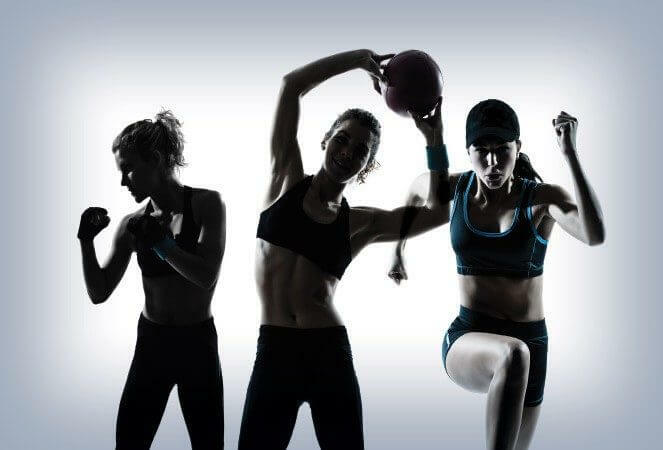 This six week large group training program is for anyone who is ready to take their exercise and fitness goals to the next step as it is a progressive series delivering optimal fun and results! Meets Tuesdays and Saturdays. Small group training consists of 2-4 people sharing a 45 minute workout session. 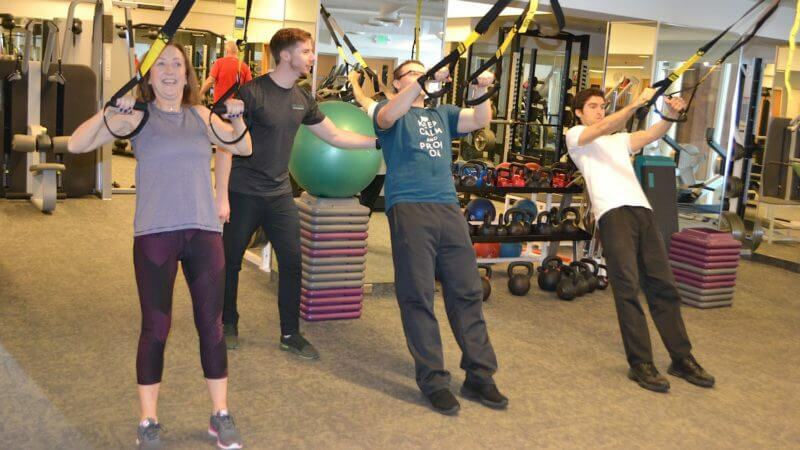 Training in small groups provides a cost effective fitness experience that is fun and interactive, and focuses on quality and customized services. Saturday, 03/18/2017 1:15 - 4:30 p.m. This Tai Chi Chih workshop is for individuals with a minimum of 6 months of experience in the form. 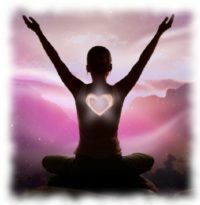 The focus for this workshop is “Opening The Heart”. Monday, 03/13/2017 6:45 - 9:15 p.m.
Wednesdays, 04/05/2017 and 04/19/2017, 1:00 - 2:15 p.m.
New guidelines for treating lower back pain from the American College of Physicians suggest that prescription drugs should be used as a last resort and that some mind body practices are more beneficial. Learn mind body practices you can do at home. New! 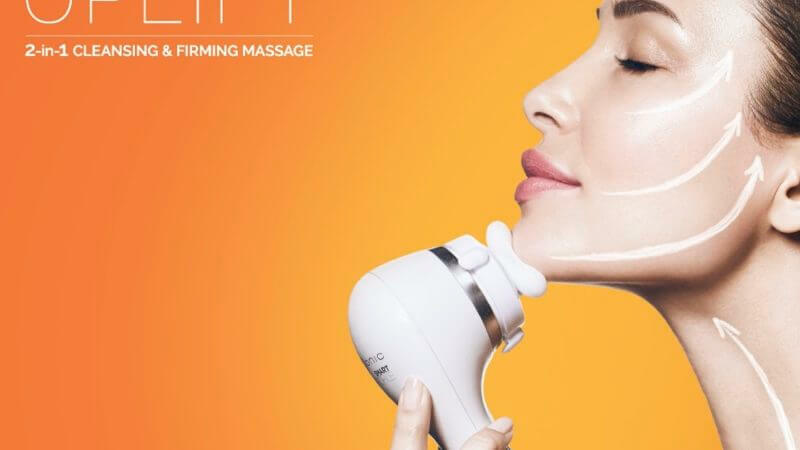 Clarisonic Smart Profile Uplift Device – Pre-order Today! The Marsh is the first and only retailer to have this amazing new device! Pre-sale event going on now through Monday at Noon! Charming, heartbreaking, and hilarious, Be Frank with Me will chase away the winter blues. Wednesday, 10/17/2018 5:30 - 7:30 p.m. The Winters Glow Package is a full body moisture replenishing package and includes a special Hydrating Thermal Facial, a Body Polish and a natural loofa mitt to take home. 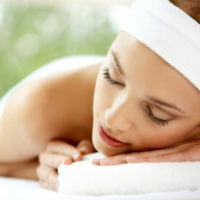 New in the Spa… Ultrasonic Facials! Learn more about this technology and our new facial at a complimentary information session. Wednesday, 02/22/2017 11:00 - 11:45 p.m.
Thursday, 02/23/2017 5:30 -7:00 p.m.
Adorned with bracelets and necklace glow sticks, our instructors will guide you through a fun, heart-pumping class featuring Cardio Dance, BollyX, Aerobics with Soul, Nia and more! 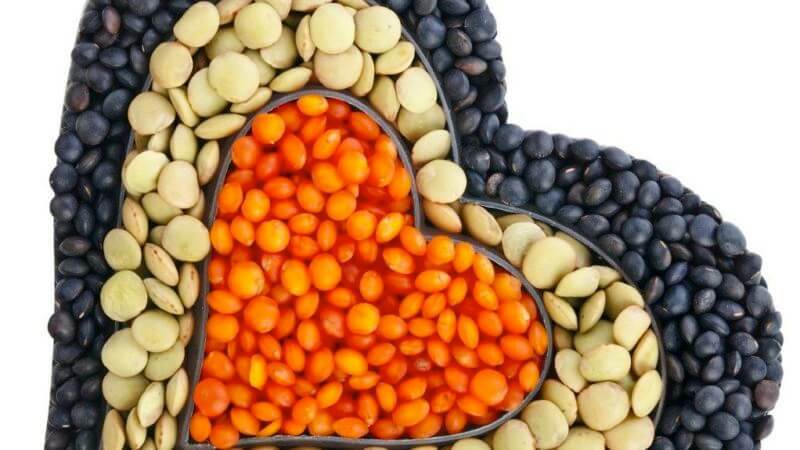 Heart Healthy foods don’t have to be boring or bland. Join us for a light lunch highlighting grains, seeds and legumes. Tuesday, 02/14/2017 5:00 - 9:00 p.m.
Monday, 02/27/2017 7:00 - 8:15 p.m. 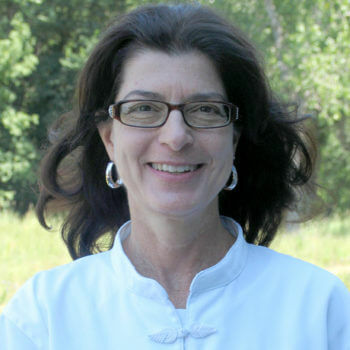 This loving kindness meditation, led by Marsh Studio Director Liz Anema, is designed to help you cultivate the quiet and peace in your life. 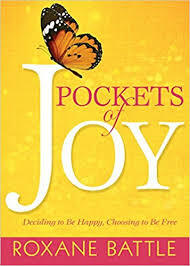 Thursday, 02/16/2017 11:00 a.m. -12:00 p.m.
Come and meet Roxane Battle, local television personality and author of Pockets of Joy, Deciding to Be Happy, Choosing to Be Free, a Midwest Independent Publishers Association Book Award Winner. 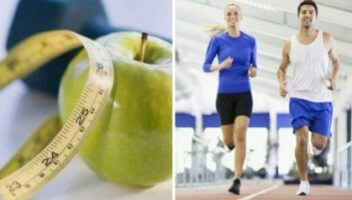 Know Your Numbers assessment includes a blood profile, blood pressure and body fat measurements. Thursday, 02/23/2017 12:00 - 1:00 p.m. and 6:00 - 7:00 p.m.
Join Health Education Director Evan Strewler, MS, and Registered Dietitian Kathryn Hernke, MS, RDN, LN, for this educational talk as they share how participants in Biometrics, and other programs, have improved their health numbers while looking better, feeling better and getting more out of life. Class format includes postures, energetic movement exercises, mantras, breath work, meditation and relaxation in an effort to bring a greater sense of wellbeing, energy, stress relief and improved flexibility. Saturdays, 02/11/2017 8:00 - 9:00 a.m.
Thursdays, 02/23/2017 11:30 a.m. - 12:30 p.m.
Tuesday, 02/14/2017 7:00 - 7:45 p.m. 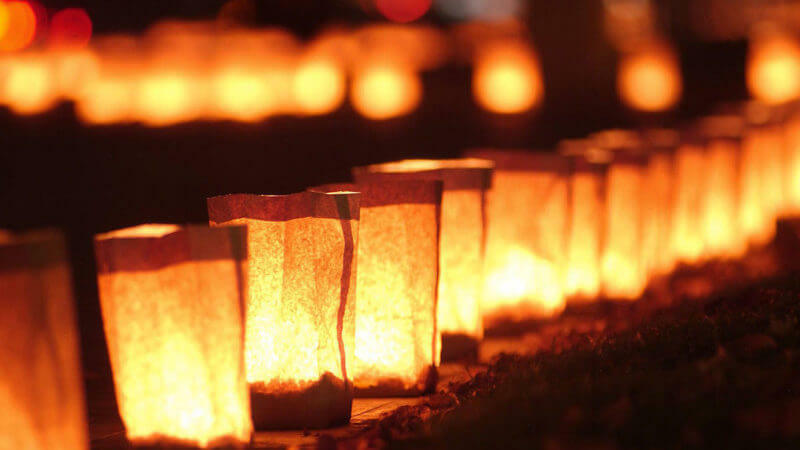 This special Valentine’s Day Candlelight Meditation is a great way to end your day. 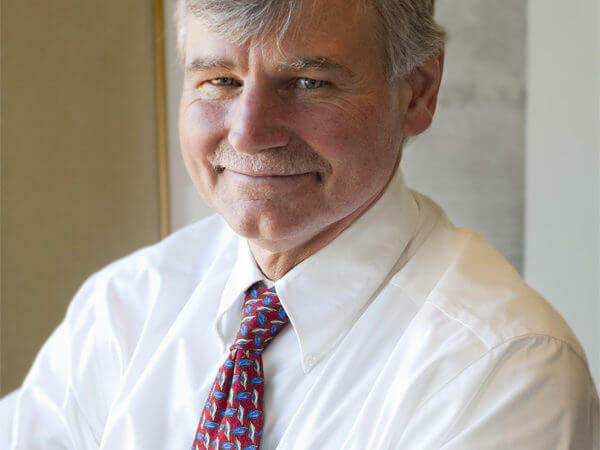 Dr. Sharkey, a cardiologist at Minneapolis Heart Institute and the Chief Medical Officer and Researcher at the Minneapolis Heart Institute Foundation, will speak about heart health and stress cardiomyopathy, also known as broken-heart syndrome. Reduce stress, increase happiness and resilience with the MBSR program. 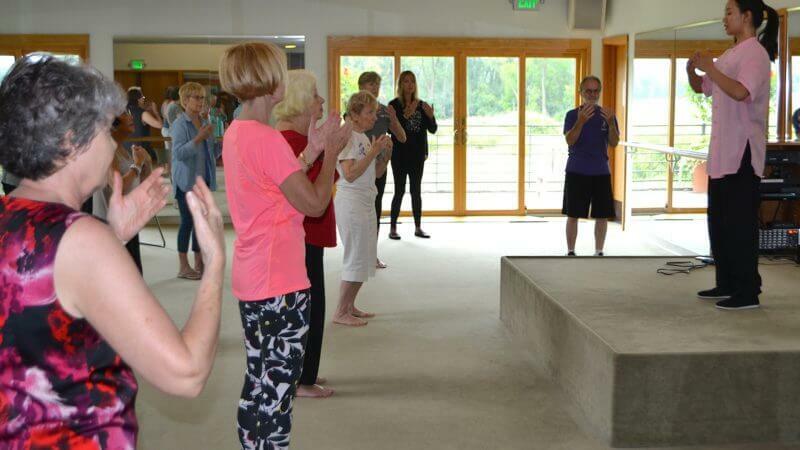 Program led by leading Minneapolis area instructor Terry Pearson at the welcoming environment of our 67,000 square foot wellness center in Minnetonka. 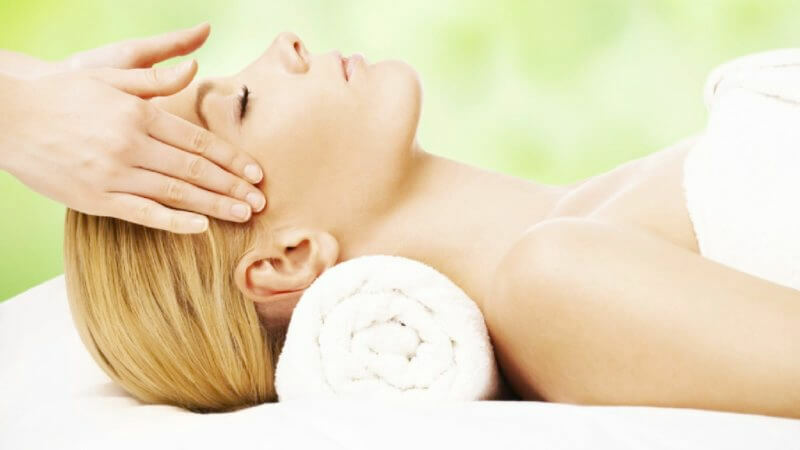 This therapeutic treatment combines acupuncture and massage modalities for optimal results. Save 20% off on workout wear, fitness equipment (yoga mats, Franklin Method accessories, etc.) 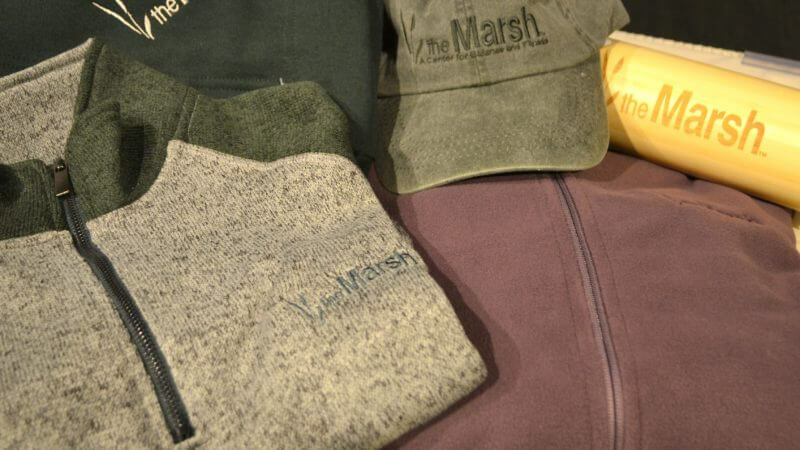 and Marsh logo wear. 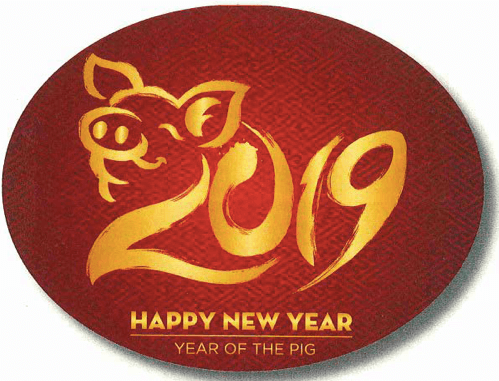 Celebrate Chinese New Year with our annual tea immediately following Tai Chi Chih at 11:45 a.m. 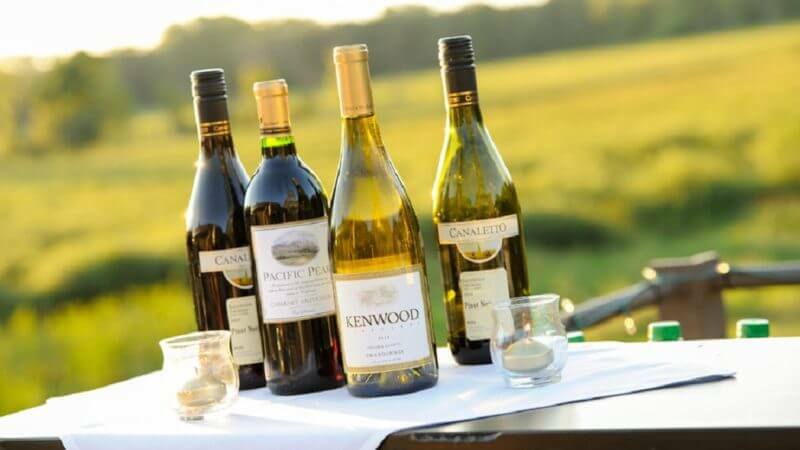 Sample, sip, and savor Kenefick Ranch wine, paired with a four-course small plate offerings created by Chef David. Tuesdays and Thursdays, 04/04/2017 11:45 a.m. - 12:45 p.m. This fusion class merges the core strengthening principles of Pilates with the benefits of warm water aquatic exercises. Saturdays, 01/14/2017 8:00 - 9:00 a.m. Whether you are a non-swimmer or a veteran beginner swimmer, this program will improve your swimming skills. Wednesday, 01/18/2017 1:00 - 2:30 p.m. 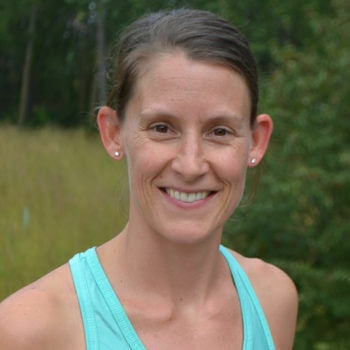 Along with our instructors, Kelly Brouwer will evaluate your form offering alignment suggestions to make sure you are exercising for maximum benefit. 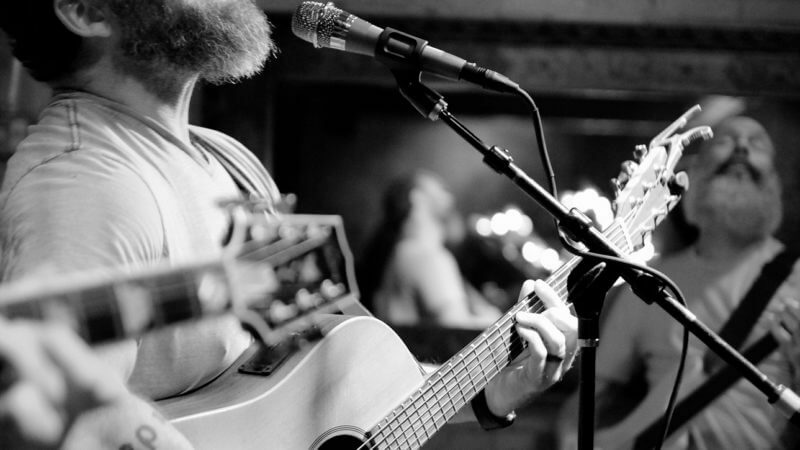 Wednesday, 01/25/2017 1:30 - 2:30 p.m.
Wednesday, 04/17/2019 5:30 - 7:30 p.m.
Come, eat, drink and enjoy live music every Wednesday at The Marsh, 5:30 – 7:30 p.m.
Wednesday, 11/14/2018 5:30 - 7:30 p.m.
Tuesdays & Wednesdays, 01/24/2017 7:00 p.m. & 1:00 p.m. This new series is essential for any woman who has concerns with incontinence, a post-baby “pooch” or back pain. Monday & Saturday, 01/23/2017 7:00 p.m. & 1:30 p.m.
Our favorite organizing guy is here help you clear the clutter out of your life! This restorative, one-on-one, conditioning program is customizable to meet your needs. Dance with pleasure, embodying your individual beauty while exploring sound and silence and playfully moving your body. Thursday, 01/19/2017 6:30 - 7:30 p.m.
Meet experts from The Marsh in weight management, weight loss, strength training, nutrition, stress management and graduates of our programs and find a way to begin that is right for you! 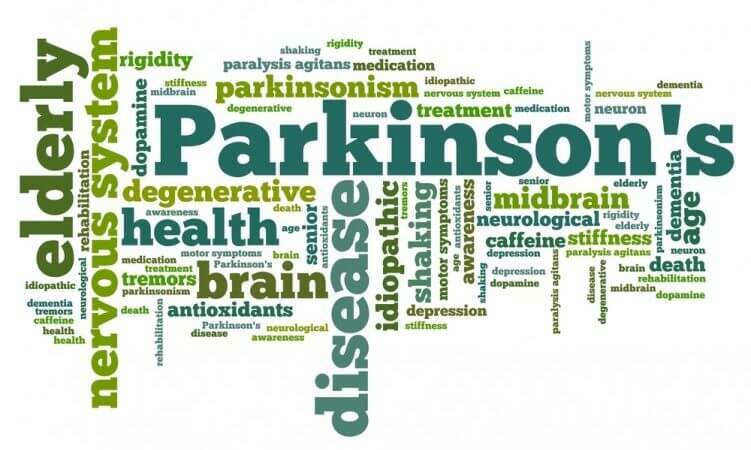 Mondays, 01/23/2017 1:00 - 2:00 p.m.
A 4-week cross training series for those with Parkinson’s and their caregivers, to help increase overall mobility, flexibility and functional movement through the utilization of exercise equipment, breath awareness skills and warm water. 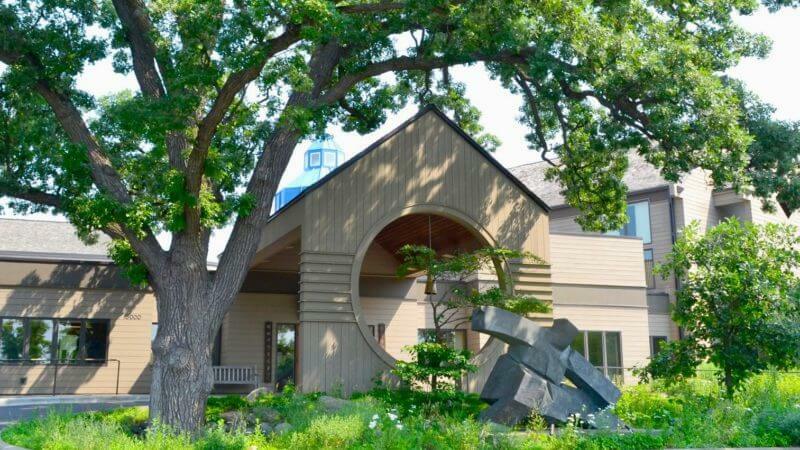 This retreat is an invitation to pause, reconnect with yourself, nature and the wellness practices that inspire and motivate you. We will explore concepts, new and old, and create a vision board for 2017. Come and try Aquatic Bodywork (Watsu and Aquatic Integration), a floating massage where one of our seasoned practitioners floats, stretches, moves and relaxes you in our warm water therapy pool. Saturday, 03/25/2017 11:00 a.m. - 12:00 p.m. This class leaves you invigorated, peaceful, and happy! Wednesday, 12/14/2016 12:30 - 1:30 p.m.
A strong back and core is important to our overall health and wellbeing, as well as a key component in falls prevention. Tuesdays & Fridays, 01/03/2017 9:30 - 10:00 a.m.
Focus your pre-holiday workouts on these high intensity 30-minute therapy pool training sessions. Thursdays & Sundays, 01/03/2017 5:30 p.m. & 10:30 a.m. Experience a Bollywood-inspired dance fitness program with guest instructor Clara Ma. Fridays, 12/02/2016 8:00 - 8:30 p.m.
Come try our new small group training series featuring the ultimate cardiovascular machine – the indoor rowers. Wednesday, 12/07/2016 12:30 - 1:45 p.m. 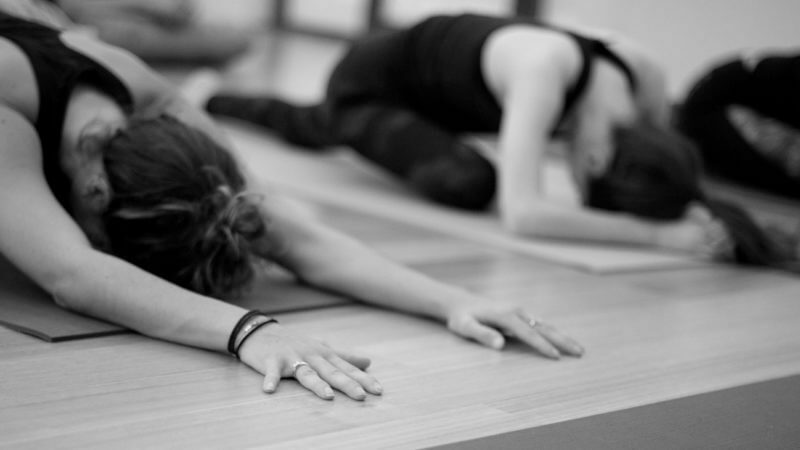 This class focuses on positive flow of movement, stretching, imagery, and breath. Saturday, 03/12/2018 6:30 - 9:00 p.m. 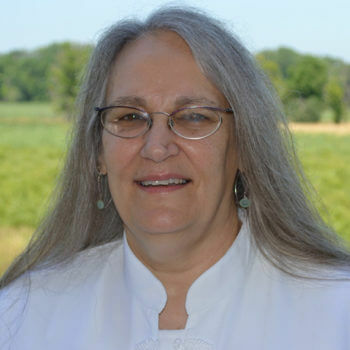 Taught by MBSR instructor Terry Pearson, this eight-week series teaches you simple techniques to help you deal with stress, pain, illness and the challenges of everyday life. Monday, 12/12/2016 6:45 - 9:15 p.m. Learn whole-body tools for improving how you are breathing any time, in any activity! Saturday, 12/10/2016 1:30 - 3:30 p.m.
Kundalini Yoga is called the yoga of awareness. 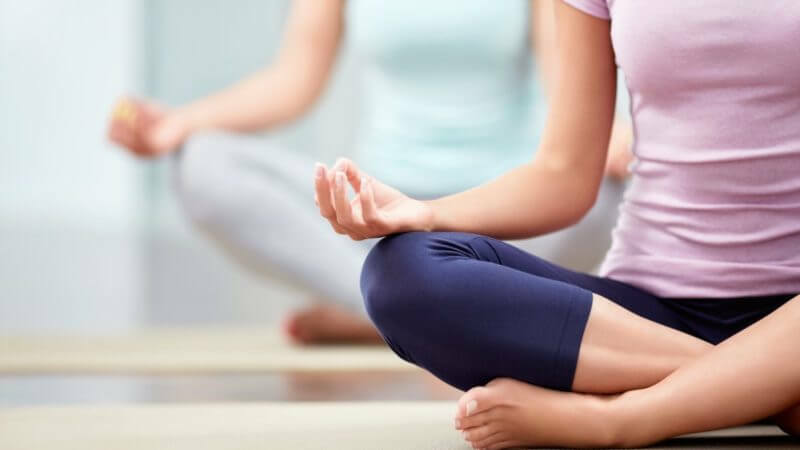 Classes include postures, energetic movement exercises, mantras, breath work, meditation and relaxation in an effort to bring a greater sense of wellbeing, energy, stress relief and improve flexibility. Wednesday, 01/16/2019 5:30 - 7:30 p.m.
Thursdays, 04/20/2017 11:30 a.m. - 12:30 p.m. Warm water is very therapeutic in treating shoulder conditions, such as impingements and rotator cuff issues, as it allows for relaxation, pain relief, increasing strength and range of motion. 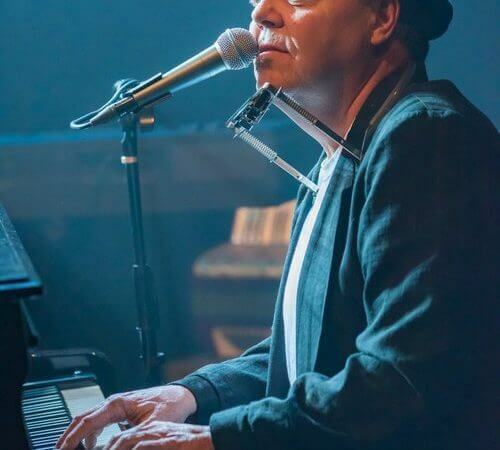 Wednesday, 04/24/2019 5:30 - 7:30 p.m.
A versatile singer-pianist specializing in popular music of the past 50 years. 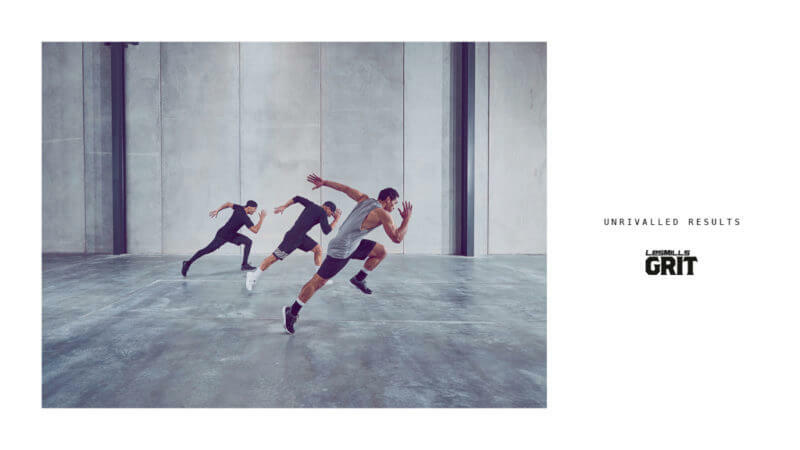 A new dance-fitness program that combines dynamic choreography with the hottest music from around the world. Whether you are trying to keep fit, lose weight or cross-train for a race, this is the class for YOU. It will challenge your strength and cardiovascular endurance to push you through inevitable plateaus.